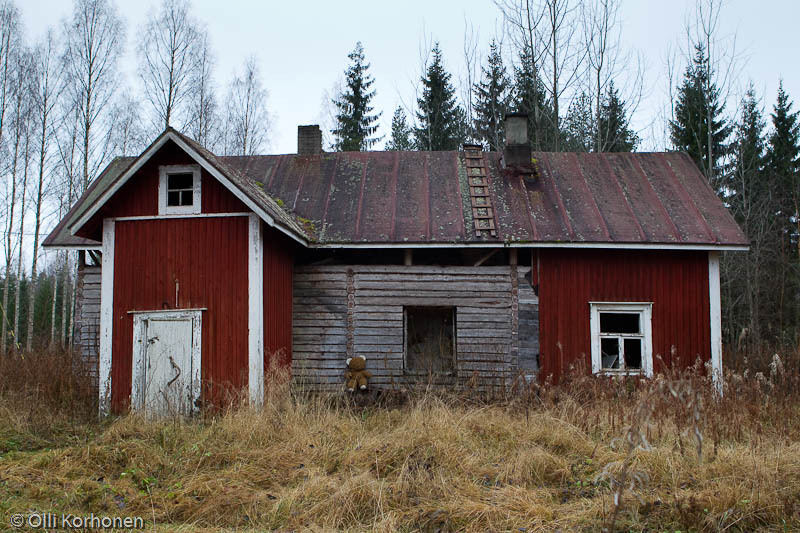 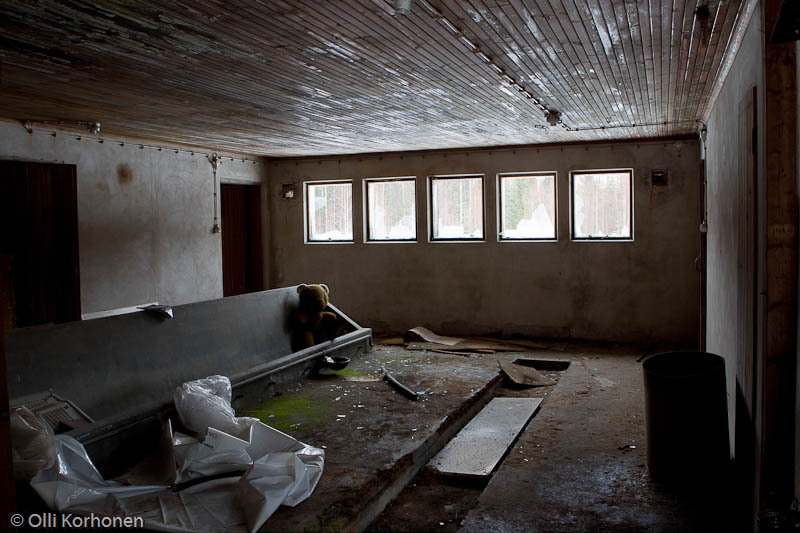 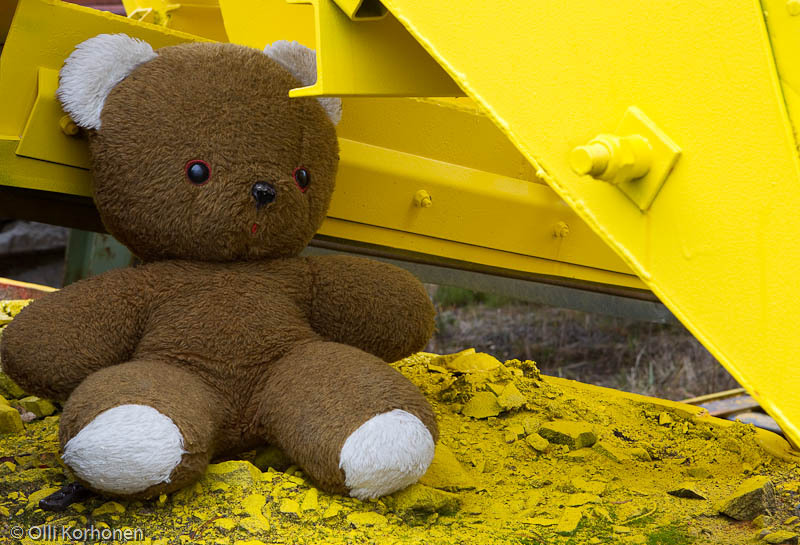 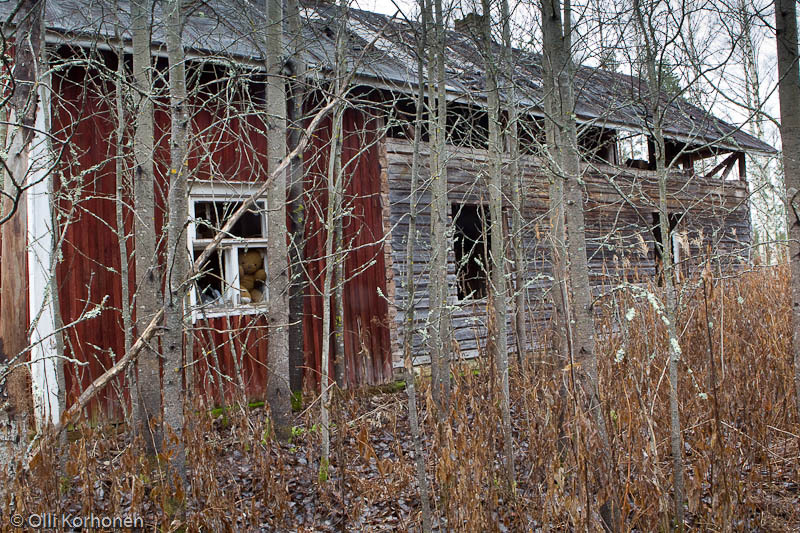 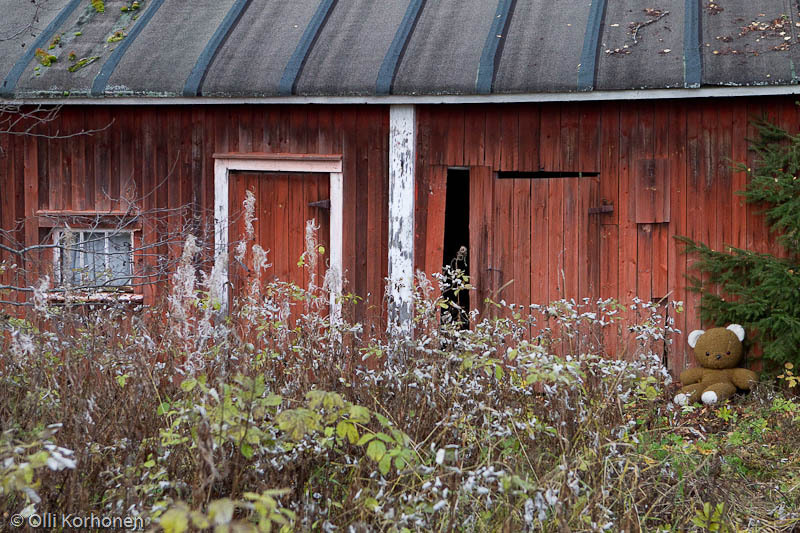 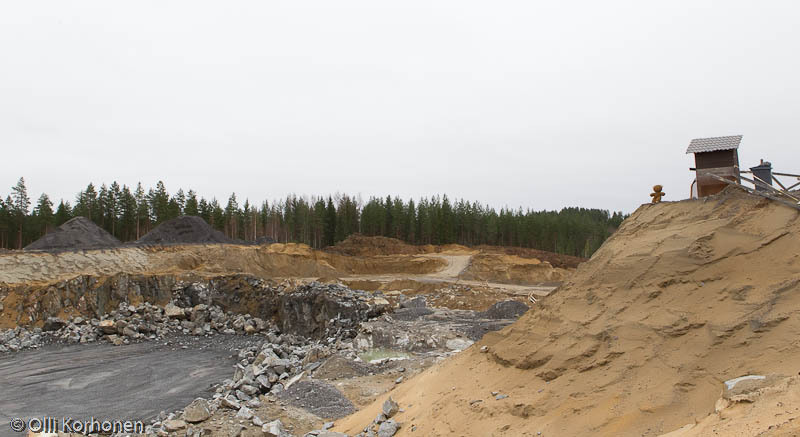 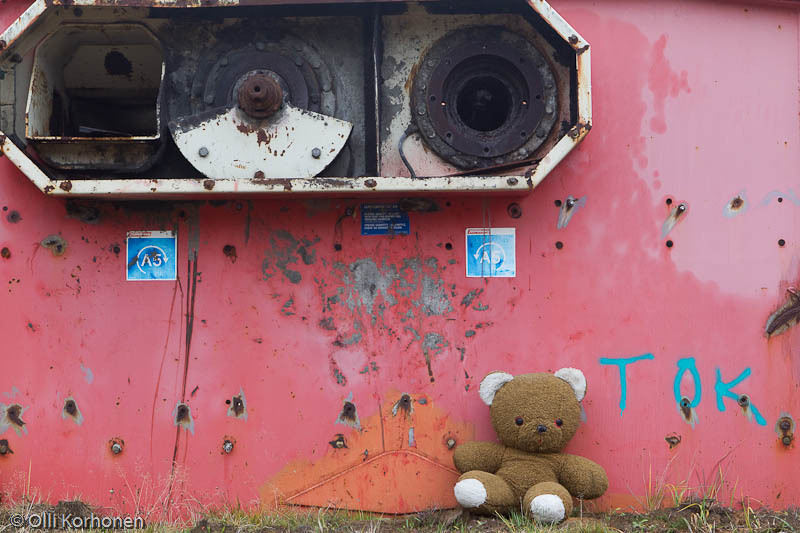 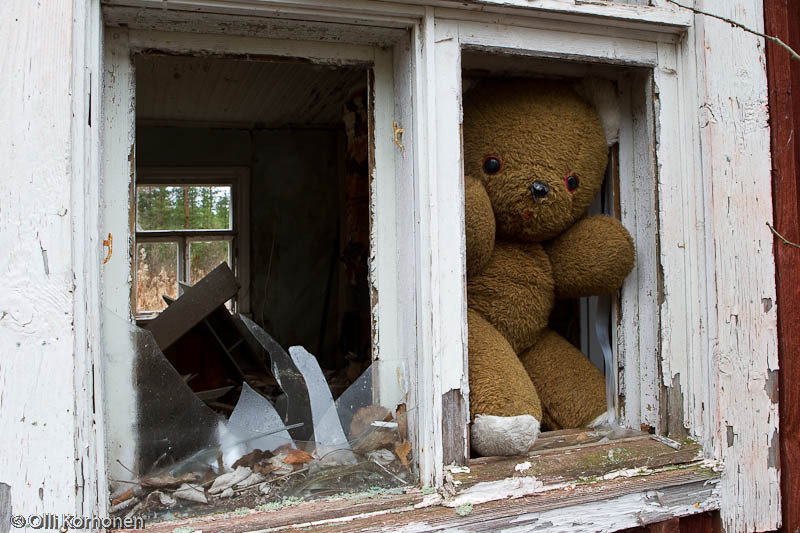 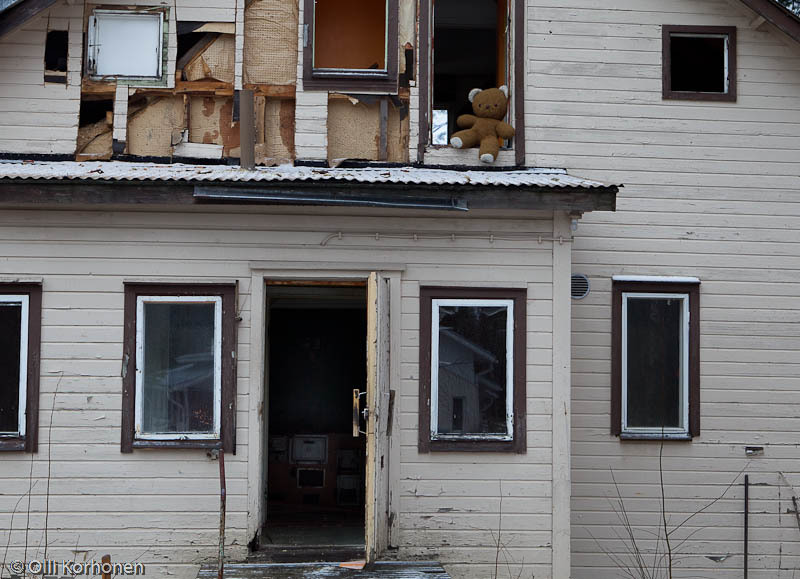 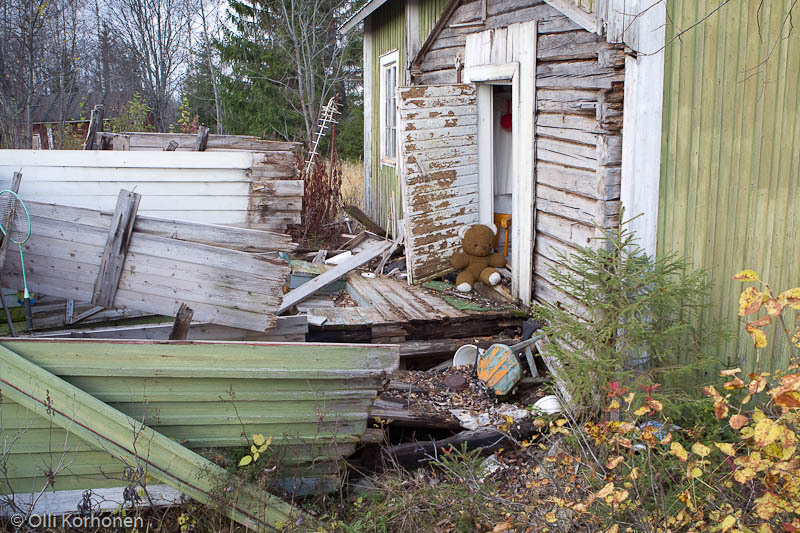 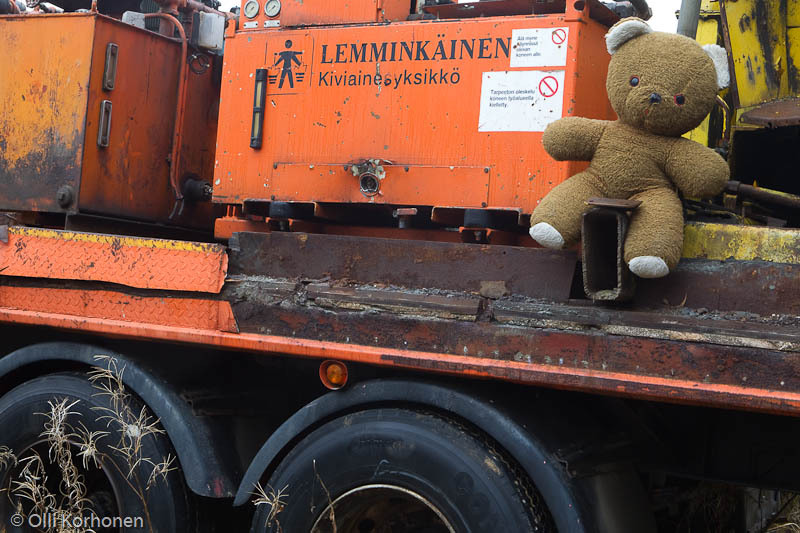 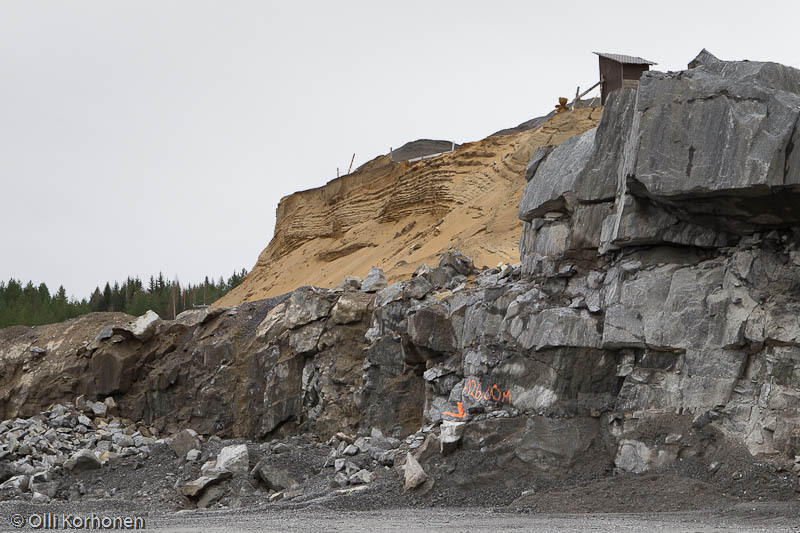 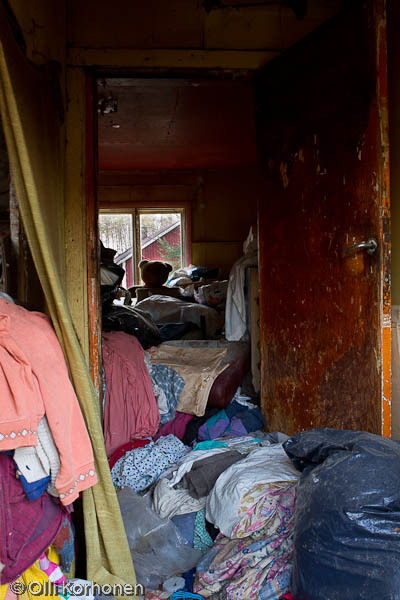 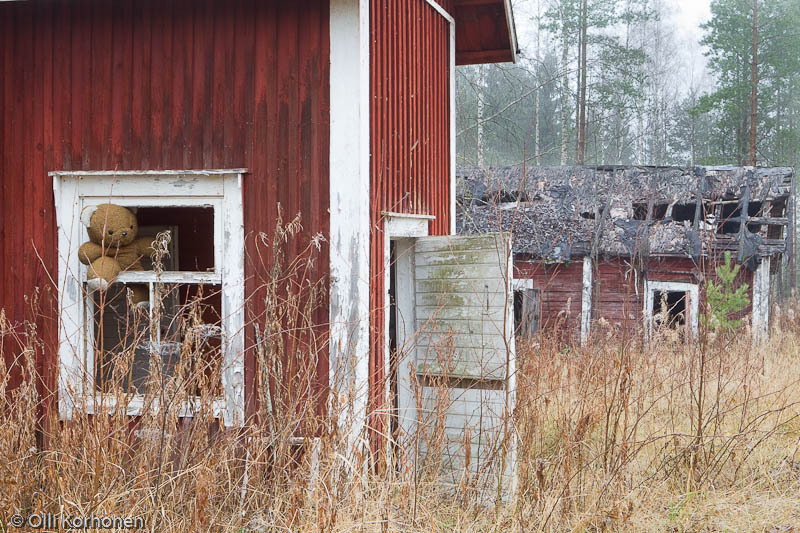 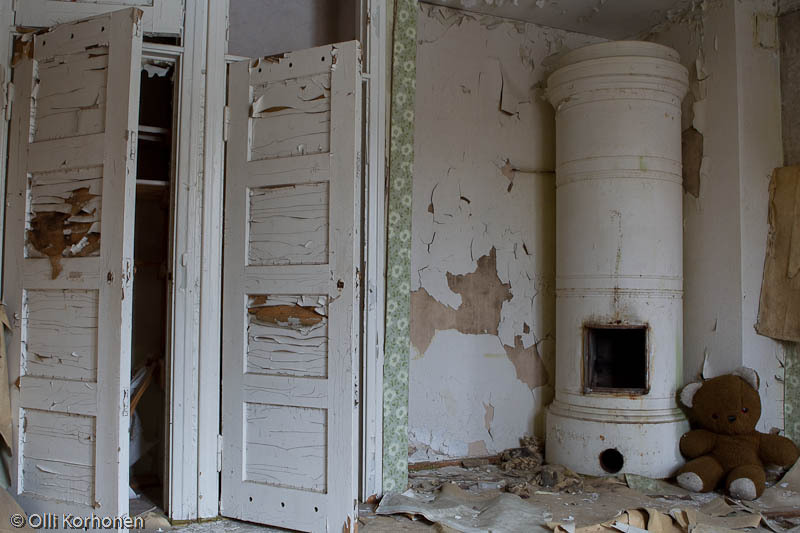 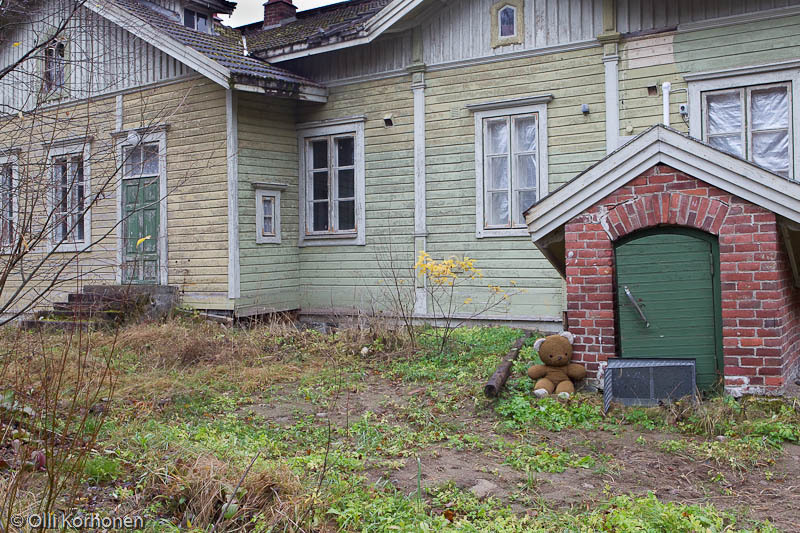 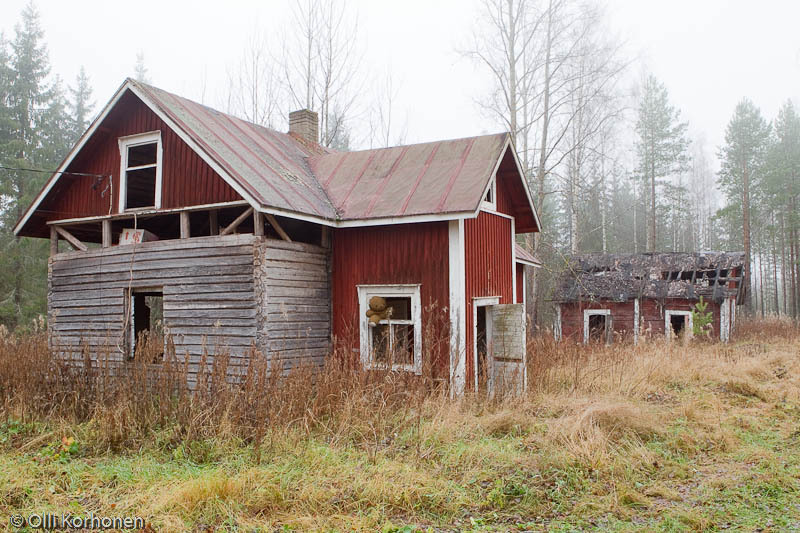 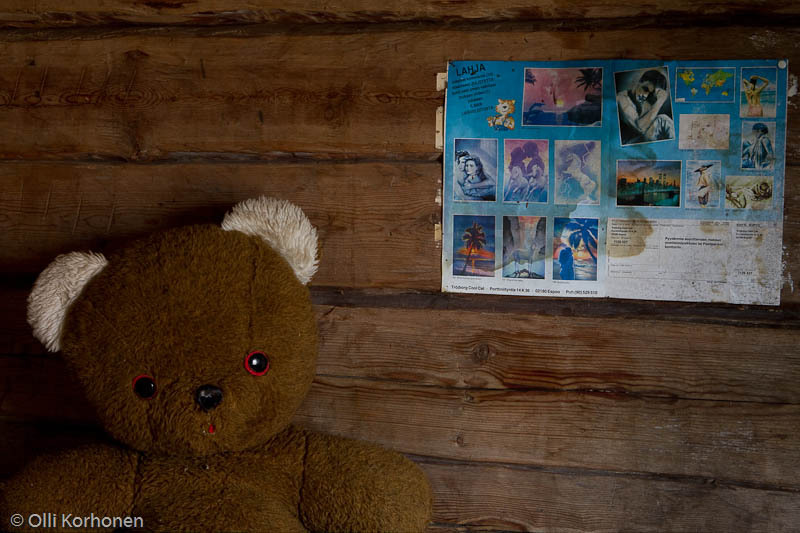 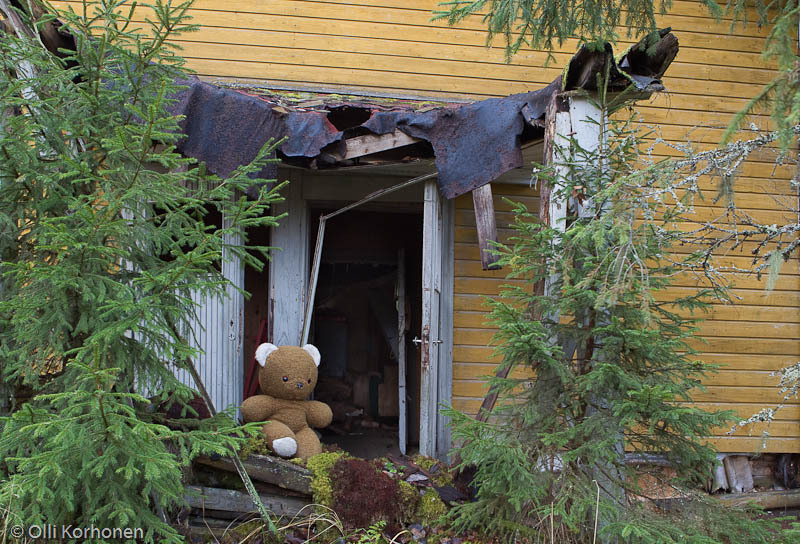 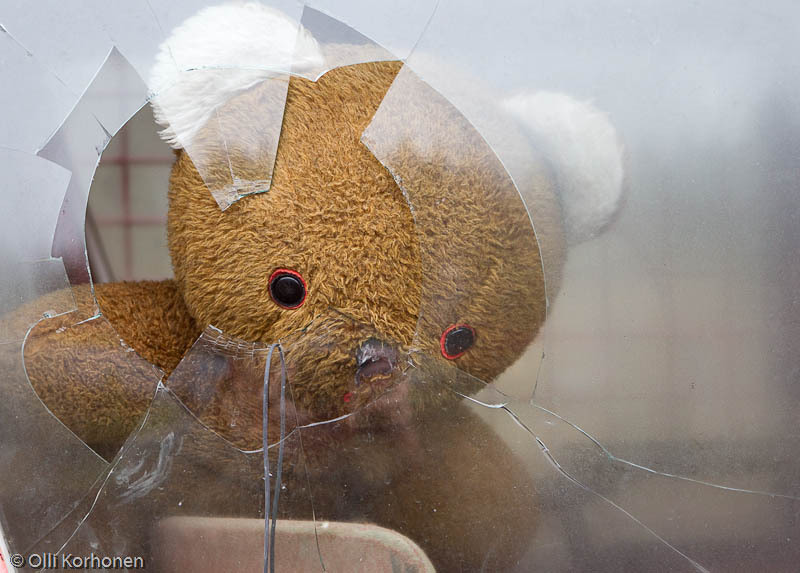 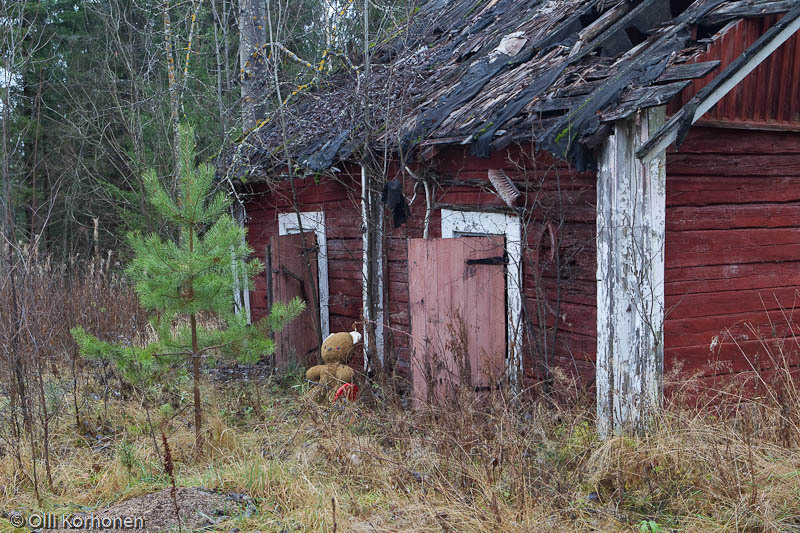 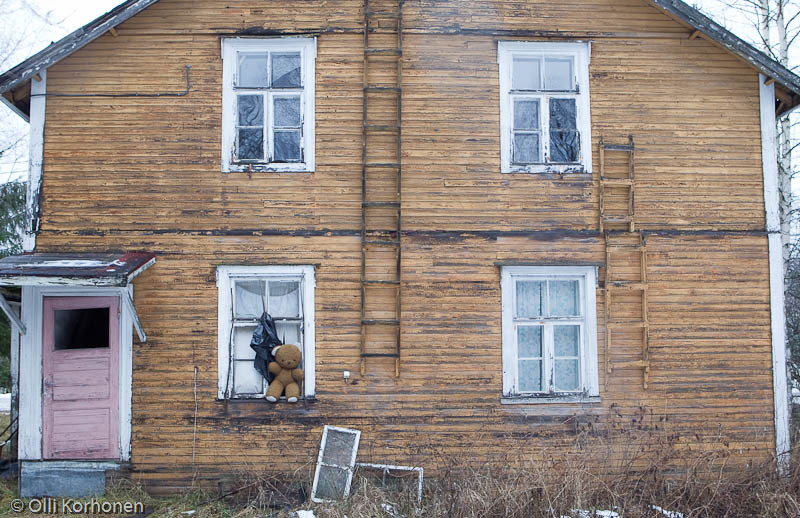 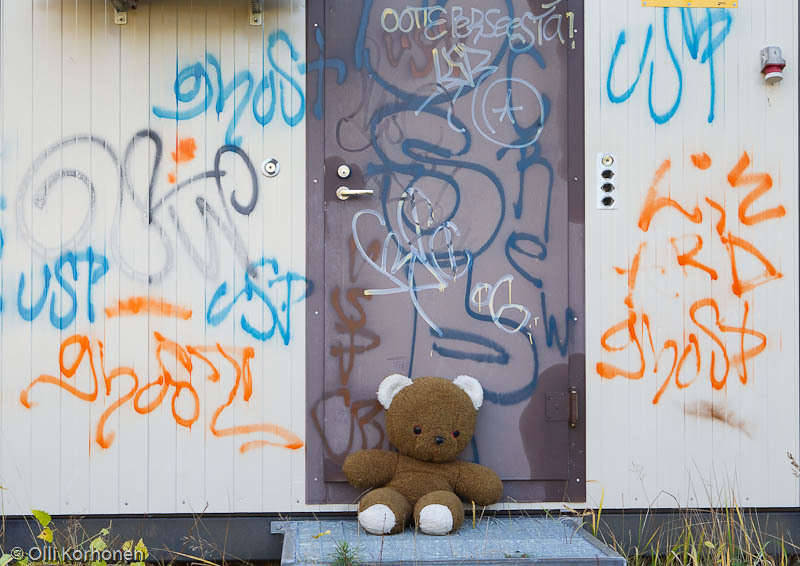 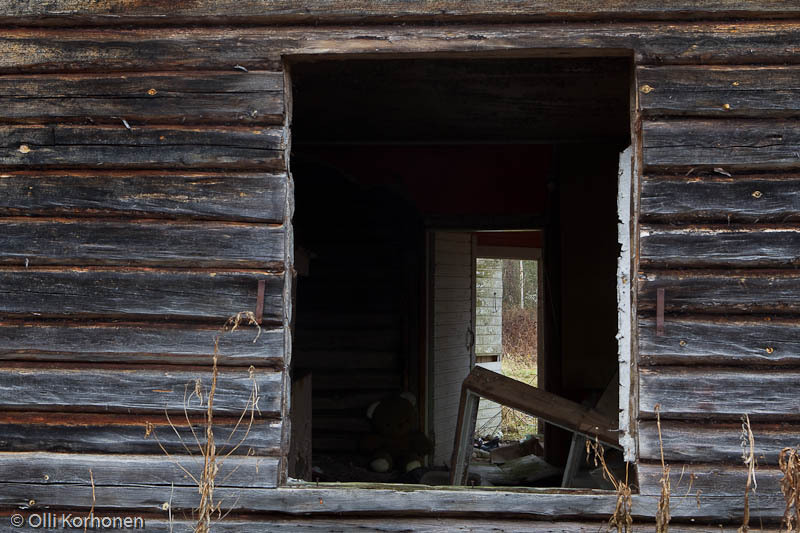 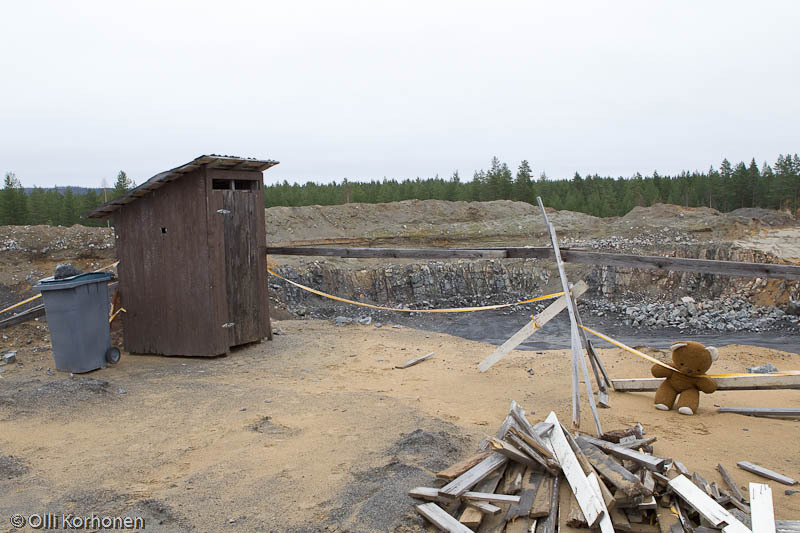 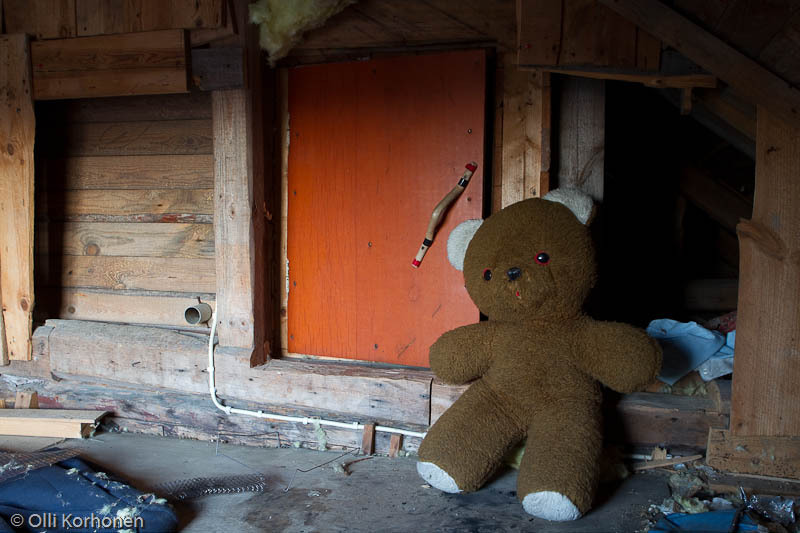 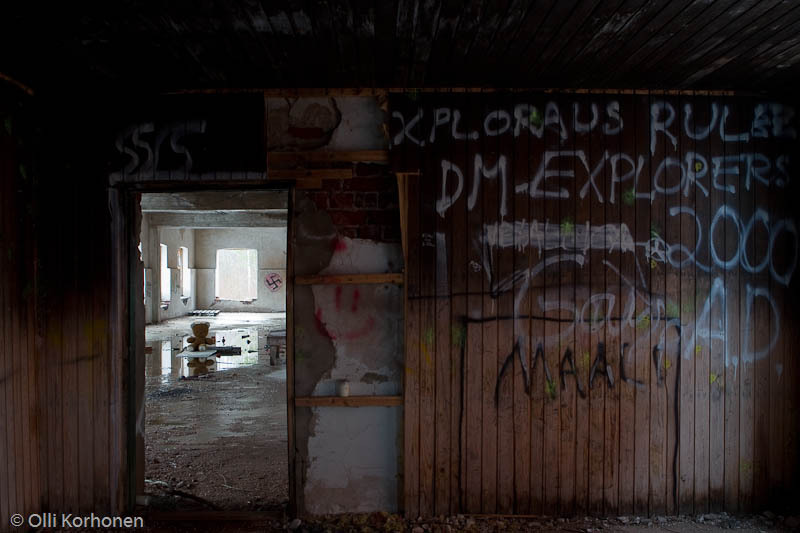 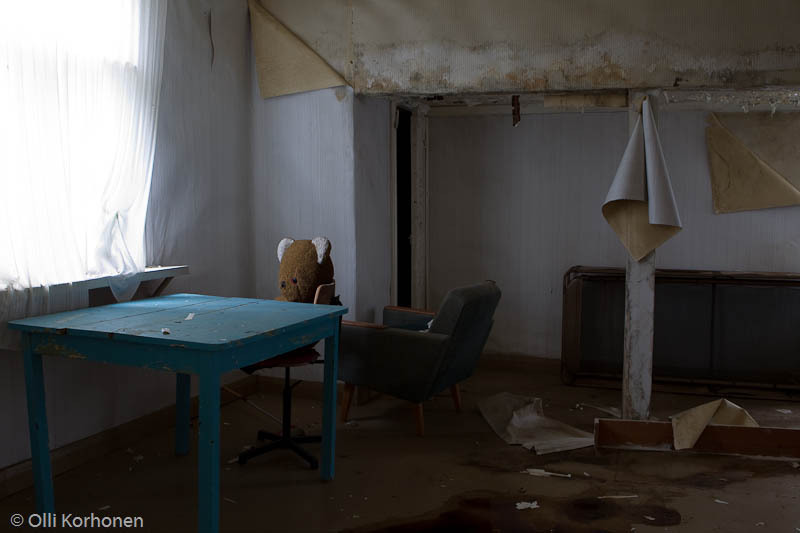 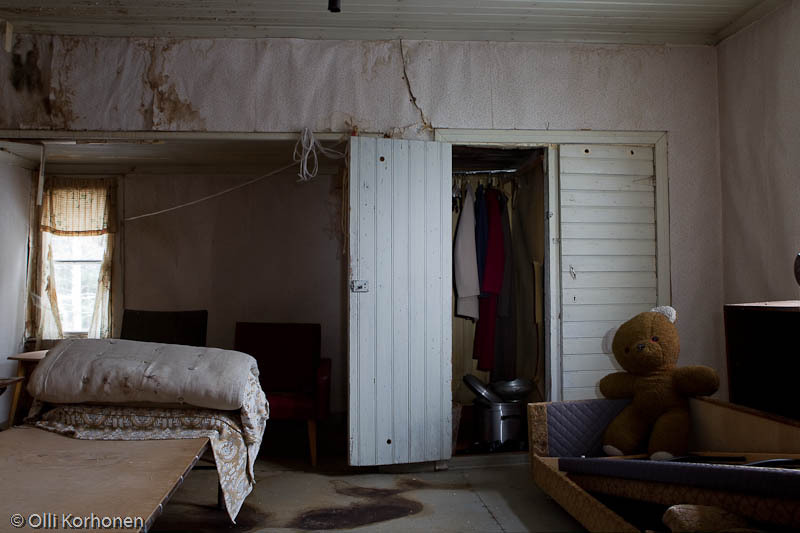 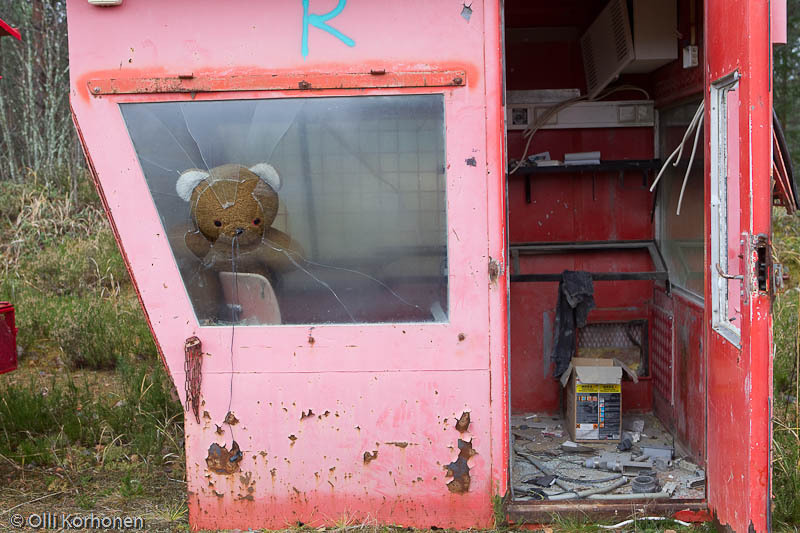 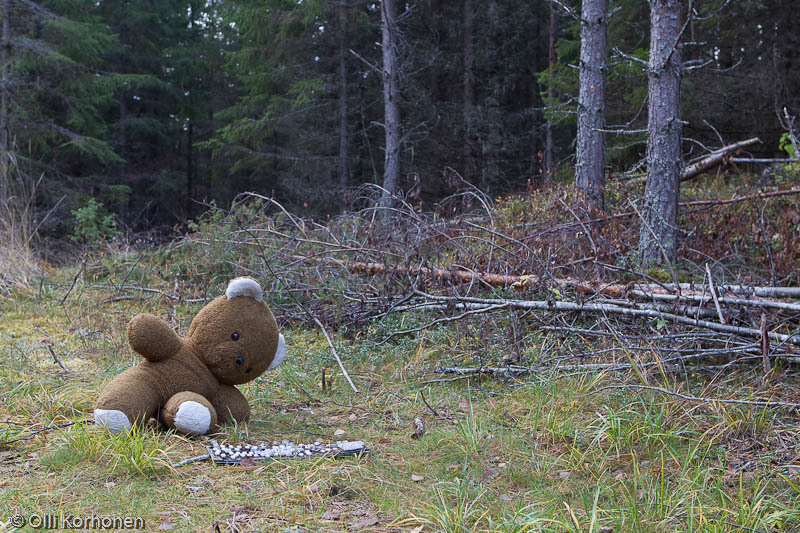 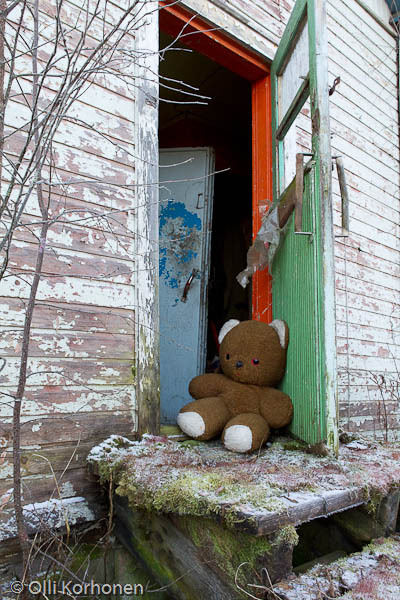 Olli KorhonenSlideshow « | The Abandoned Teddy Bear – A Photobook. 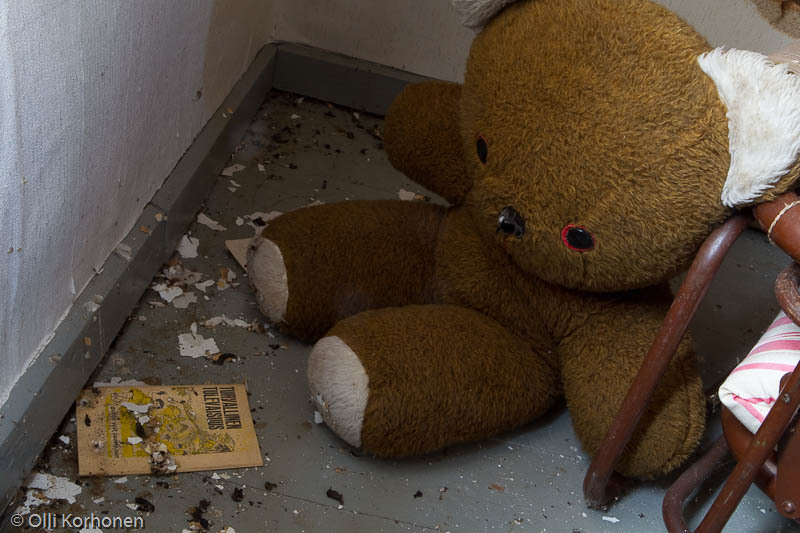 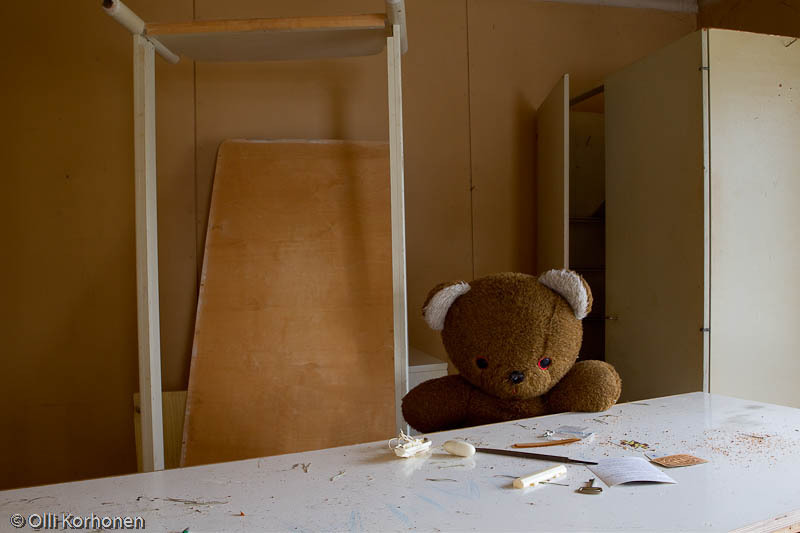 The Abandoned Teddy Bear is a continuous story in the form of a photobook about the adventures of a rejected teddy bear. 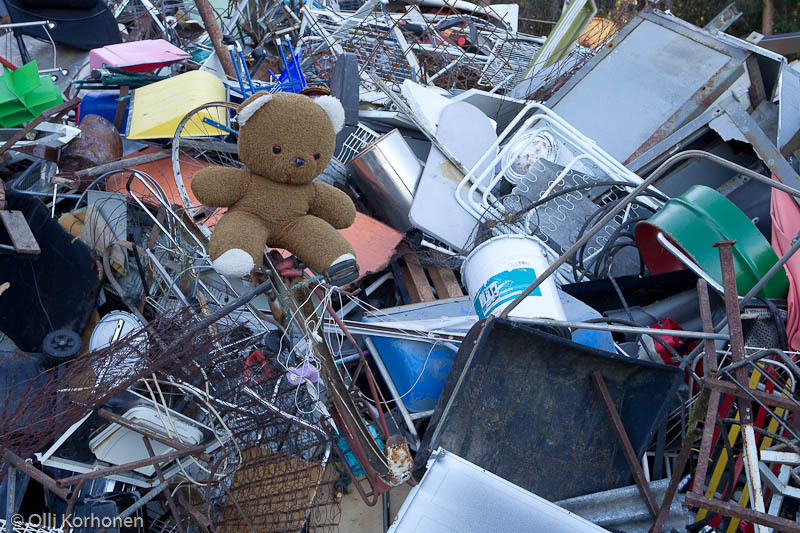 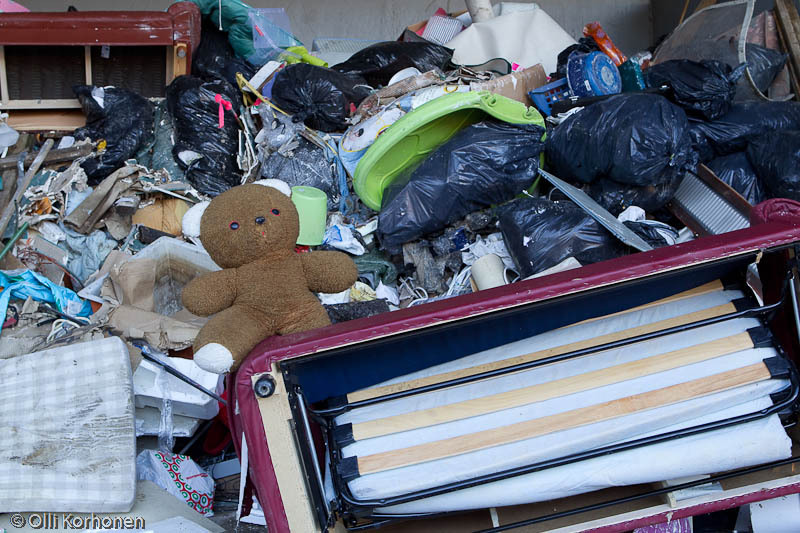 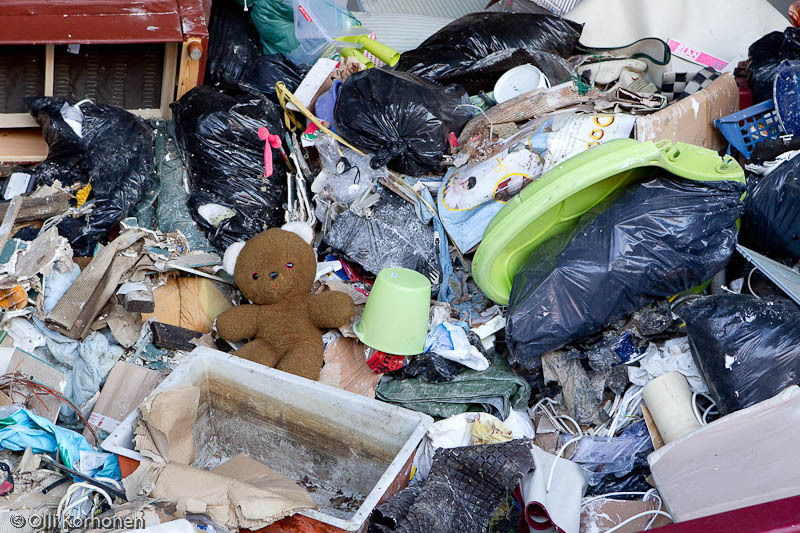 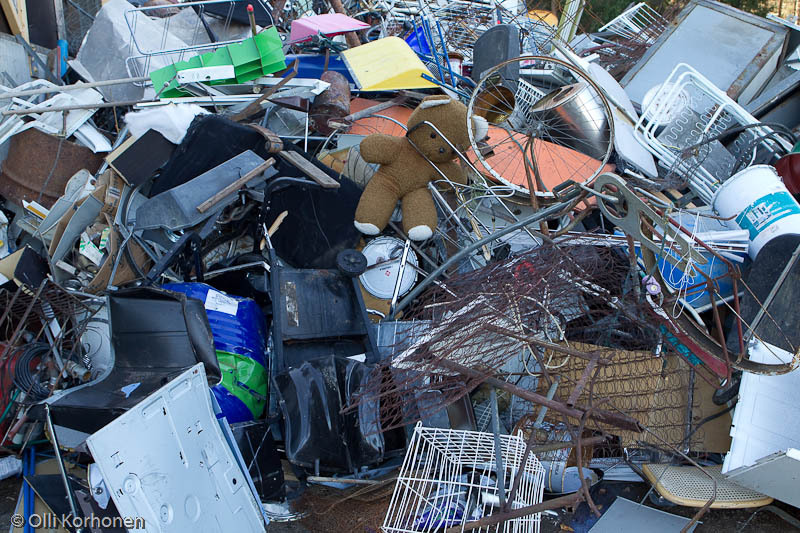 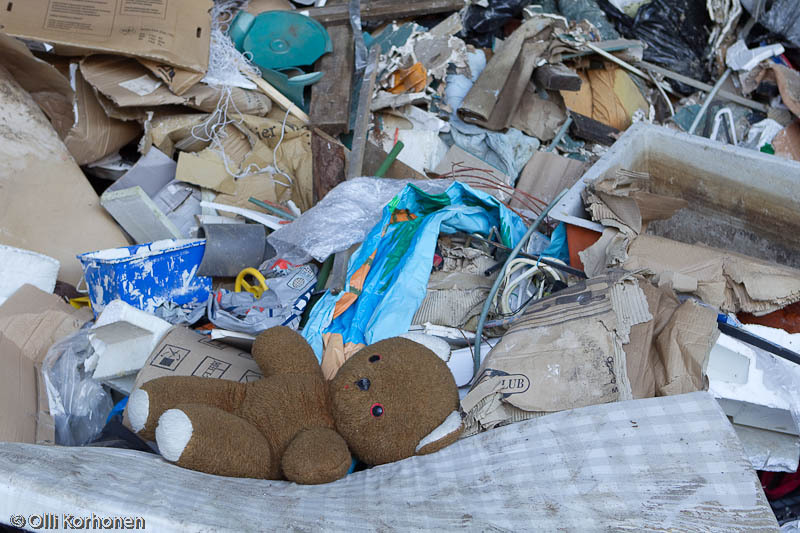 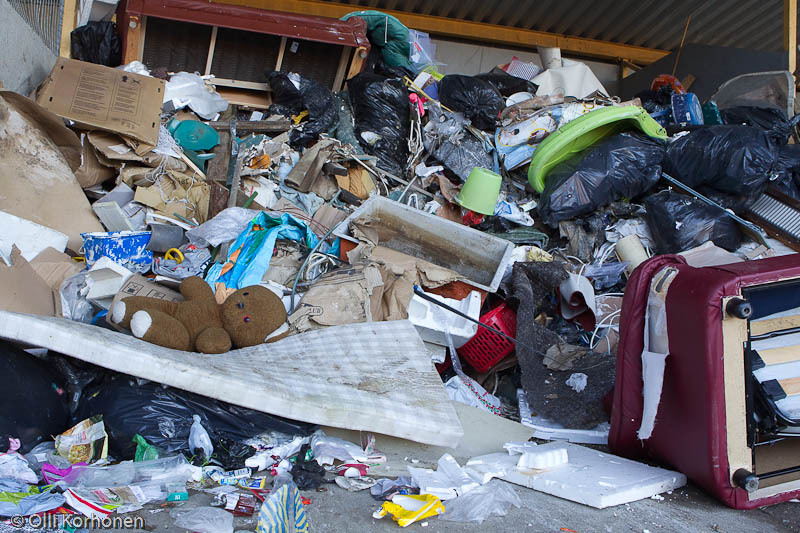 On November 16, 2011 I was visiting a local recycling depot when I spotted a brown teddy bear at the foot of a big garbage heap. 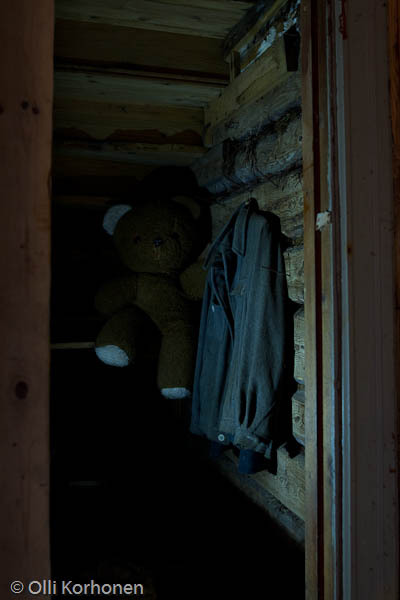 That I would not, of course, never know but with its help, I could try to tell something about the about the world which it had been born to bring comfort and love into but which had turned its cold back to it. 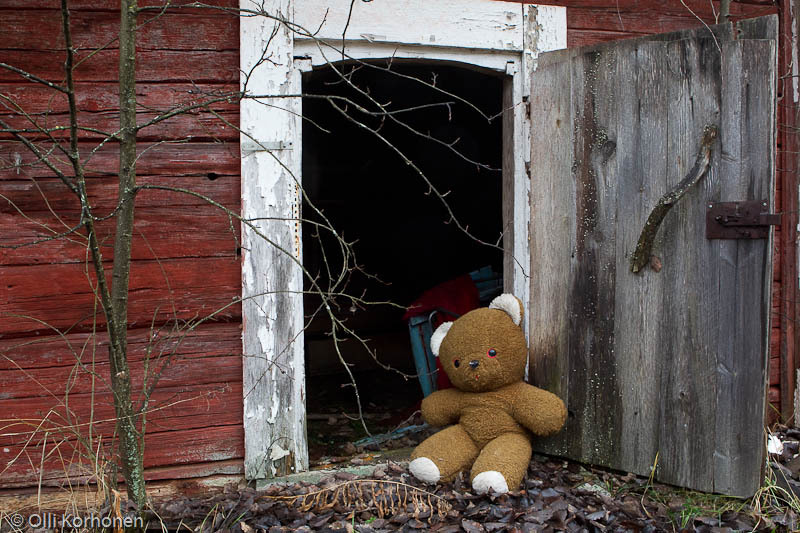 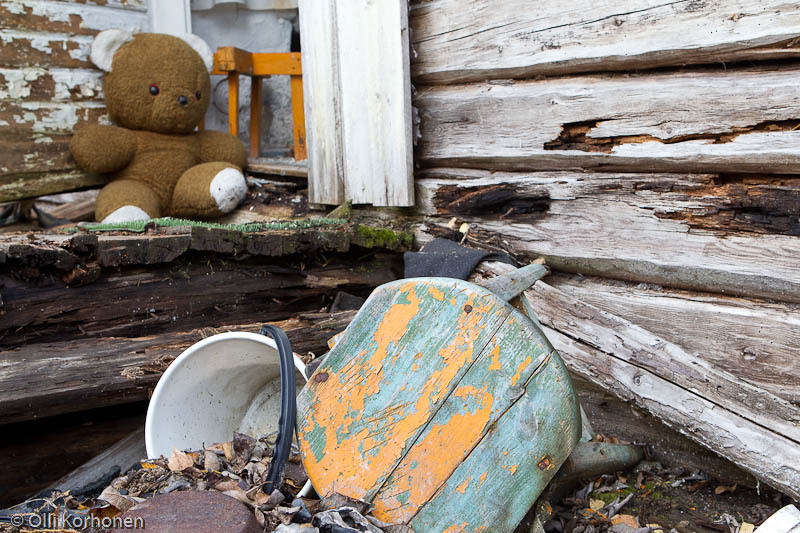 Very quickly it became obvious to me that what was the best way to do that was to photograph both places and items that shared the abandoned teddy bear’s fate whenever I should come across with them. 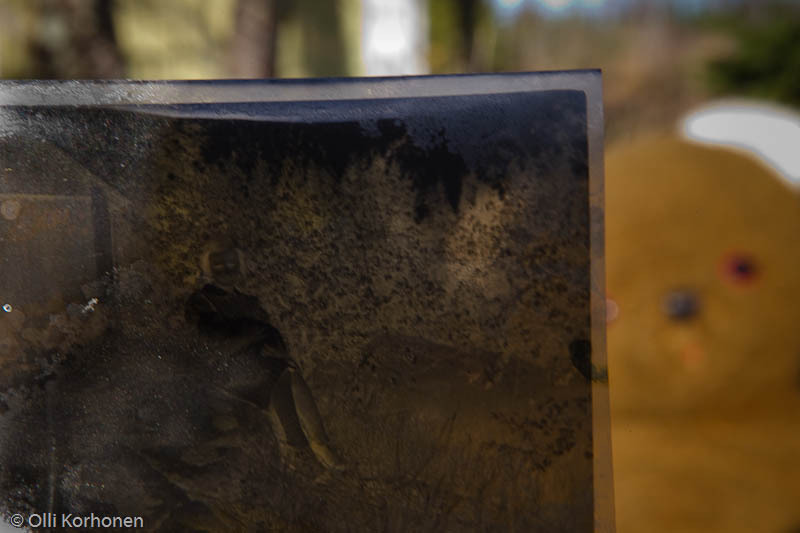 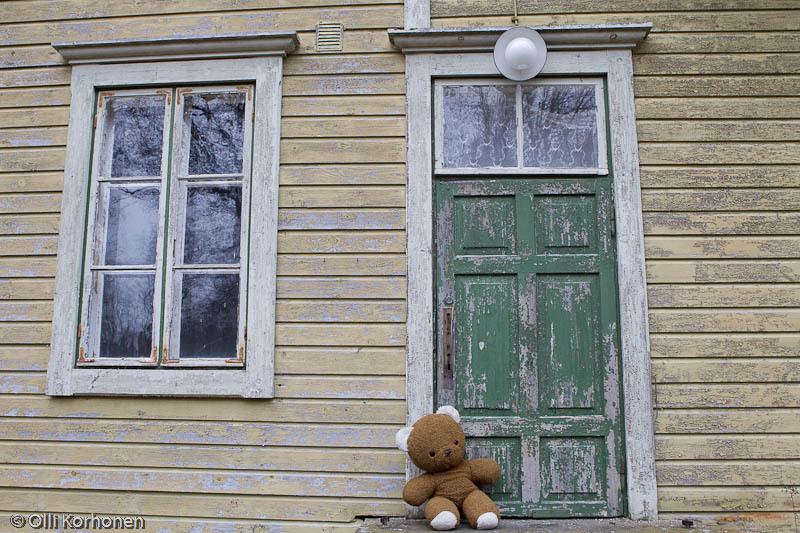 Bearing that in my mind, I have since then had the teddy bear with me on my photographic ventures into Finnish nature. 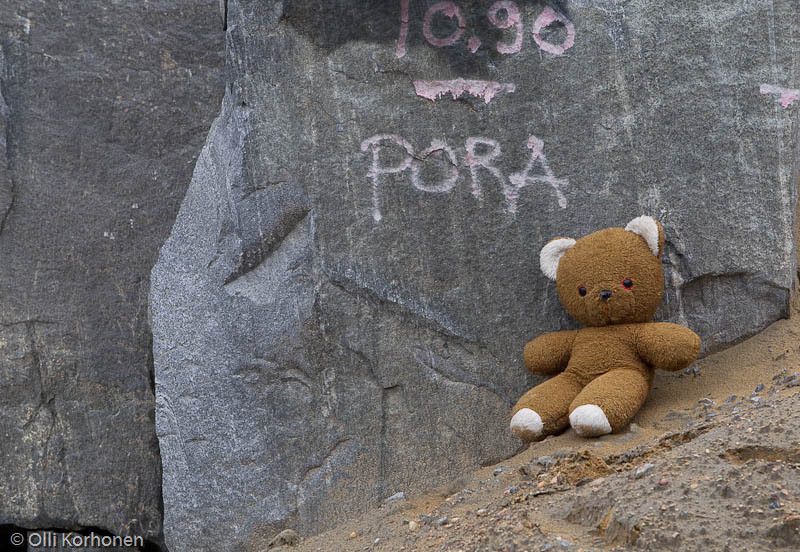 The Teddy Bear Is Found. 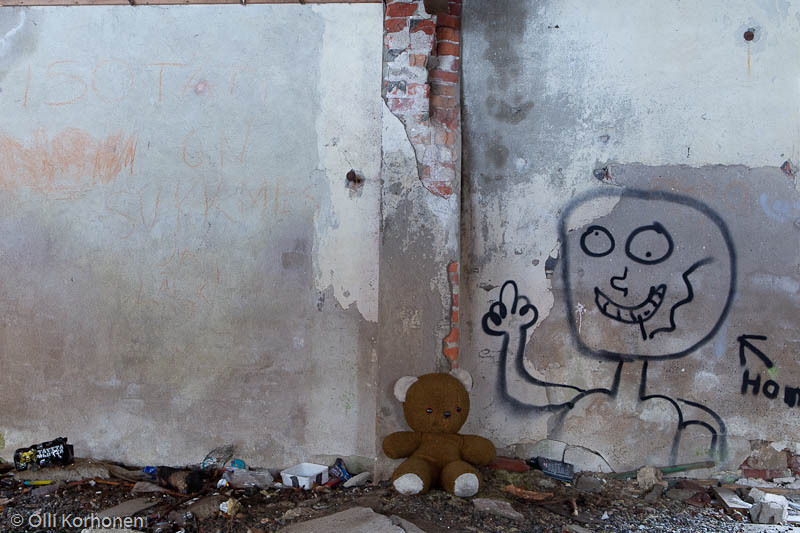 The Abandoned Teddy Bear Meets Graffiti. 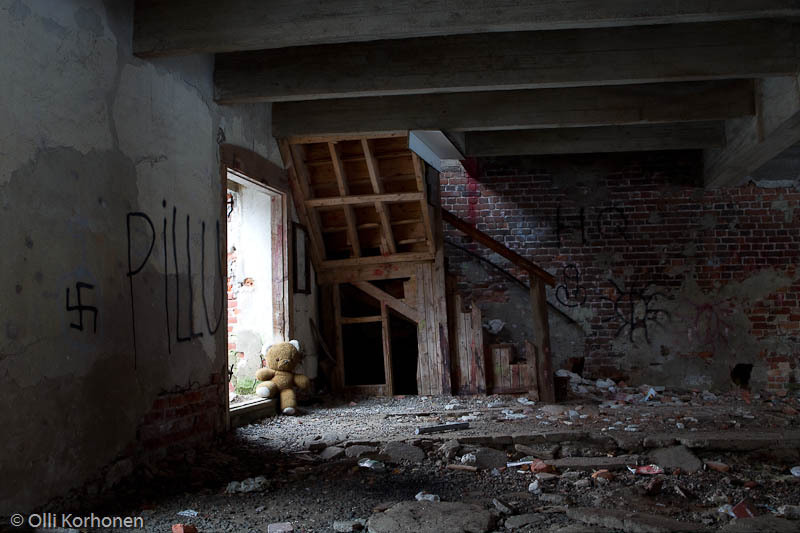 The Teddy Bear and an Abandoned School. 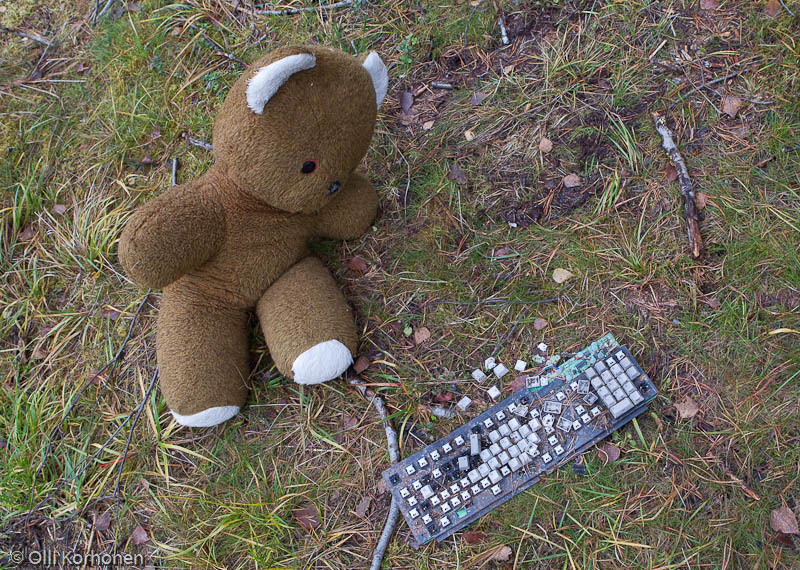 The Teddy Bear and a Keyboard Abandoned on a Remote Road. 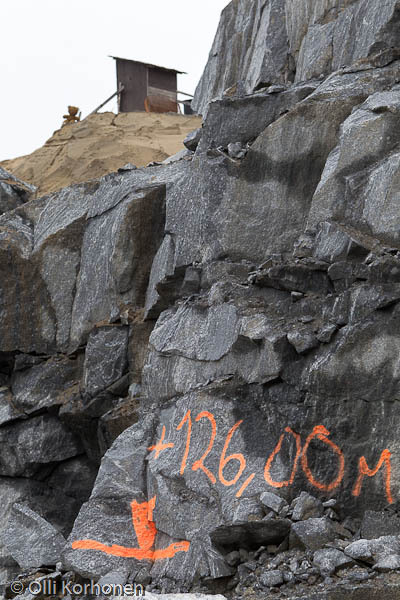 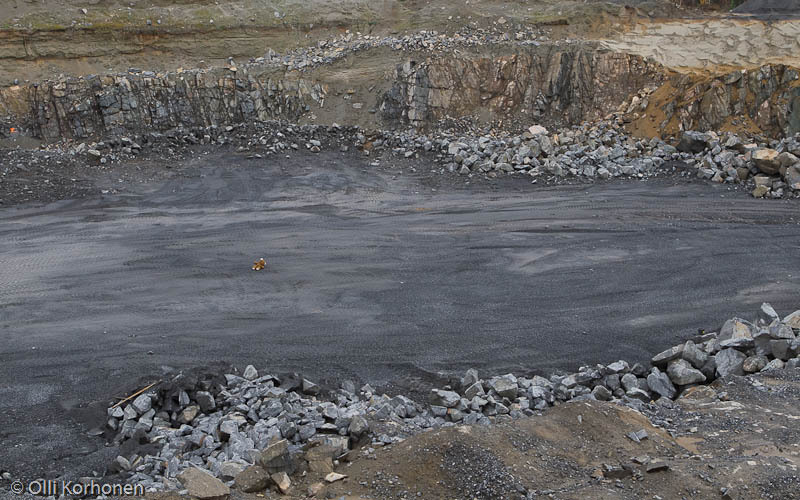 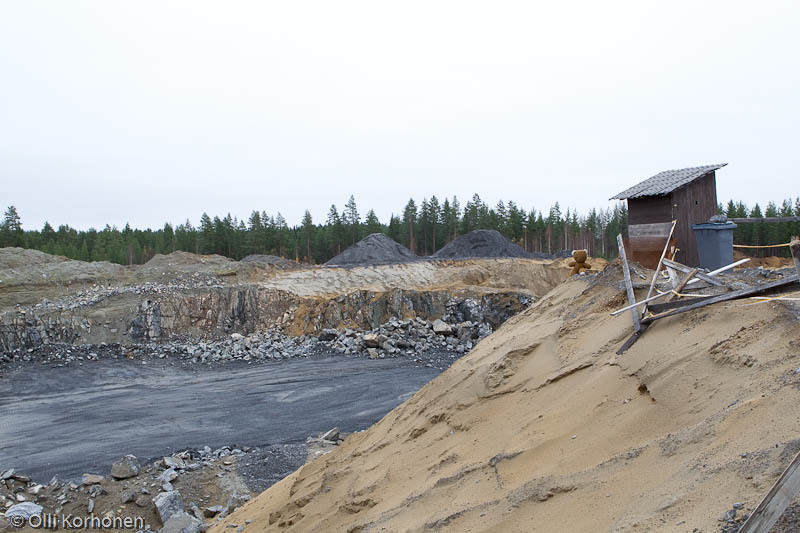 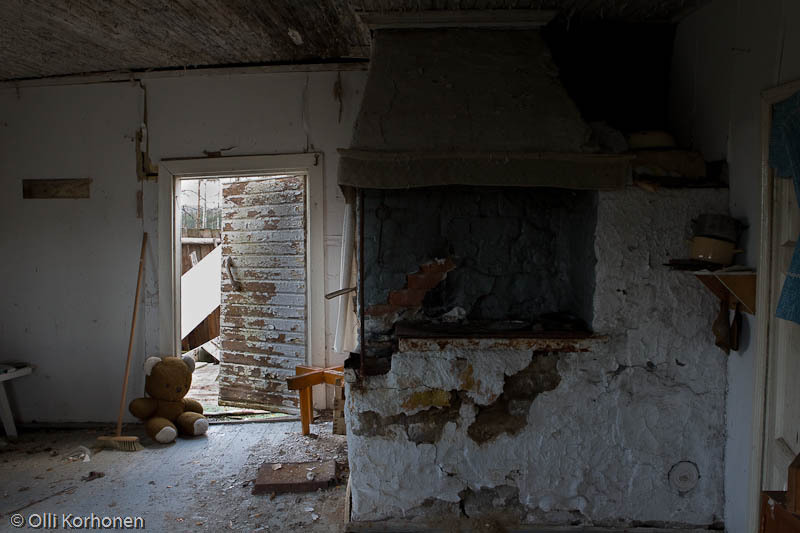 The Teddy Bear and an Abandoned Sand Ridge. 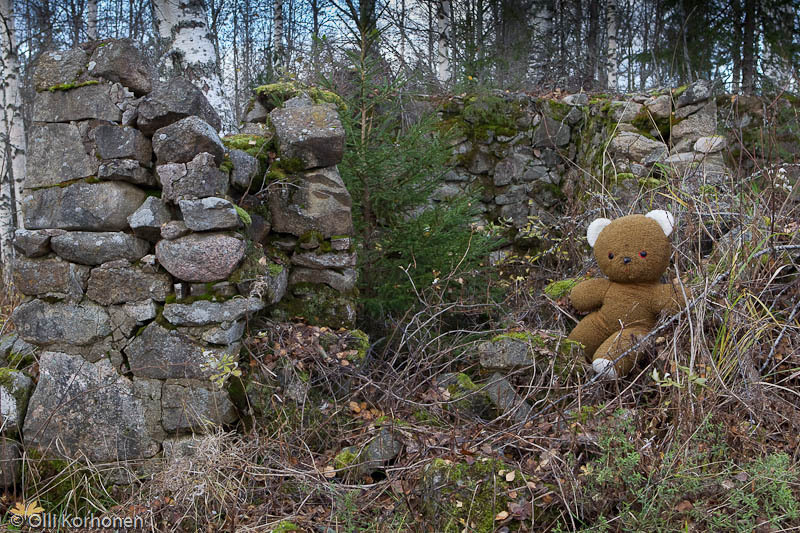 The Teddy Bear and the Abandoned Countryside. 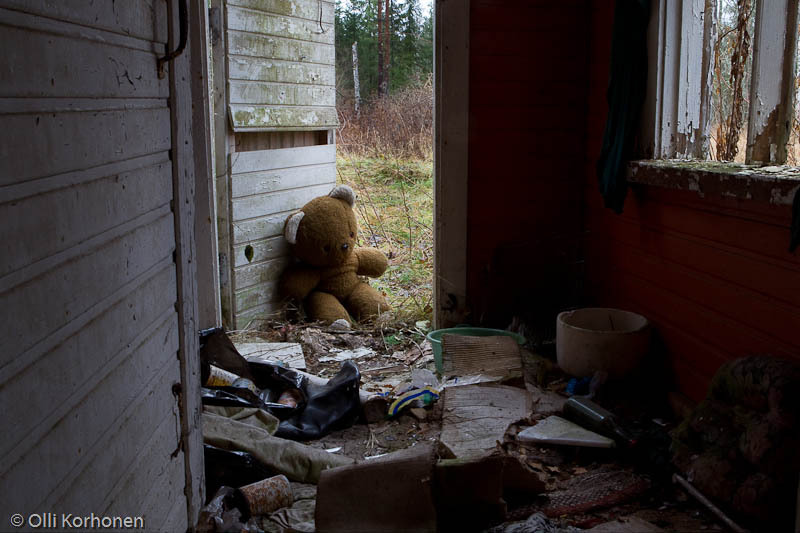 The Abandoned Teddy Bear Gets Disappointed. 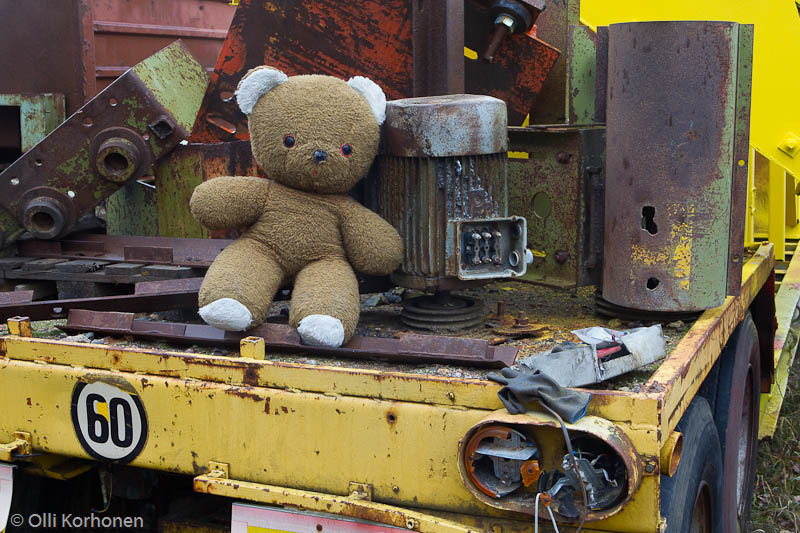 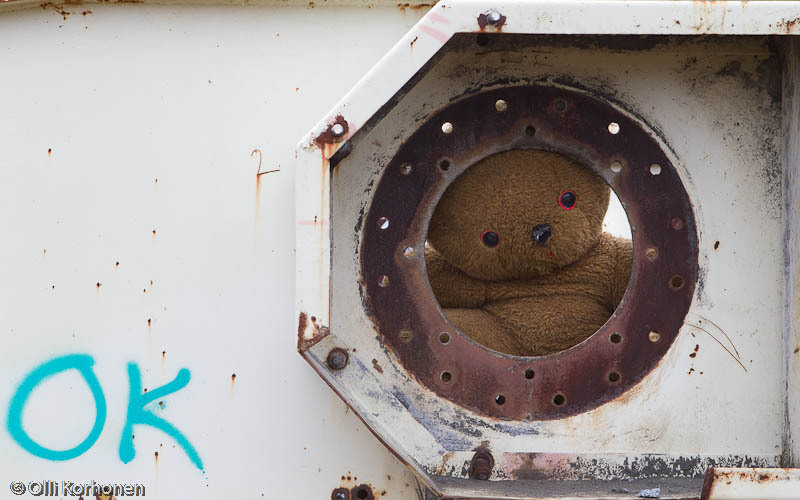 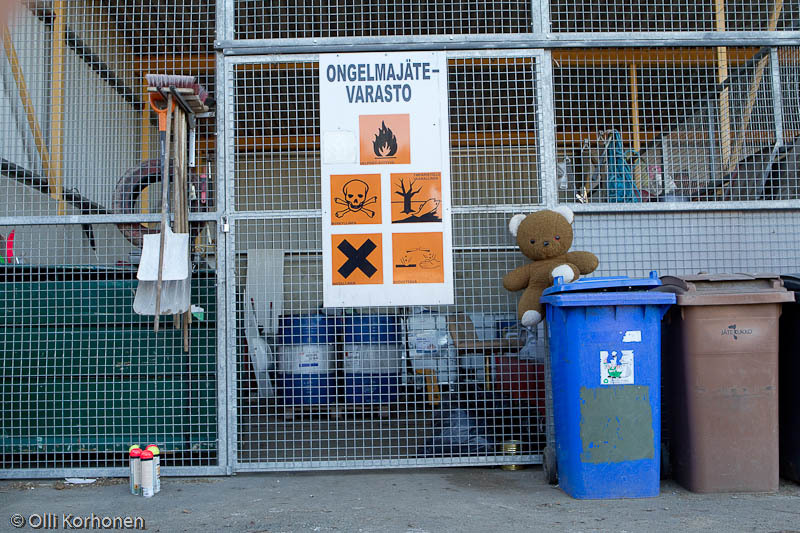 The abandoned Teddy Bear finds a fenced industrial area crowded with all kinds of machines in very poor condition. 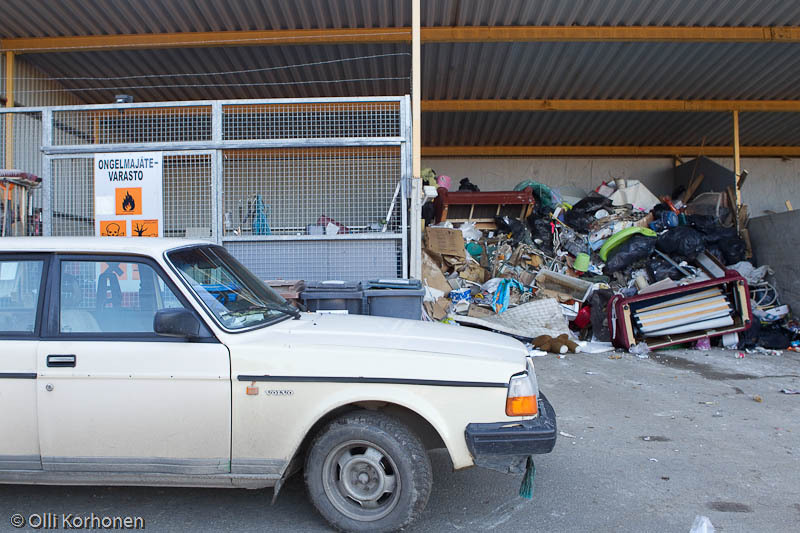 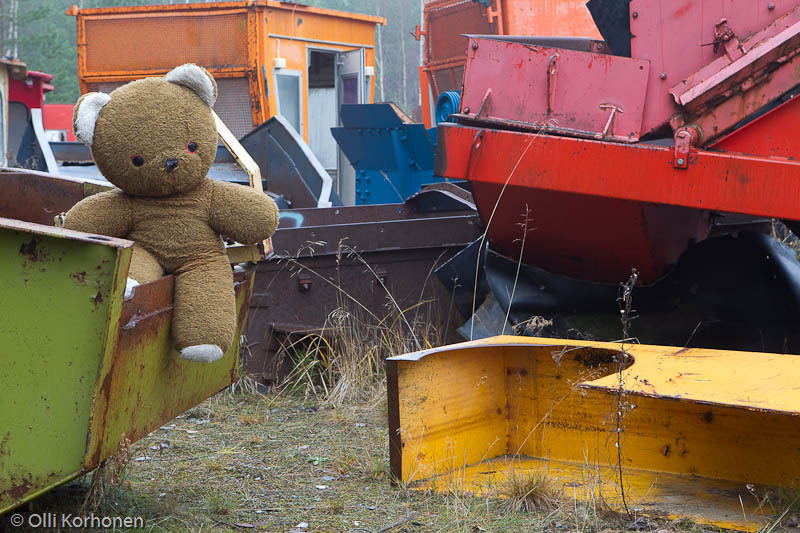 The Teddy Bear believes that the place is a junk yard for abandoned machines, but it turns out that they are there waiting to be repaired and sold to Russia. 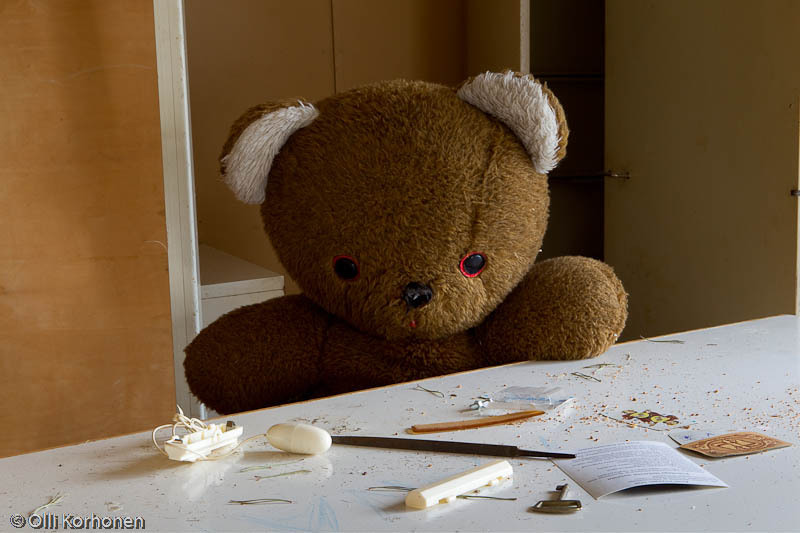 Hearing this, the Teddy Bear asks himself why no one wants to repair him. 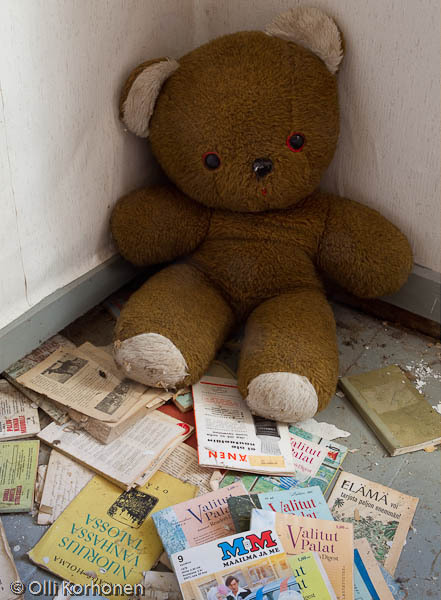 The abandoned Teddy Bear finds old books and magazines whose titles reveal broken promises: “Life has more to offer” and “A Safe Future”. 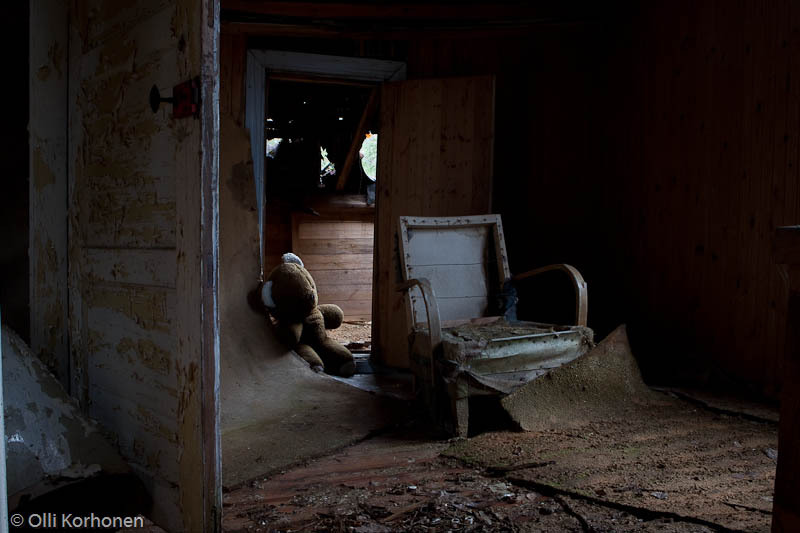 The Teddy Bear Meets an Inhabitant of the Abandoned House. 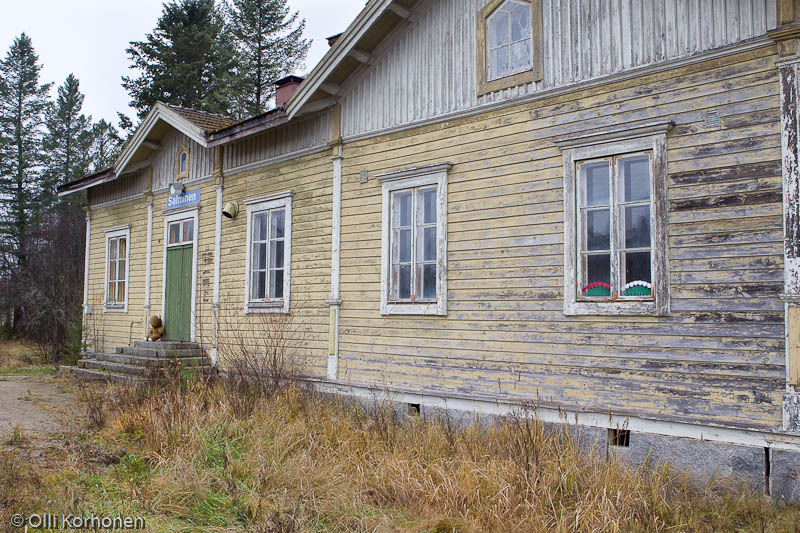 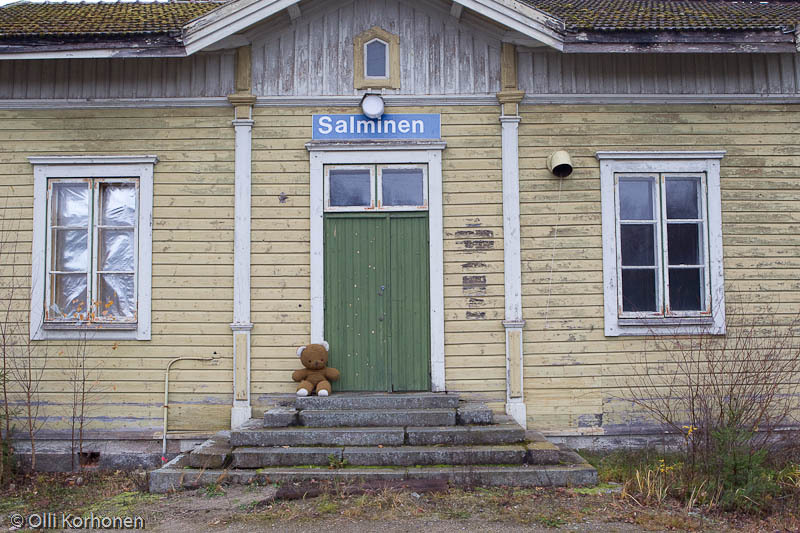 The Teddy Bear and an Abandoned Railway Station. 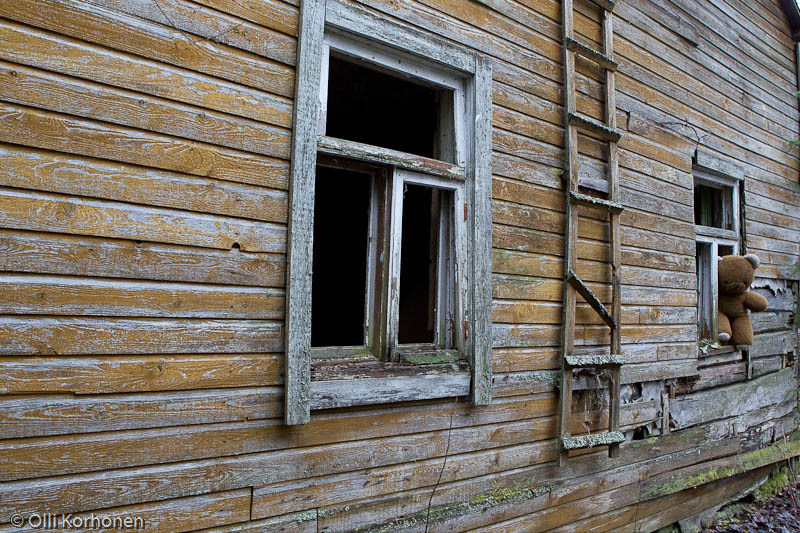 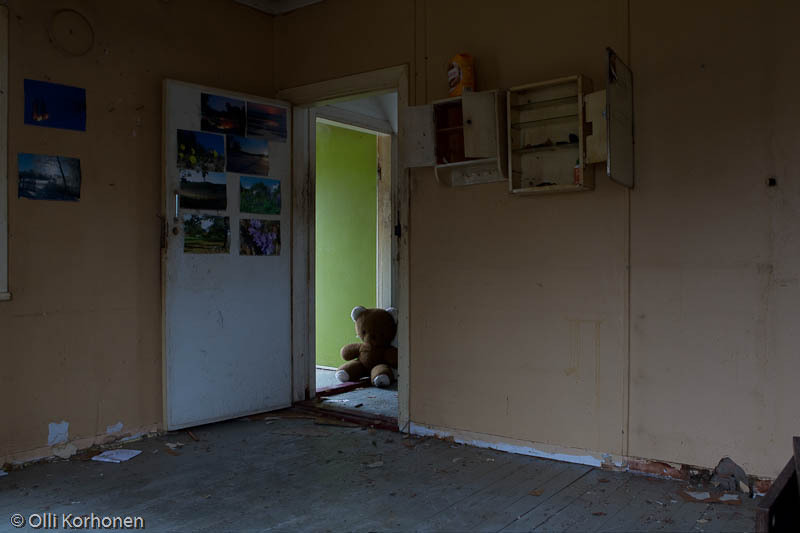 The Abandoned Teddy Bear Finds Another Deserted House. 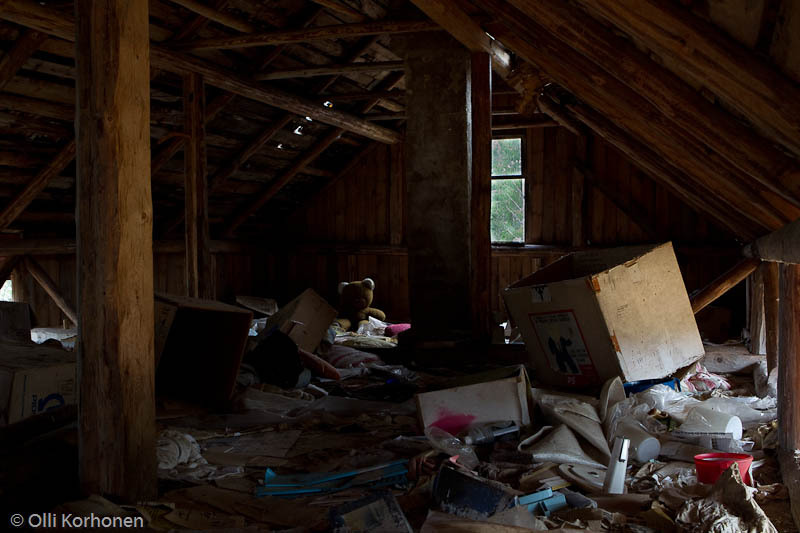 Attic of the Deserted House. 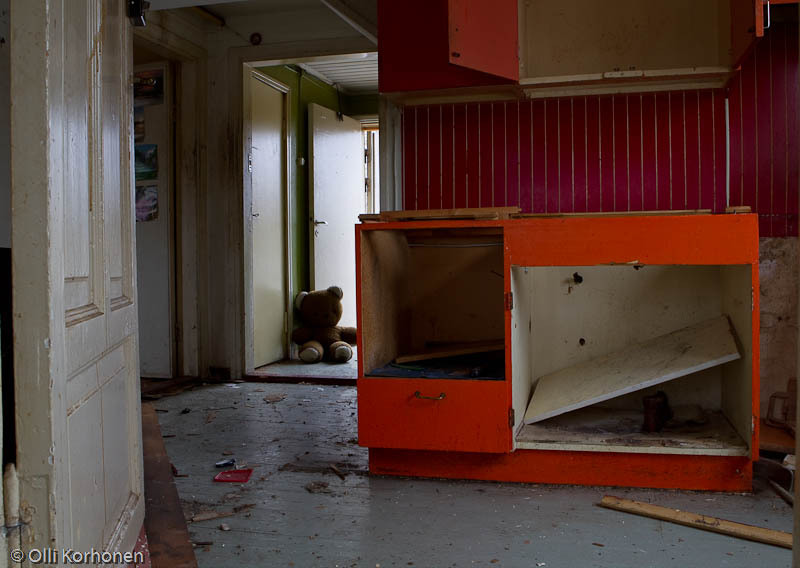 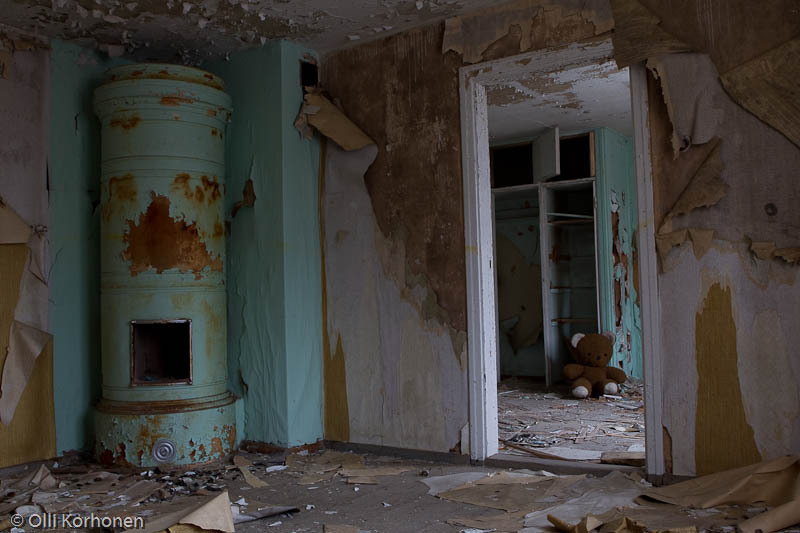 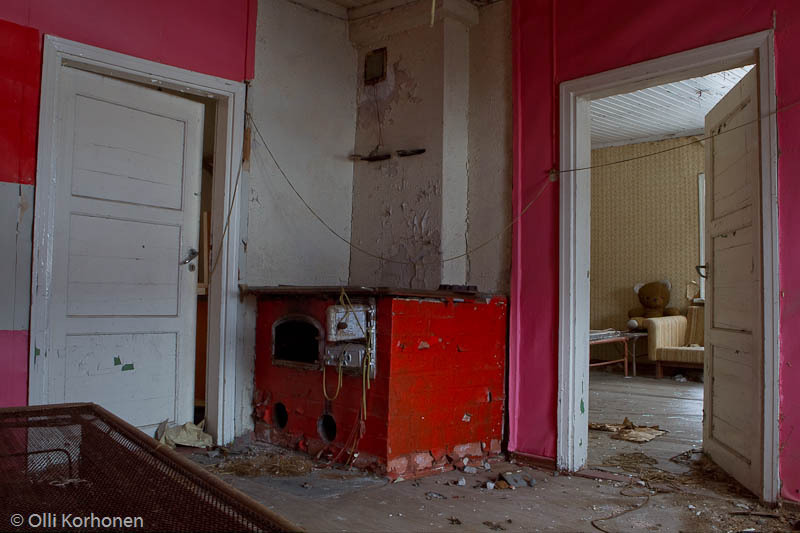 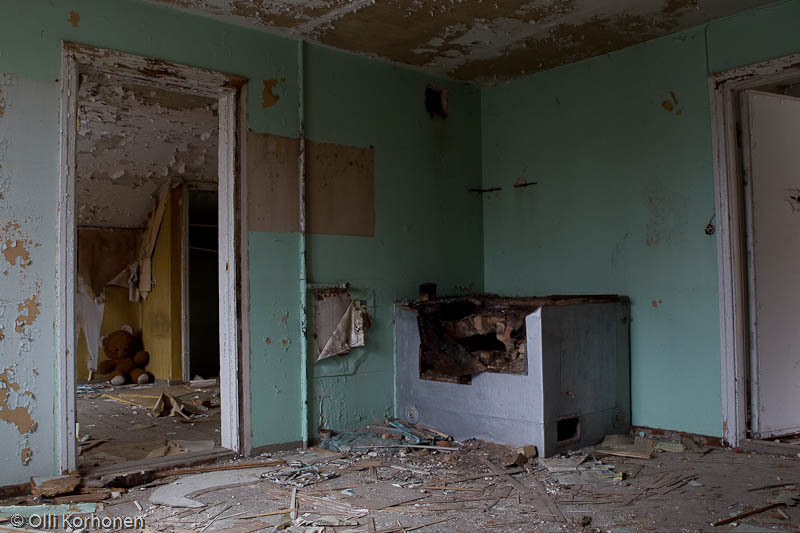 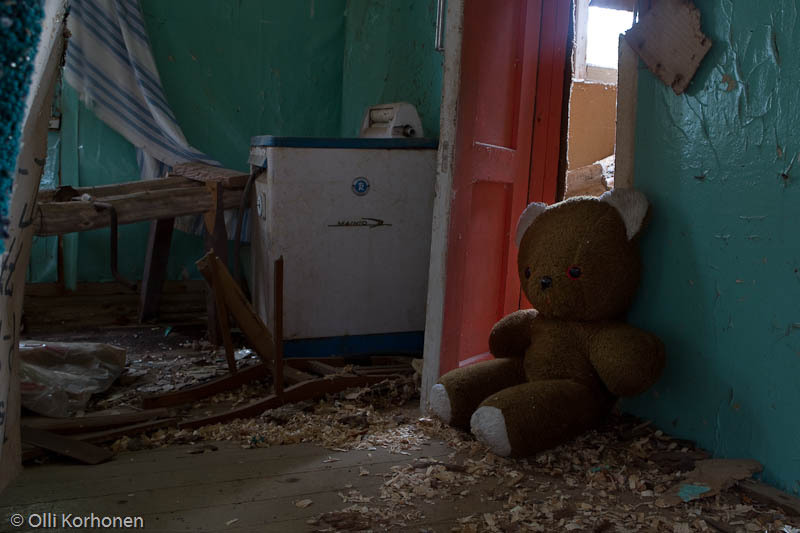 The Abandoned Teddy Bear Finds a Very Colourful Deserted House. 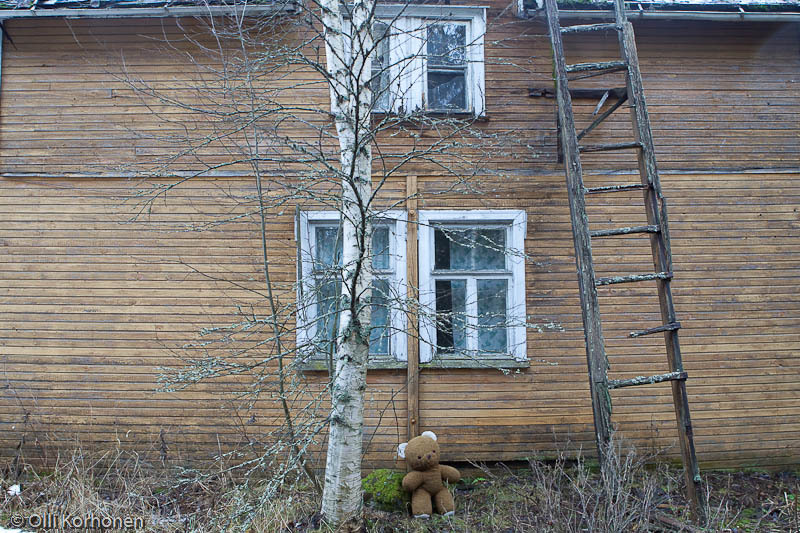 The Abandoned Teddy Bear Risks Its Life. 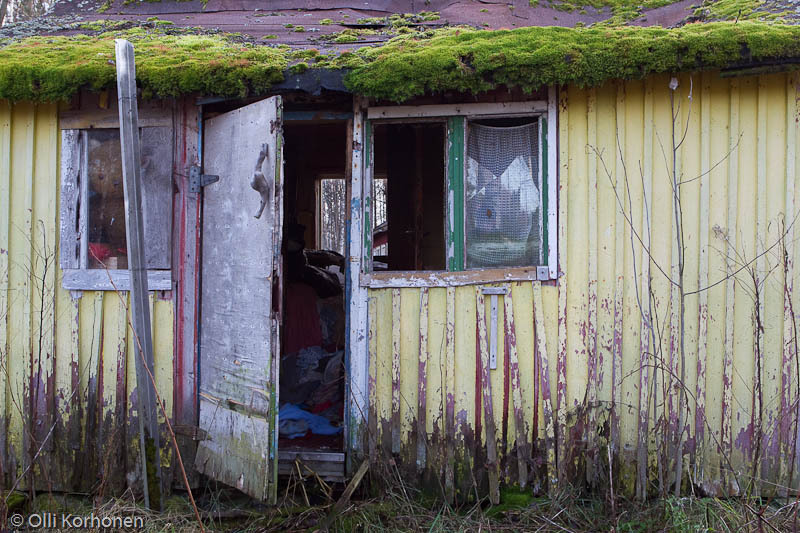 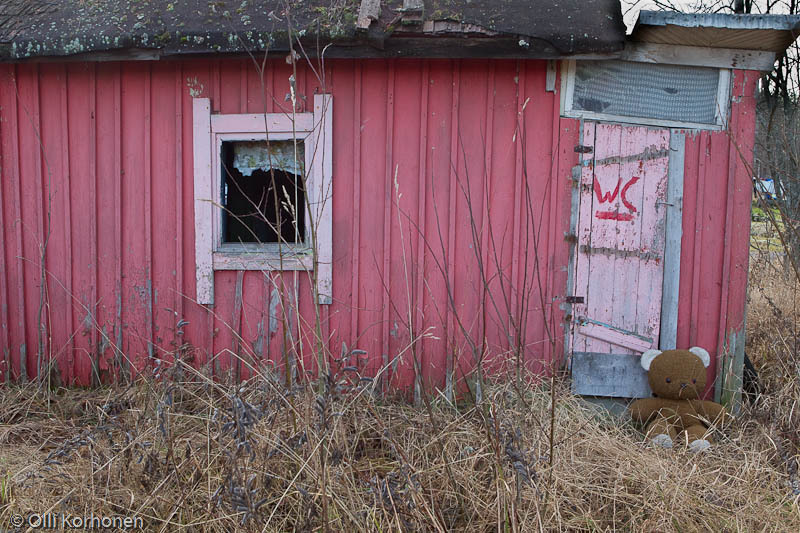 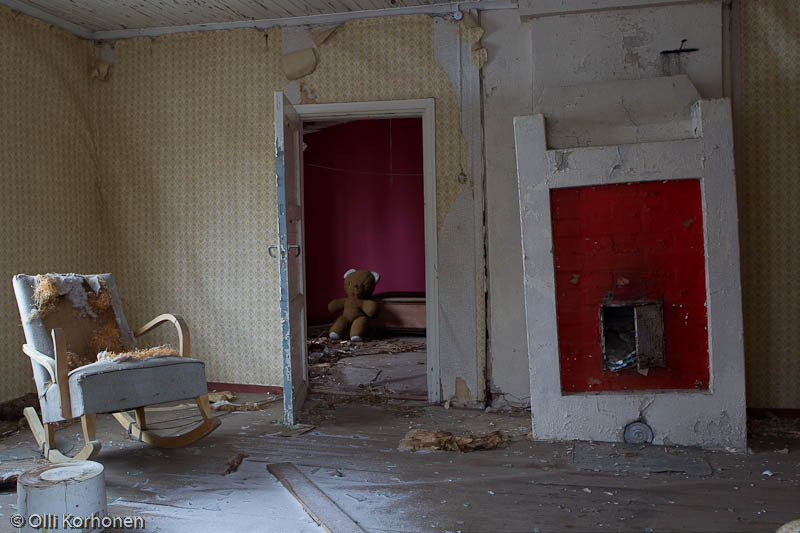 The Abandoned Teddy Bear Finds Another Colourful Deserted House. 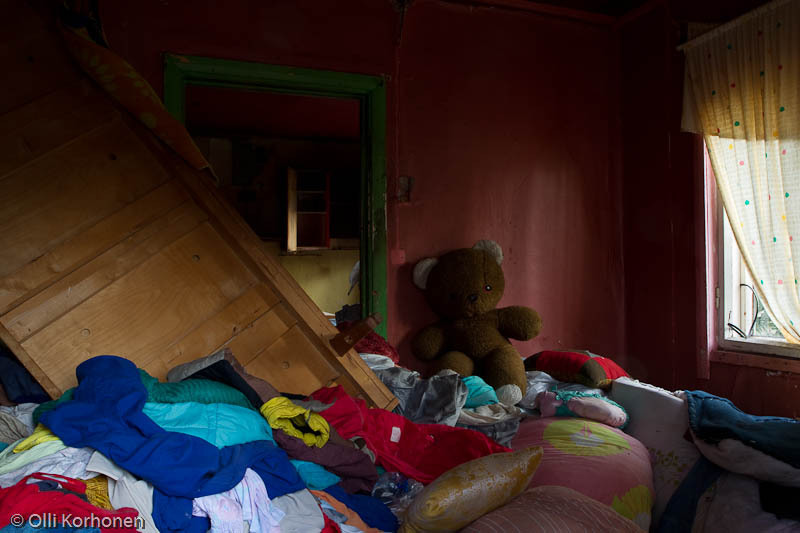 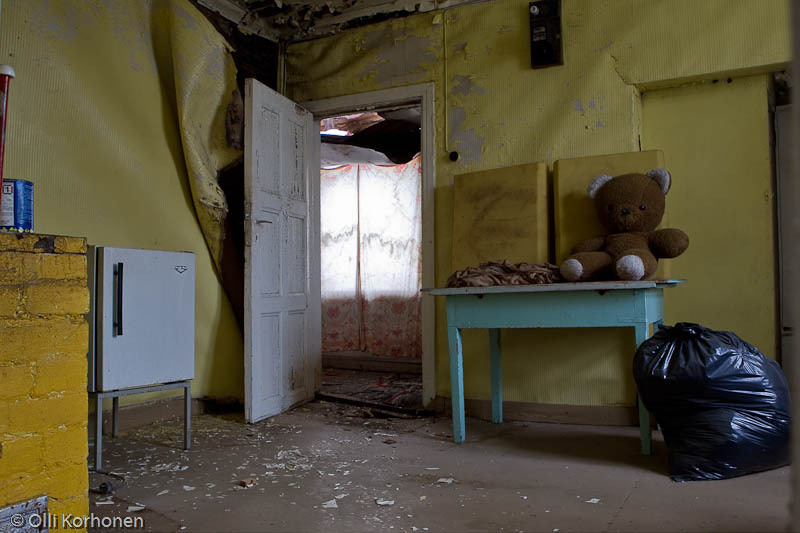 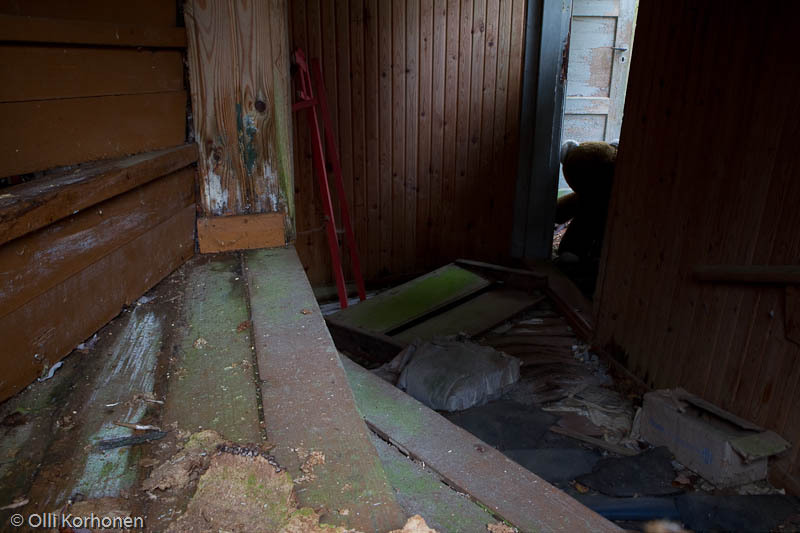 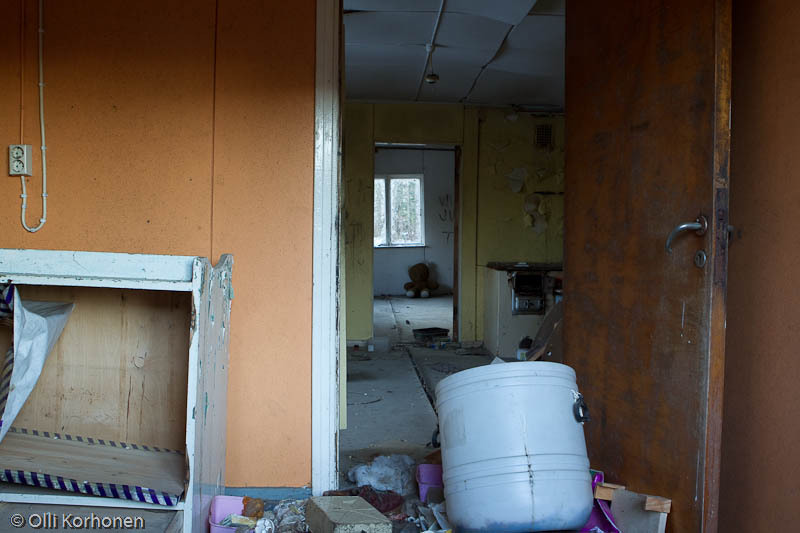 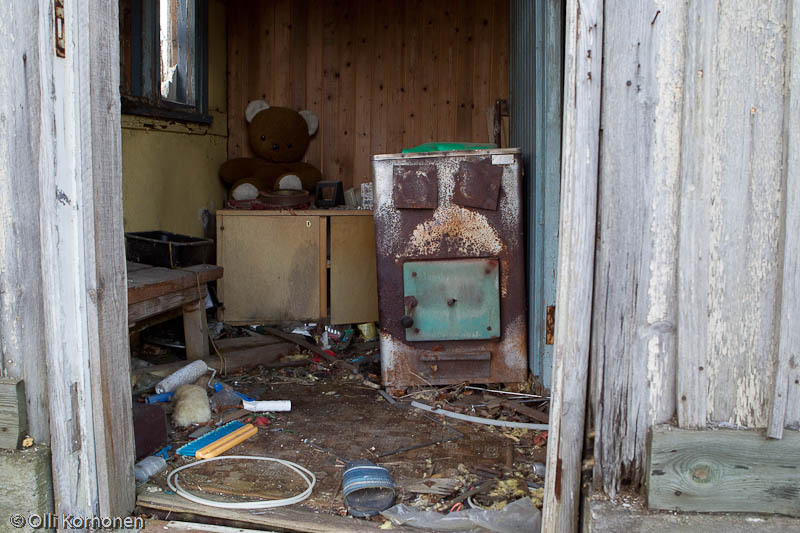 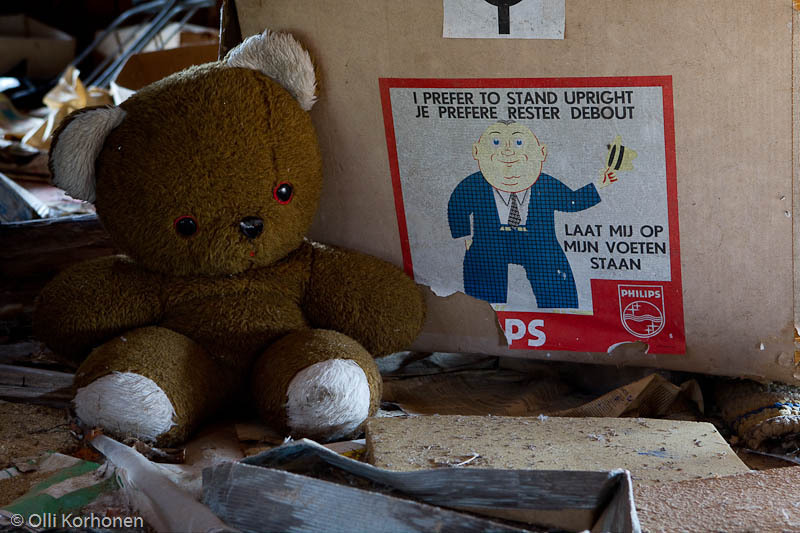 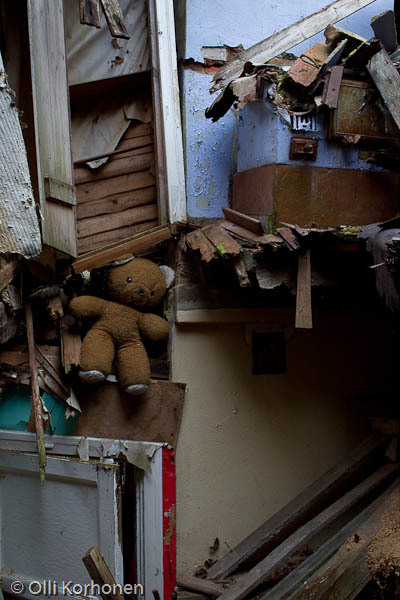 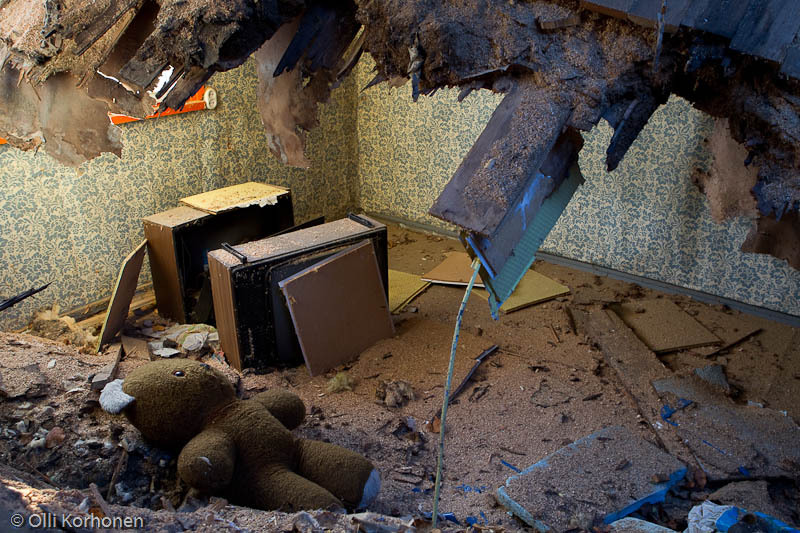 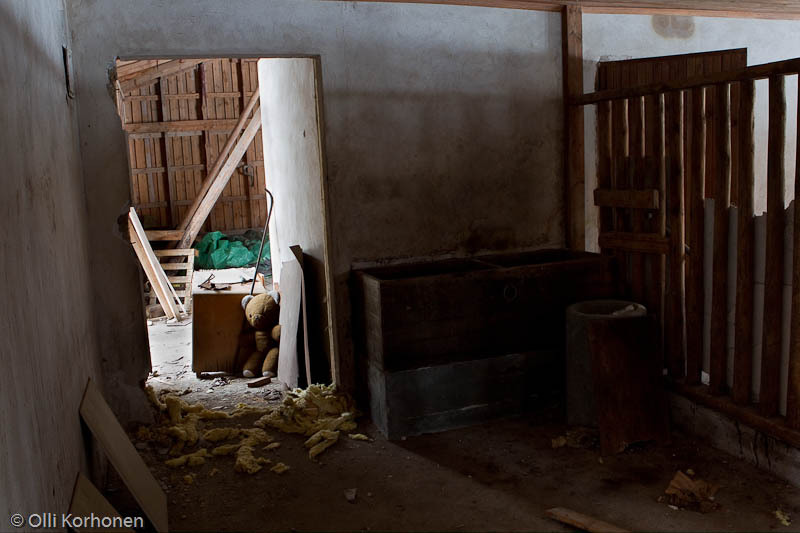 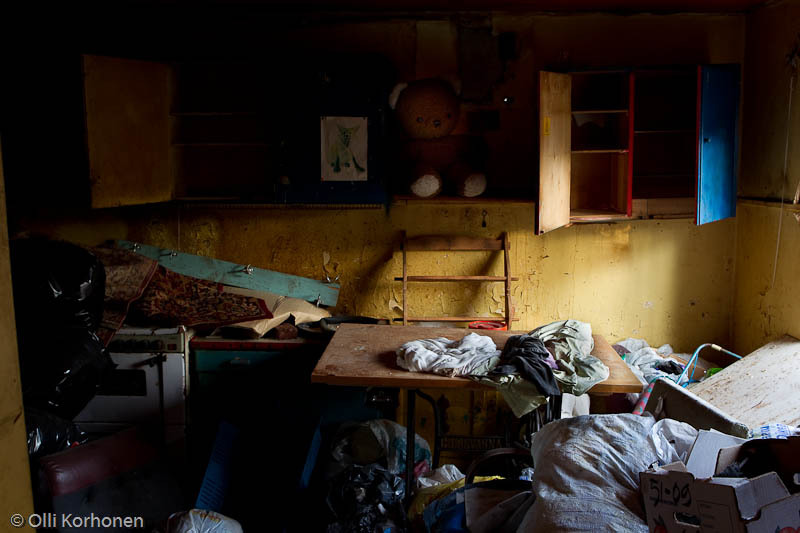 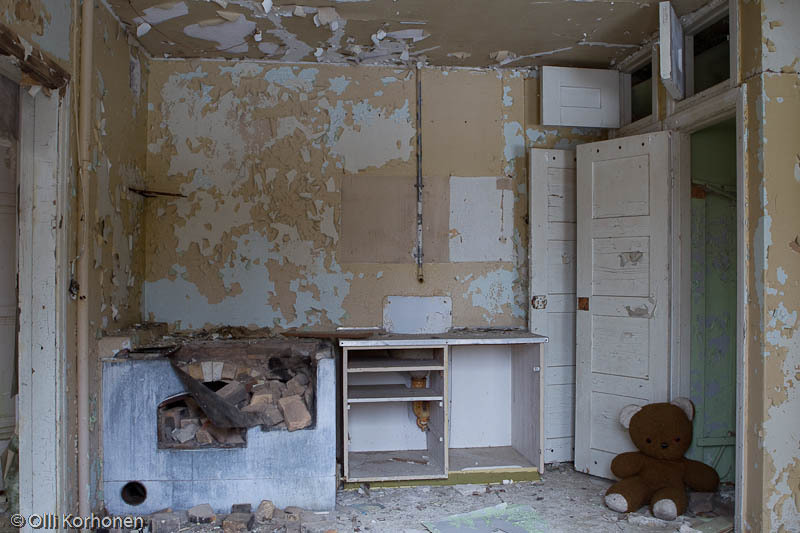 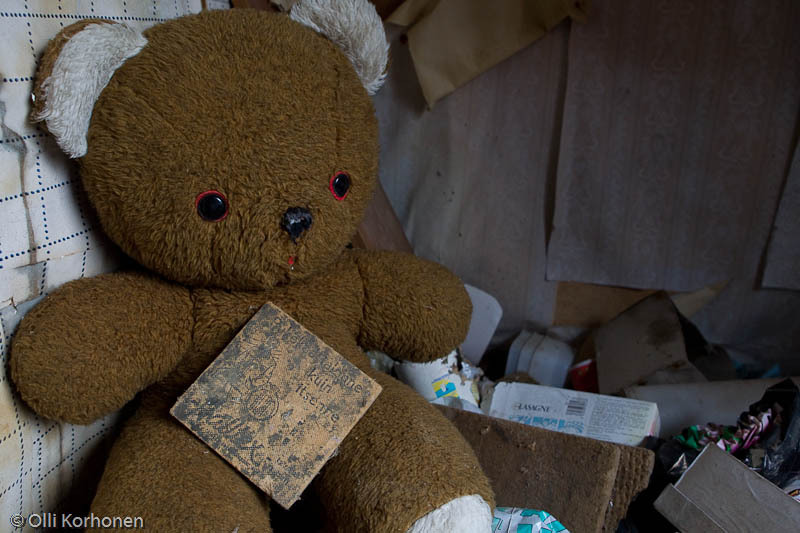 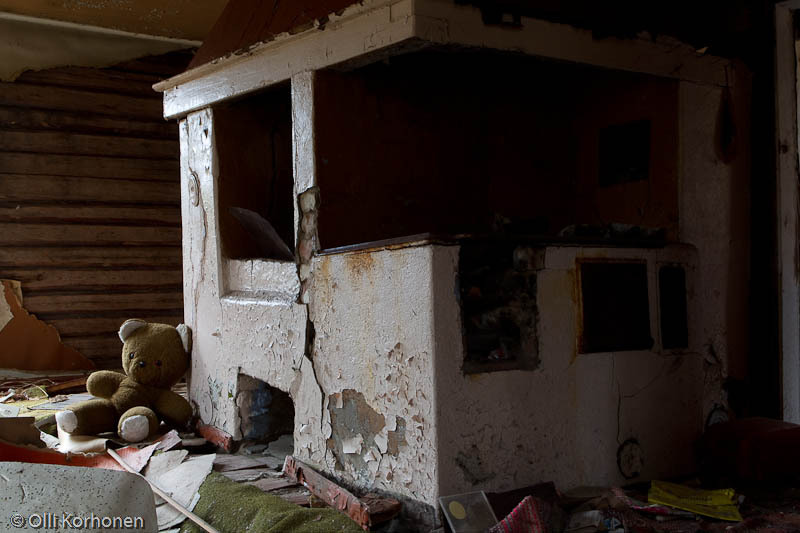 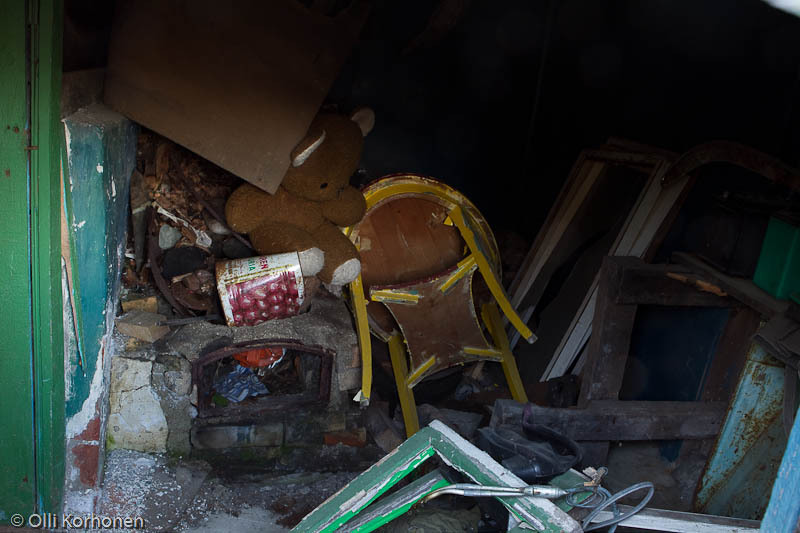 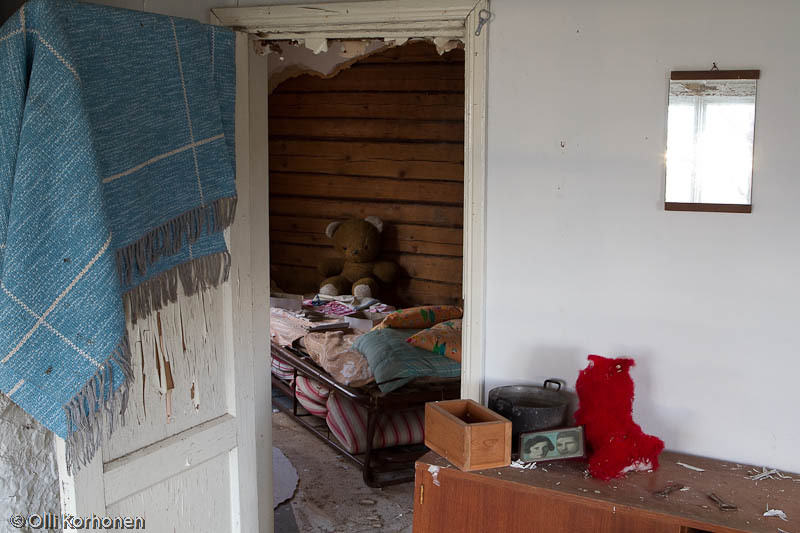 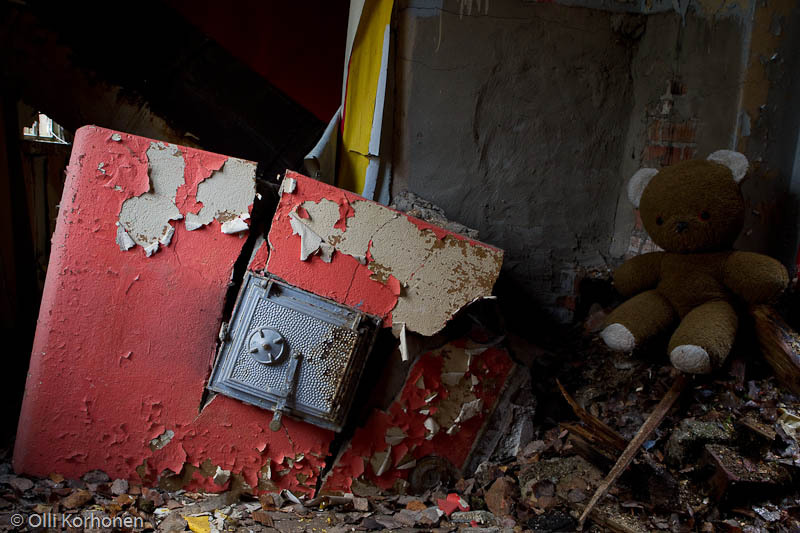 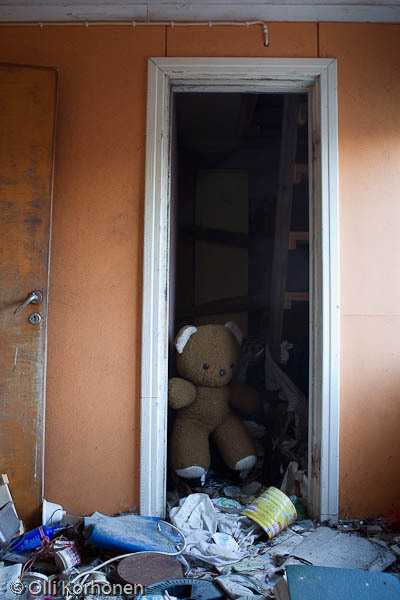 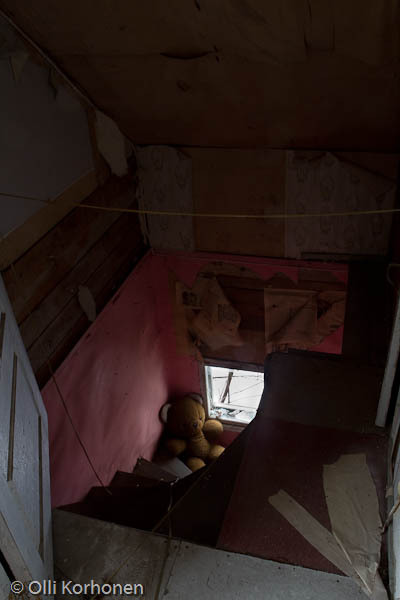 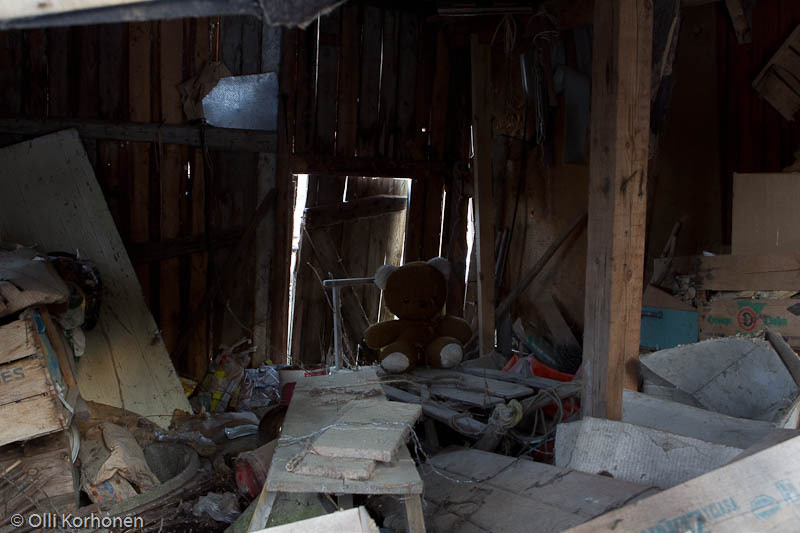 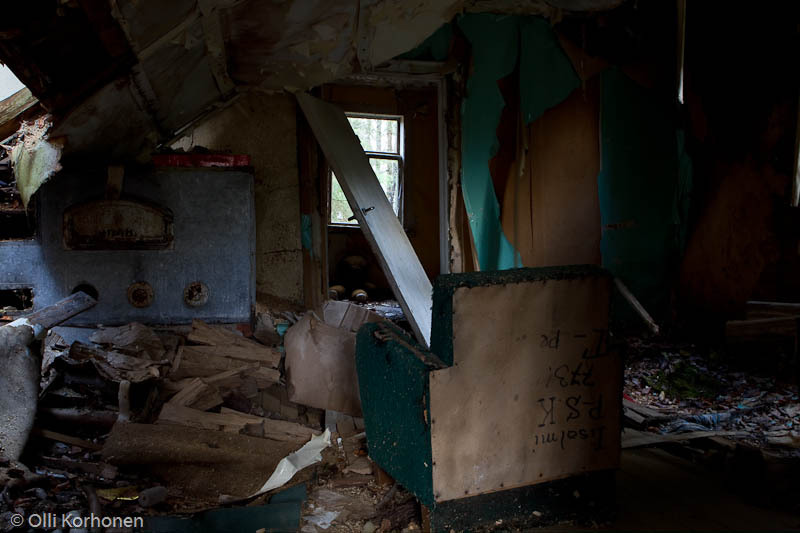 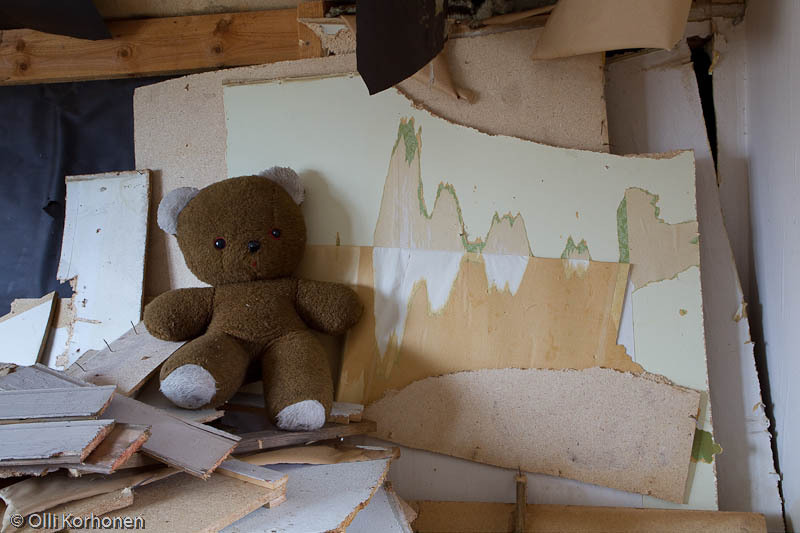 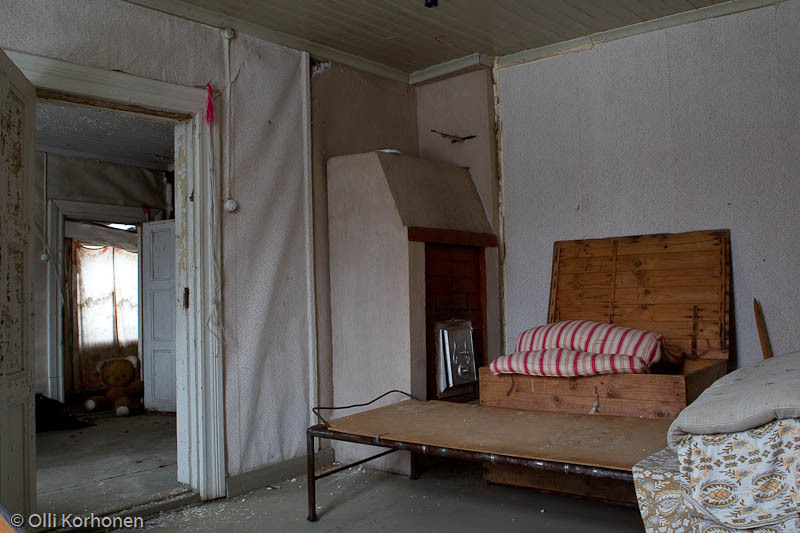 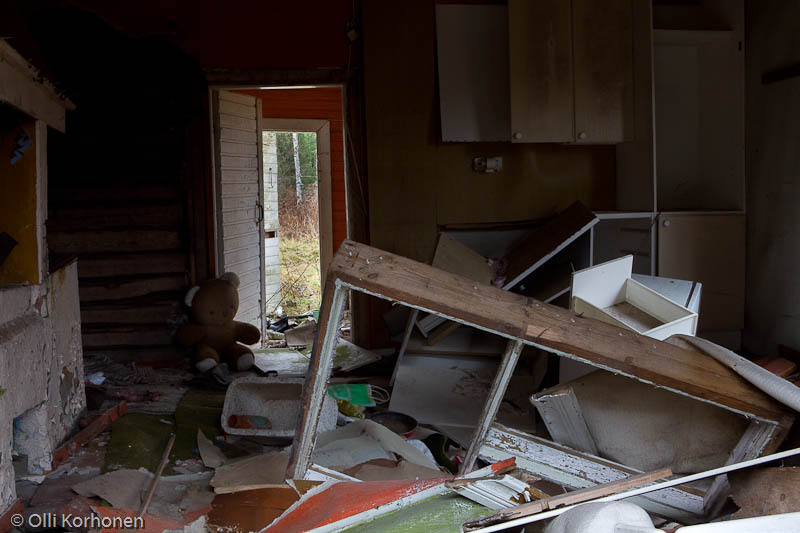 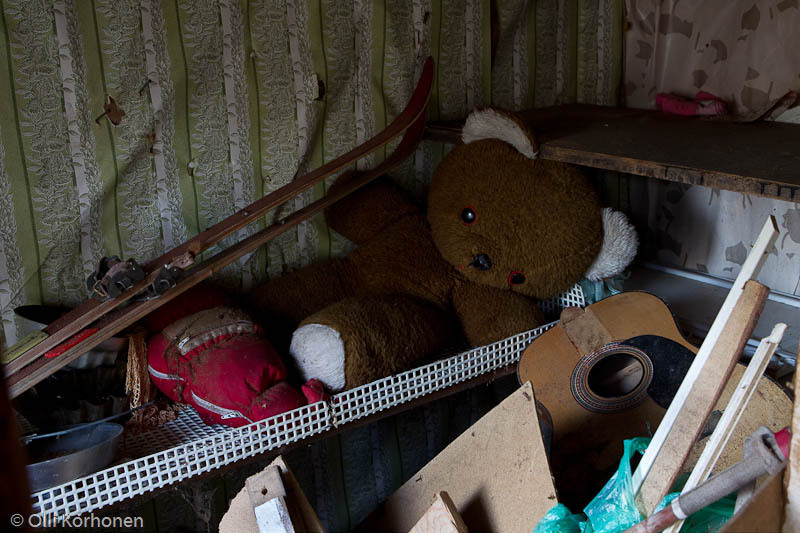 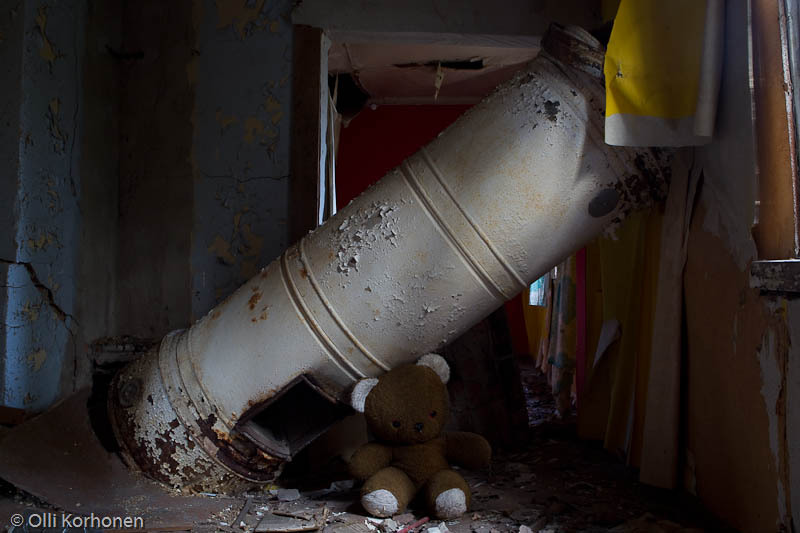 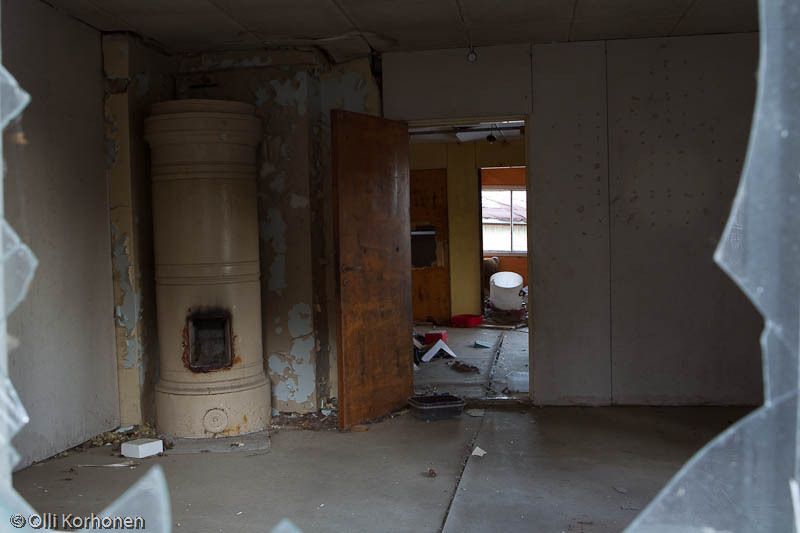 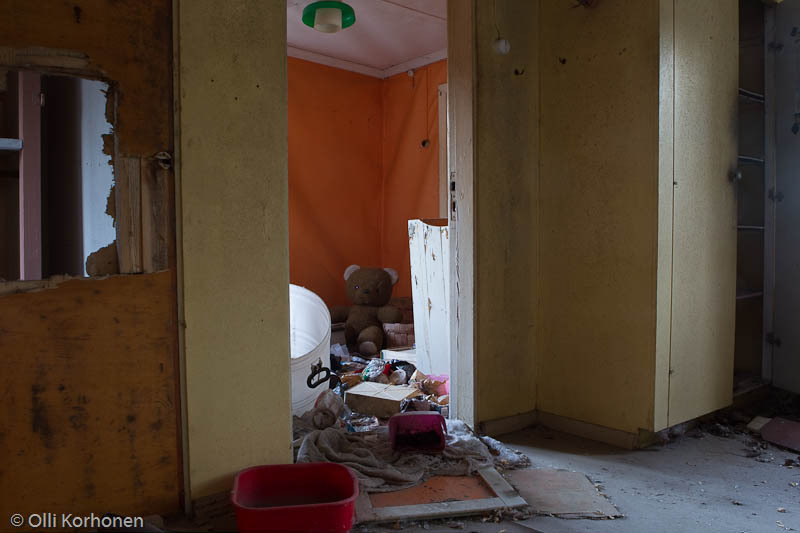 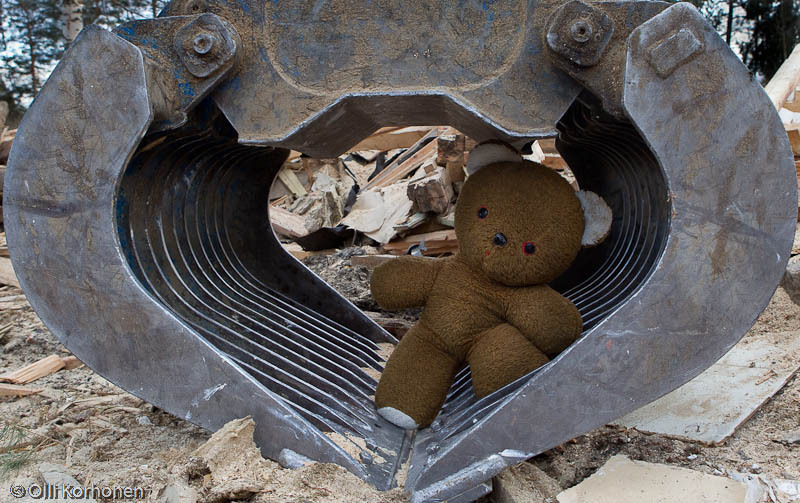 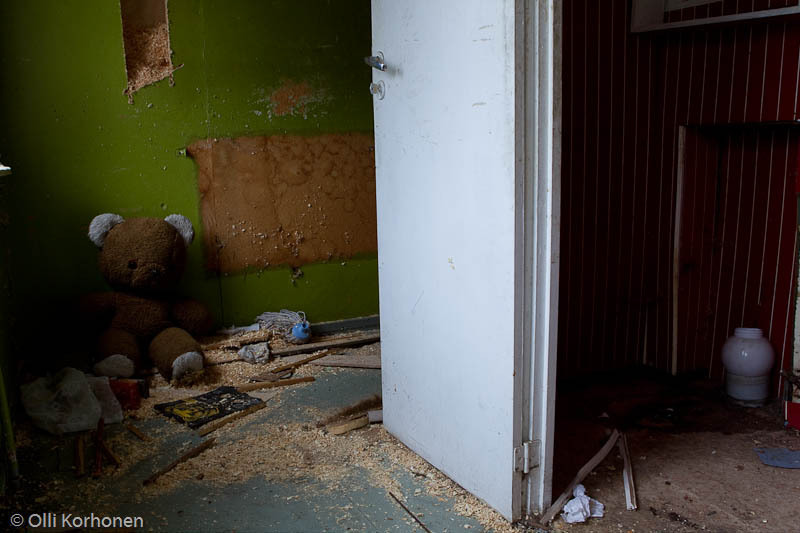 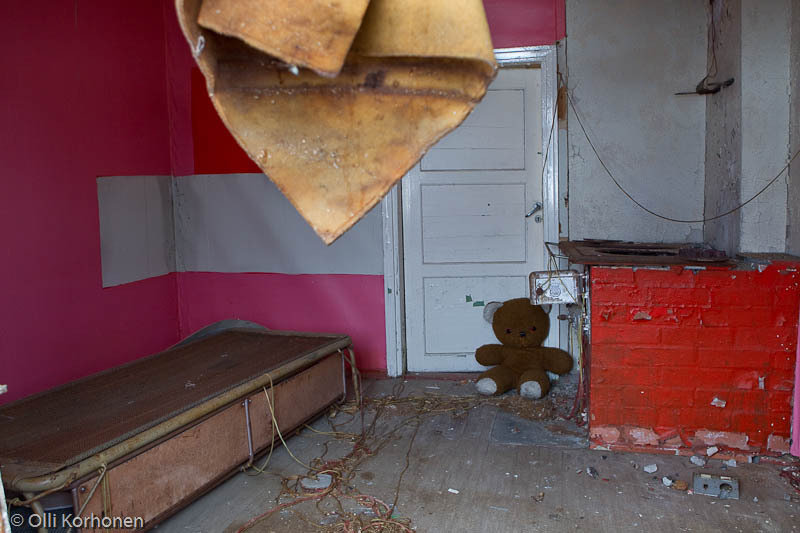 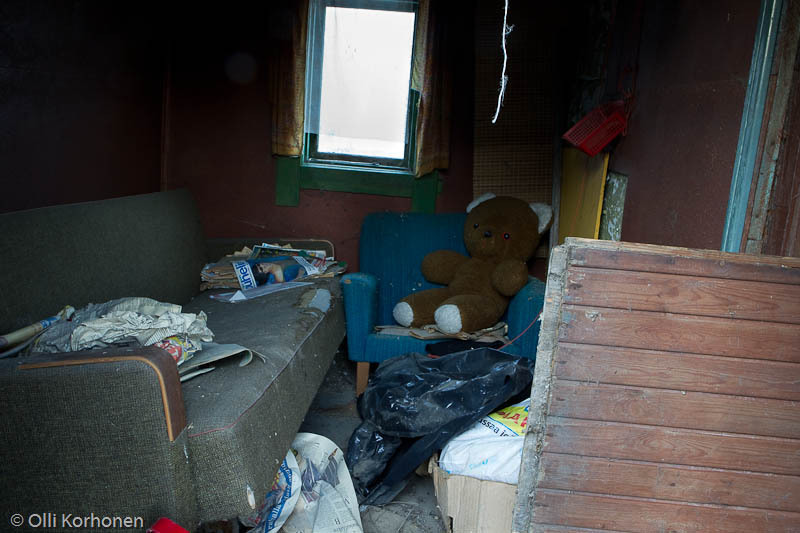 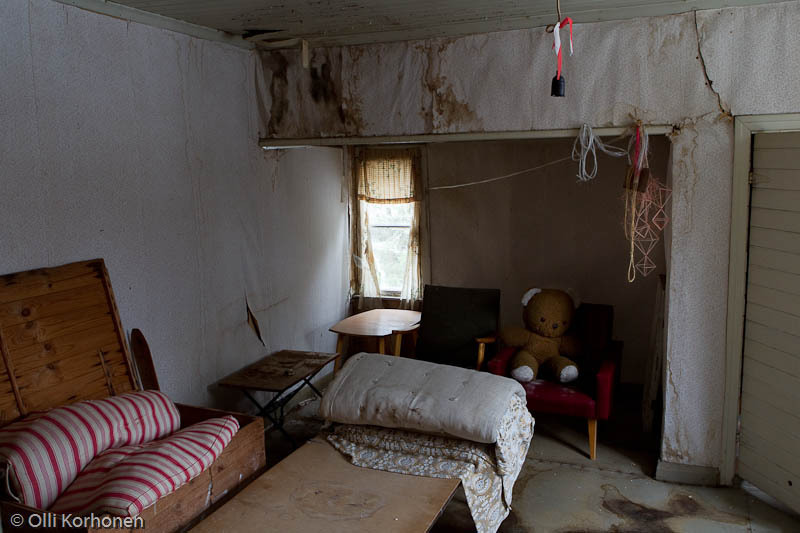 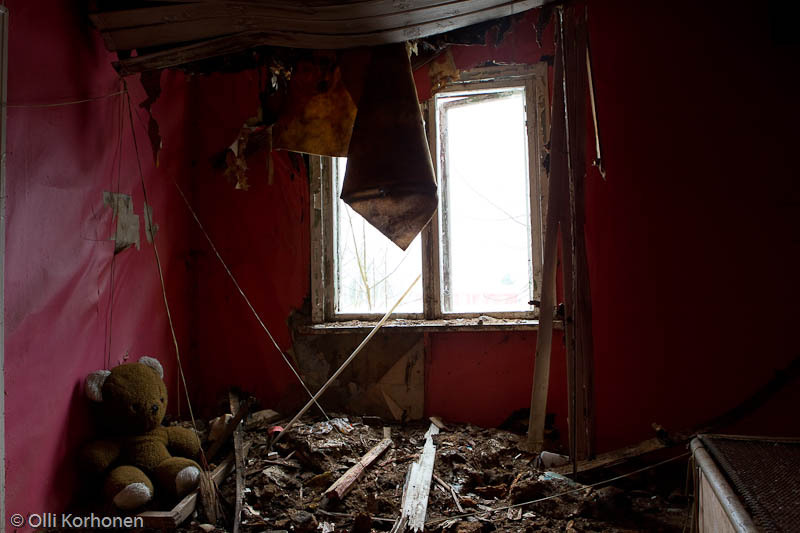 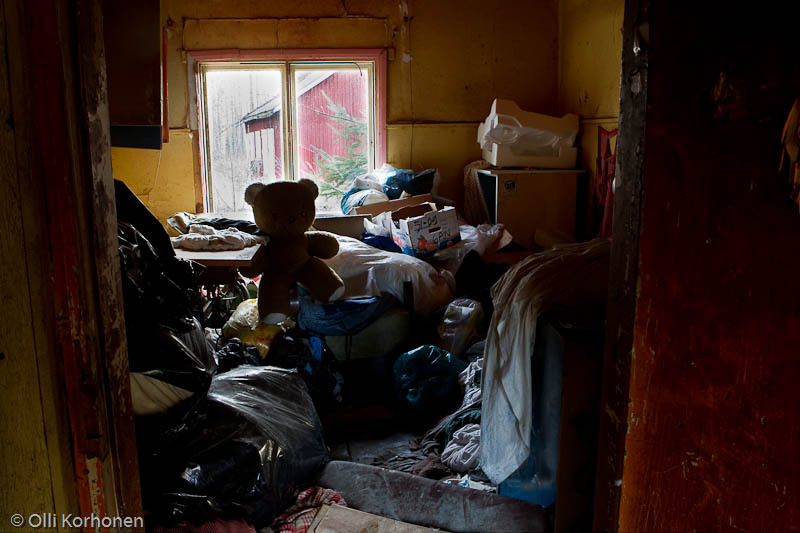 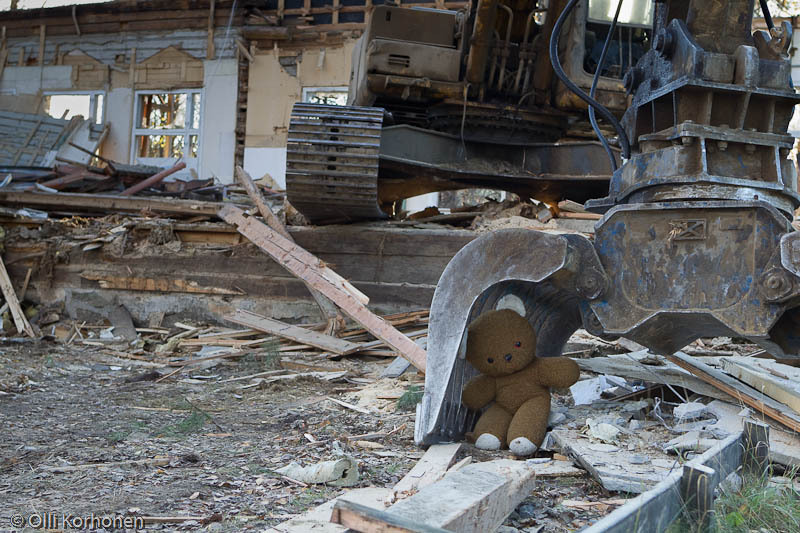 The Abandoned Teddy Bear in a House Under demolition Order. 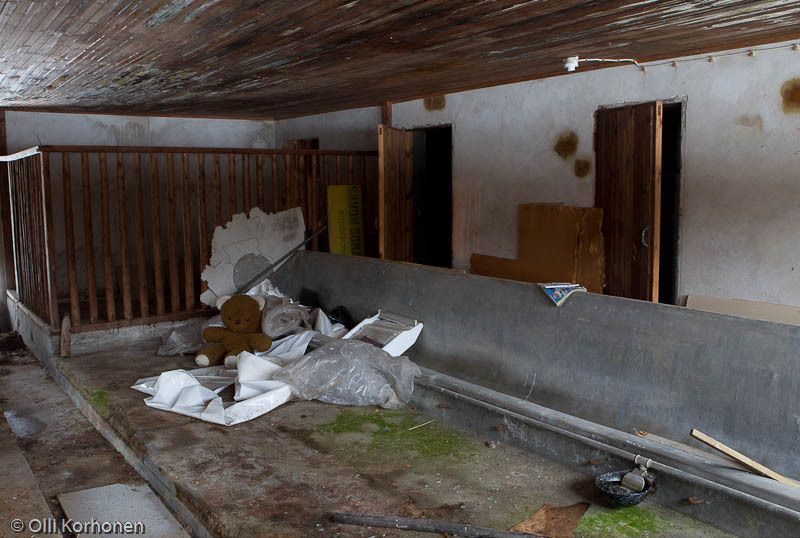 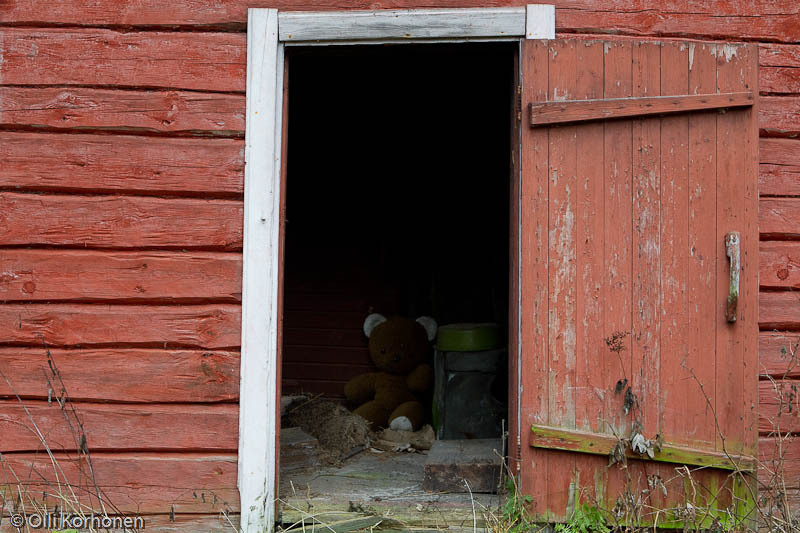 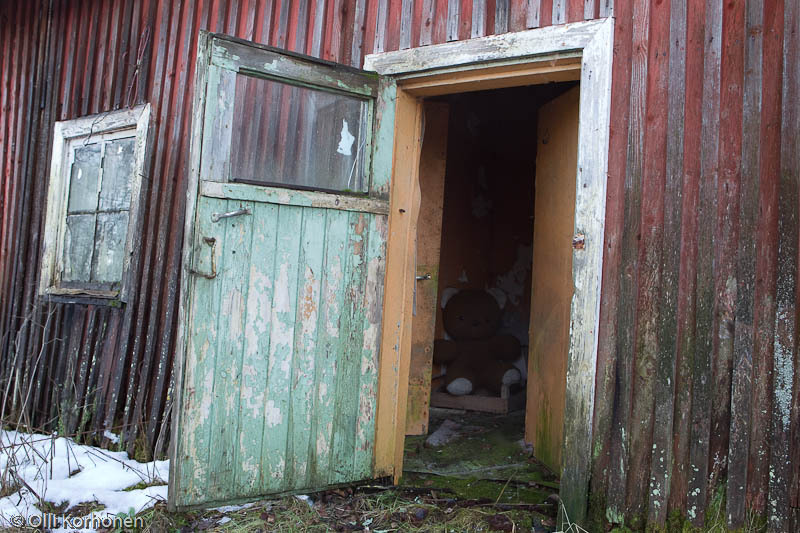 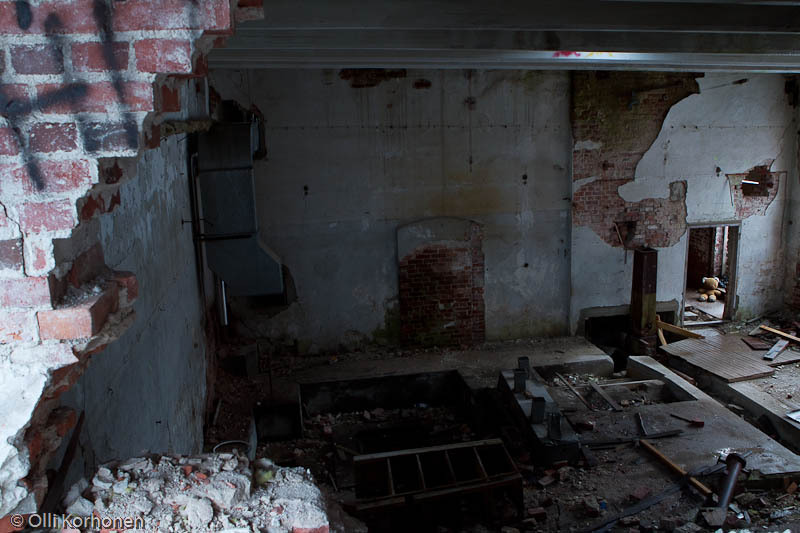 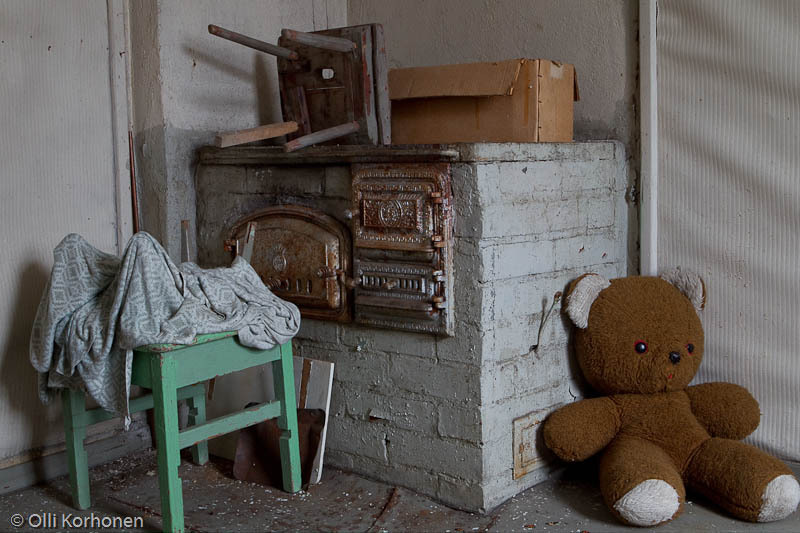 The Abandoned Teddy Bear in a Deserted Cowhouse. 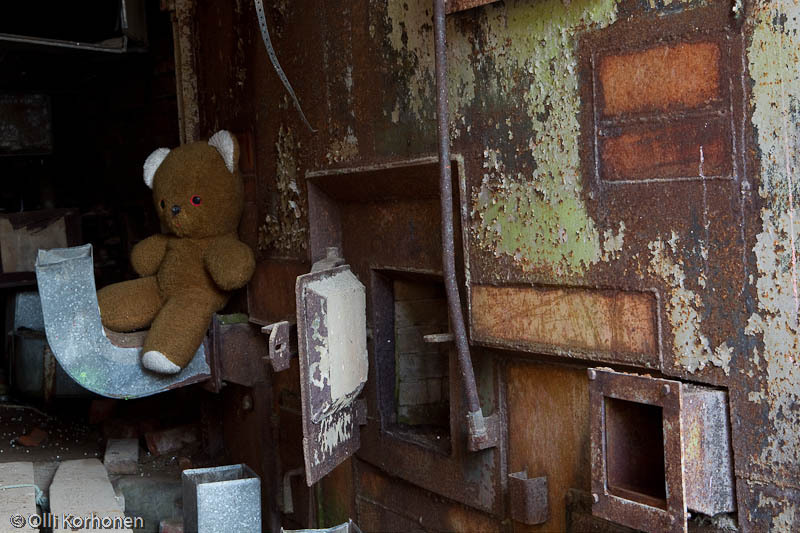 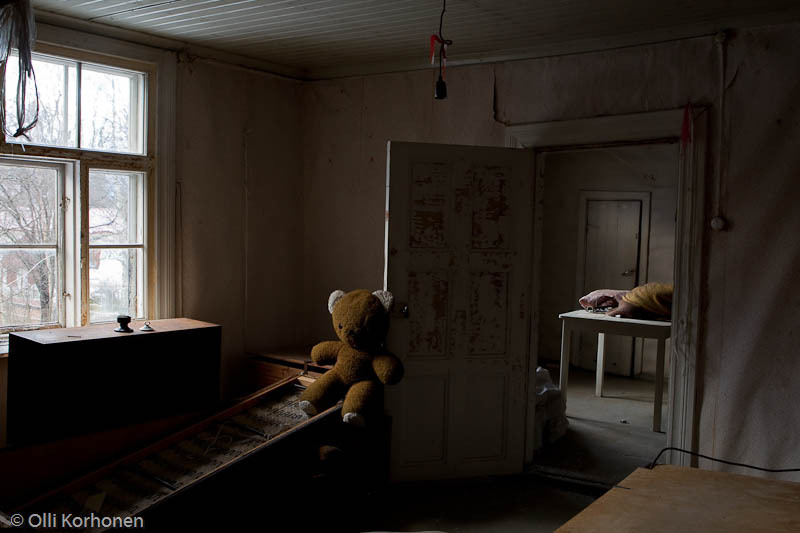 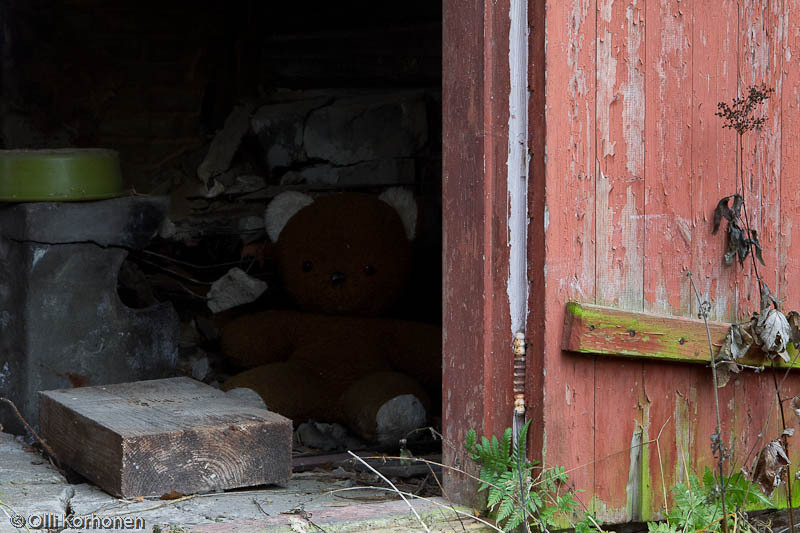 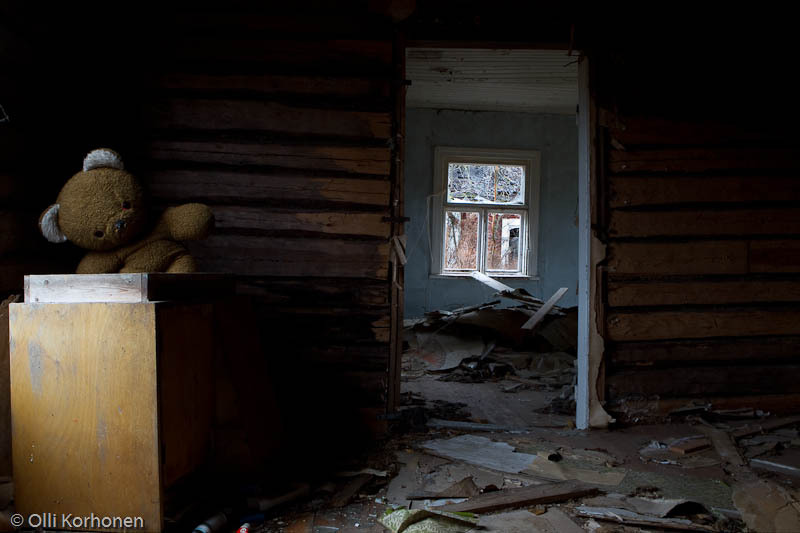 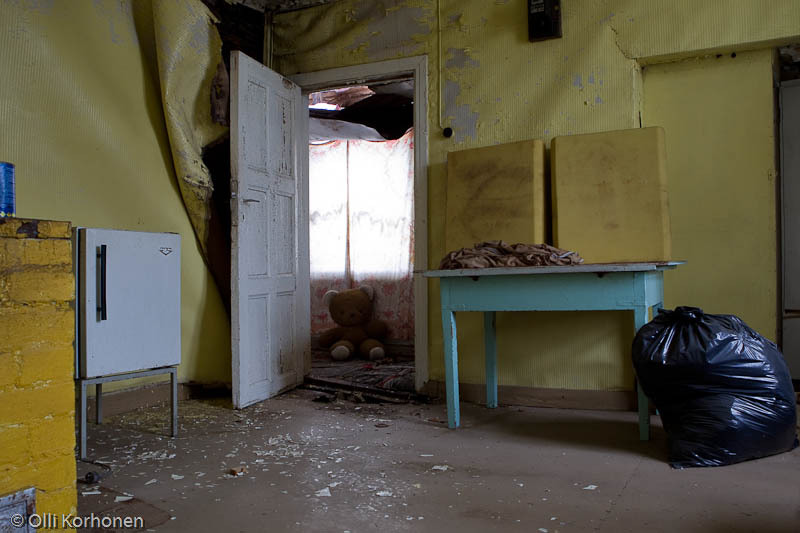 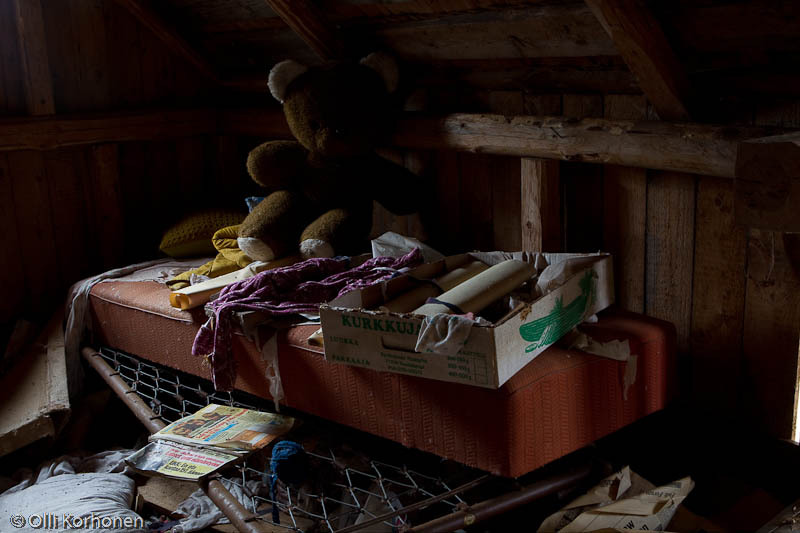 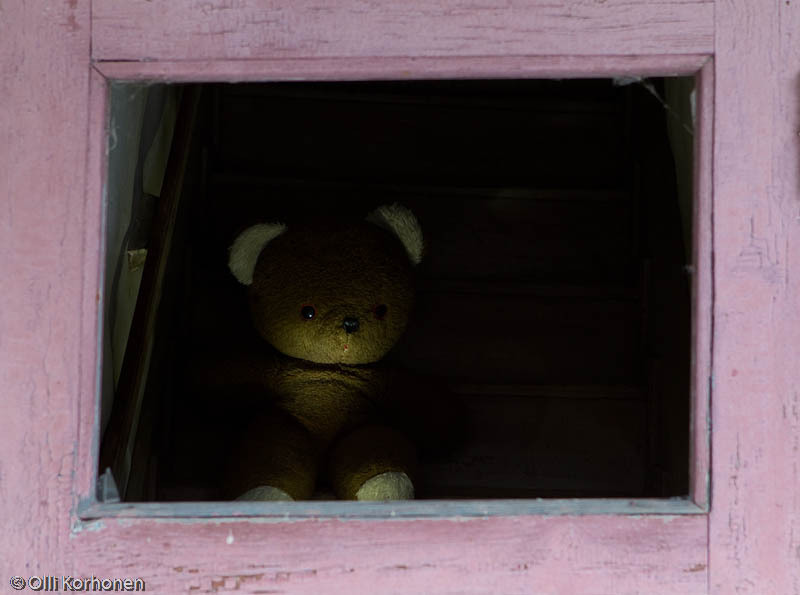 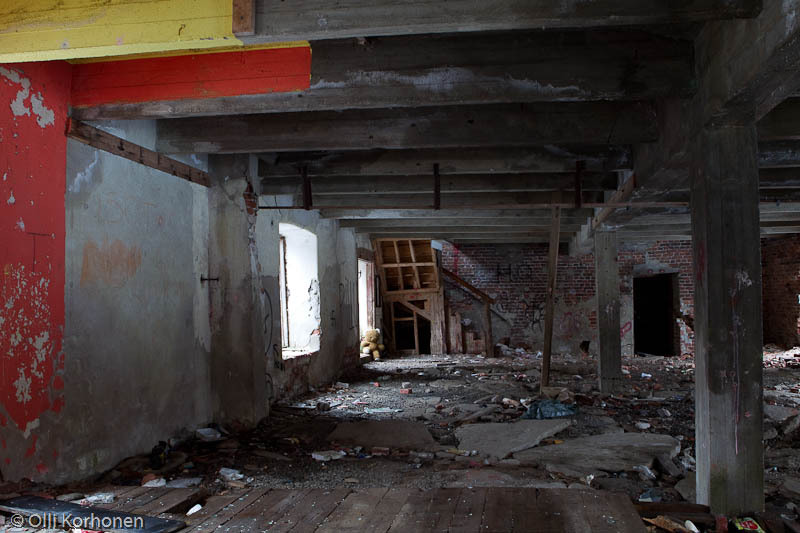 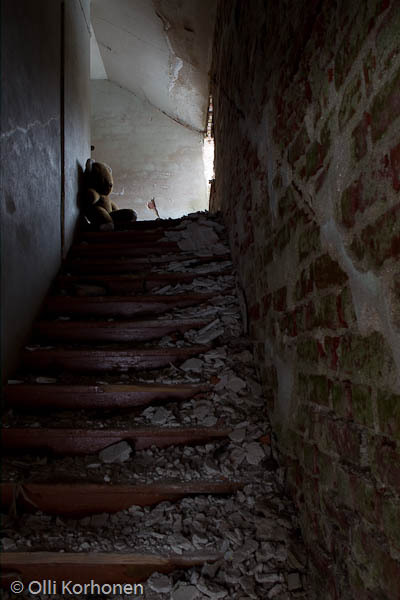 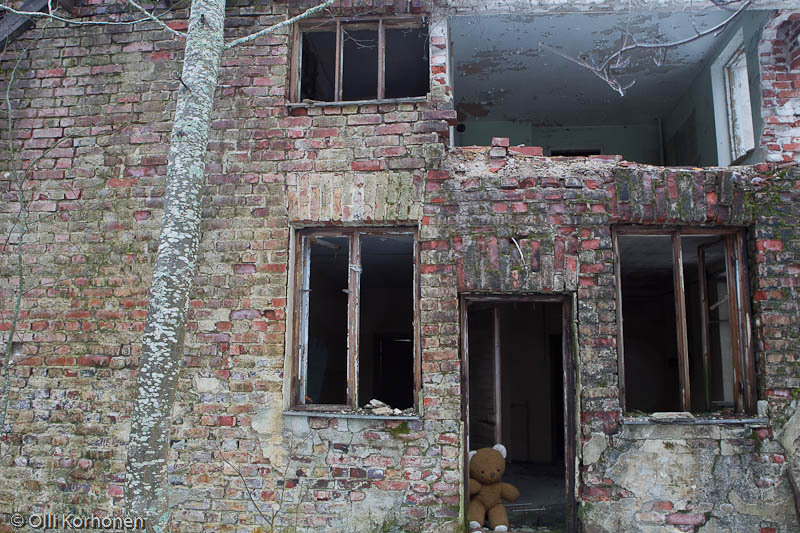 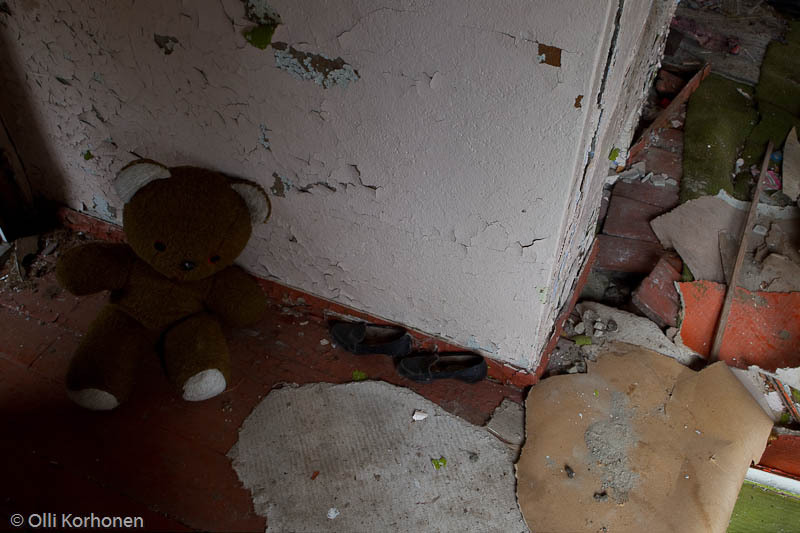 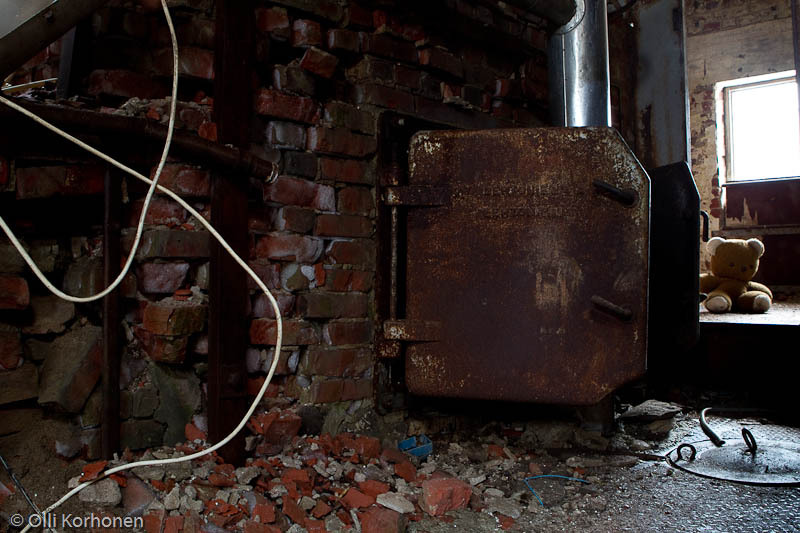 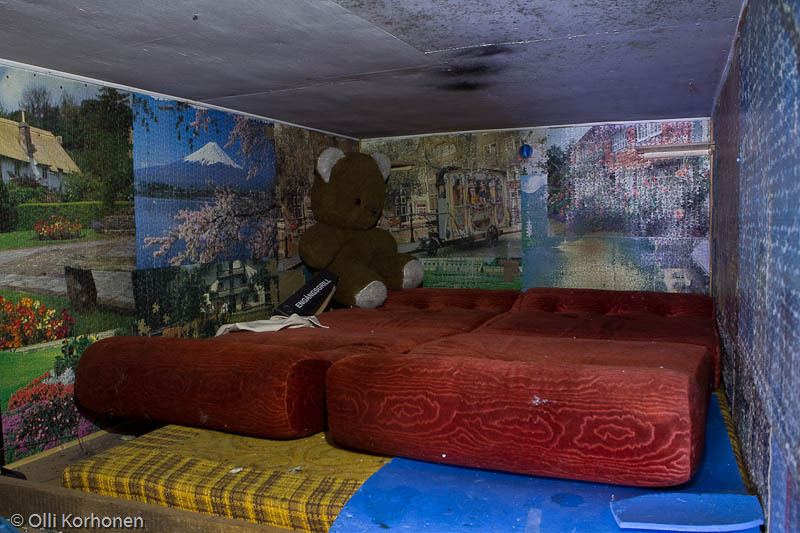 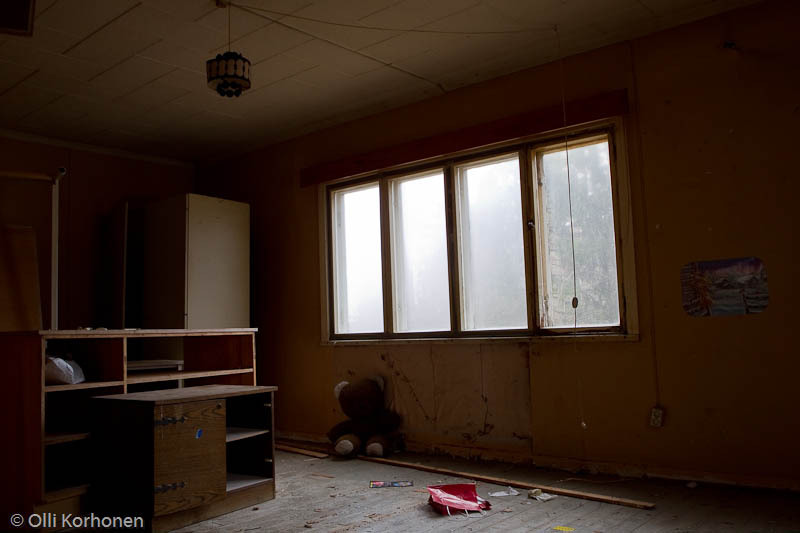 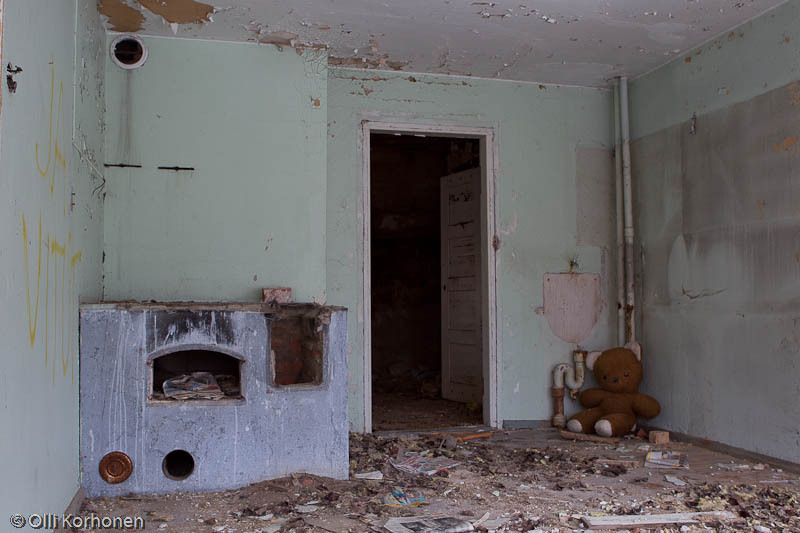 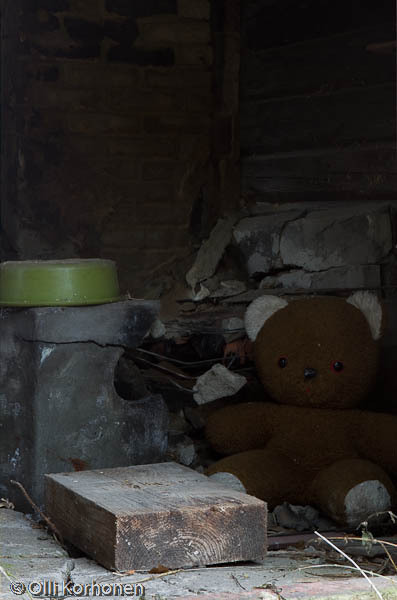 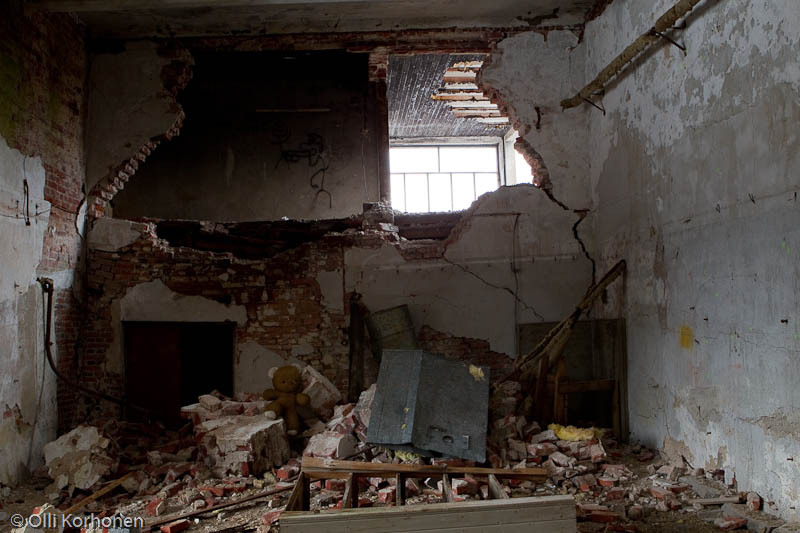 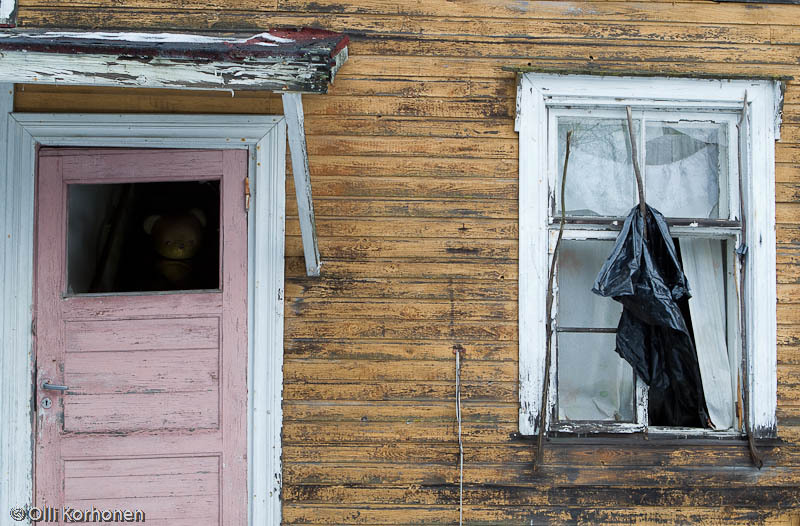 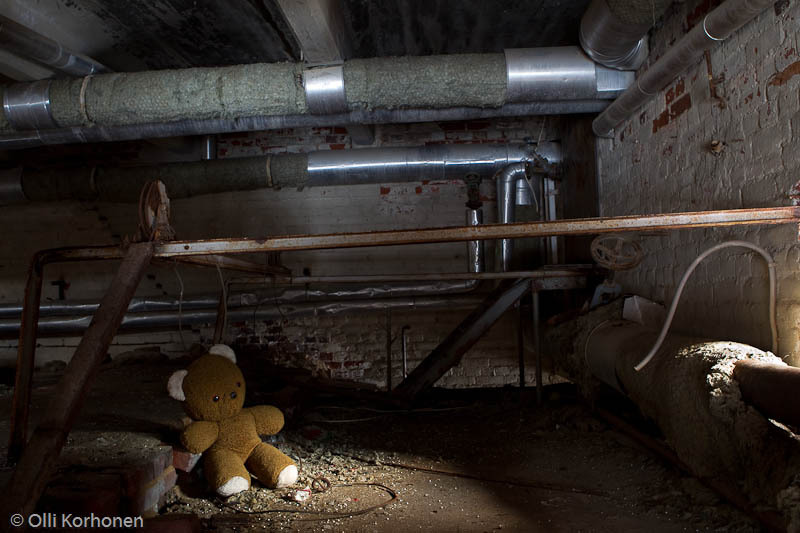 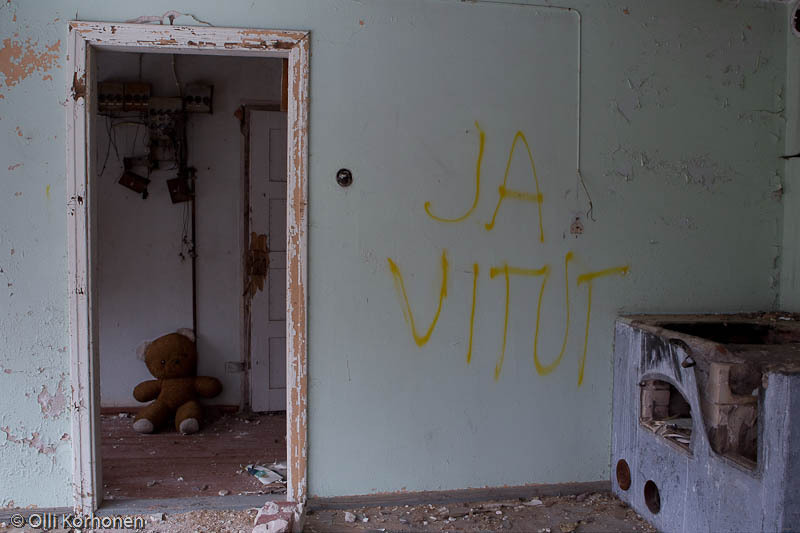 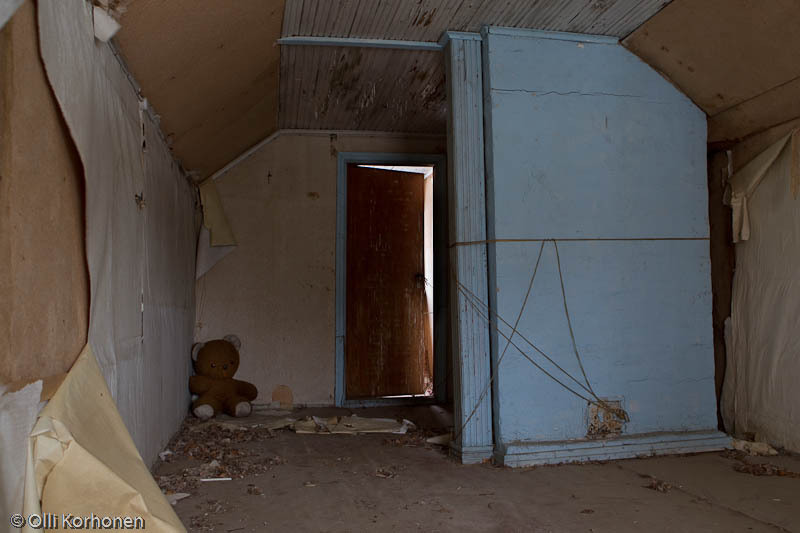 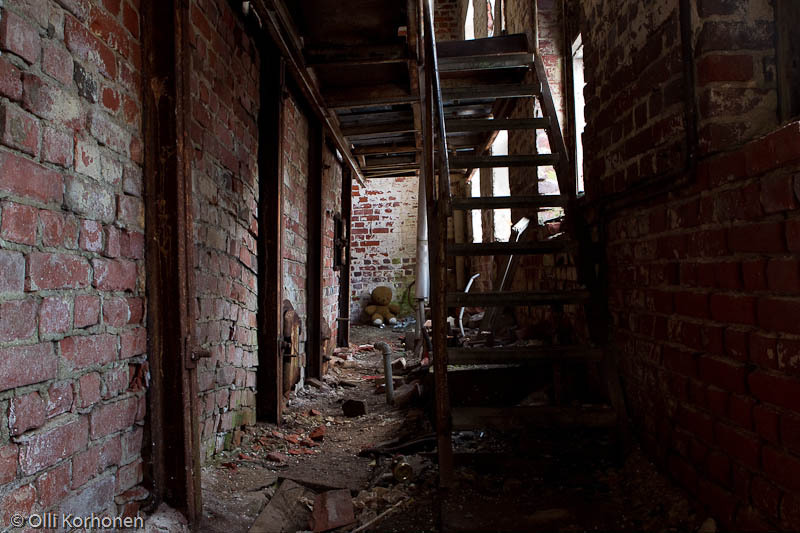 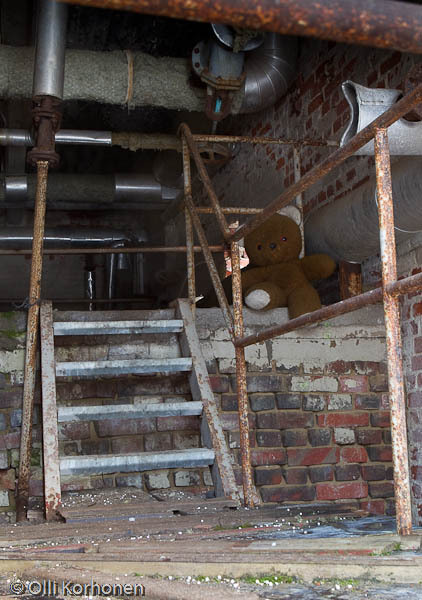 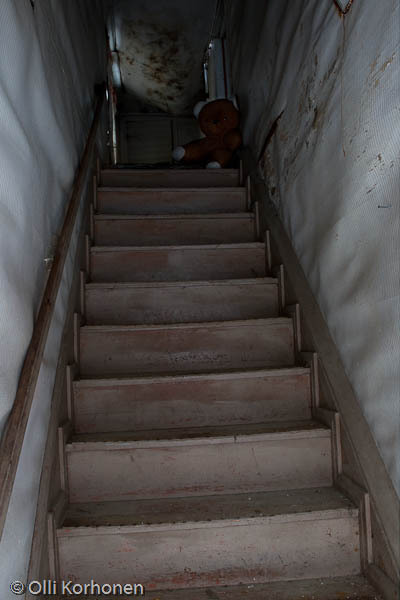 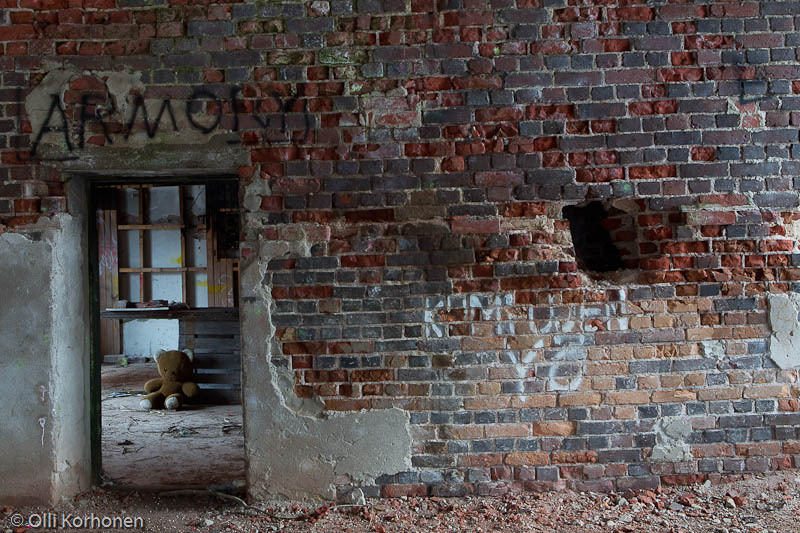 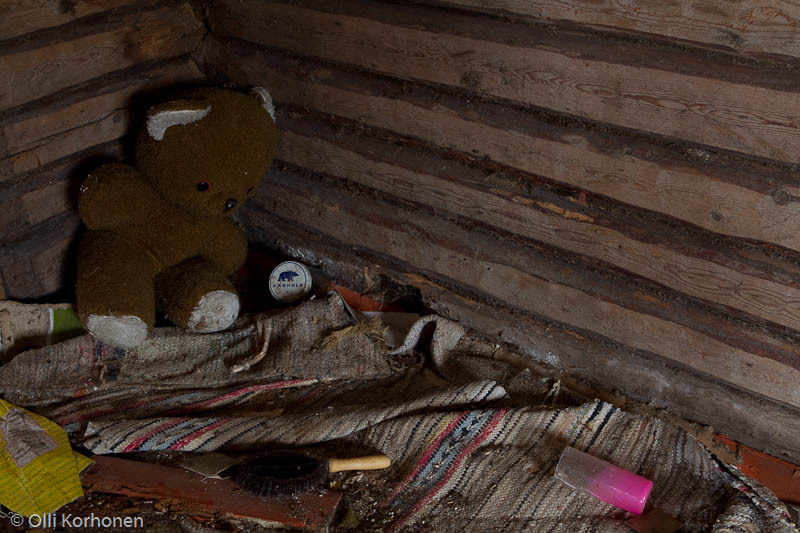 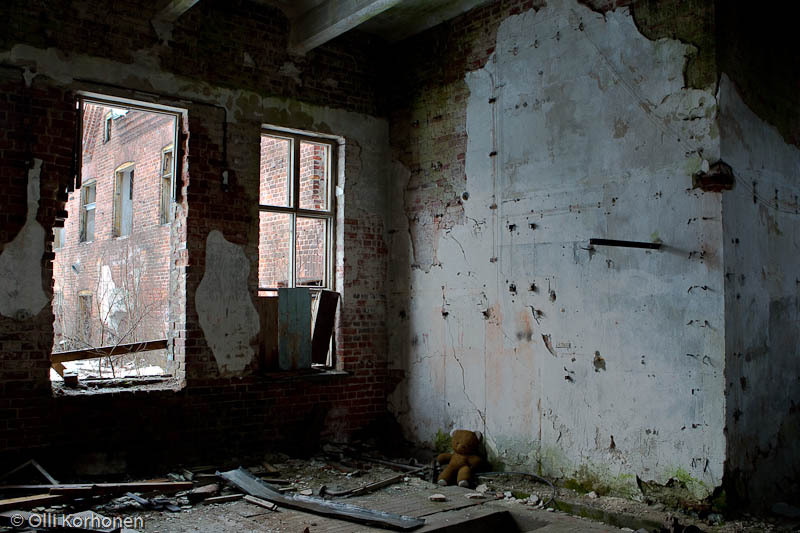 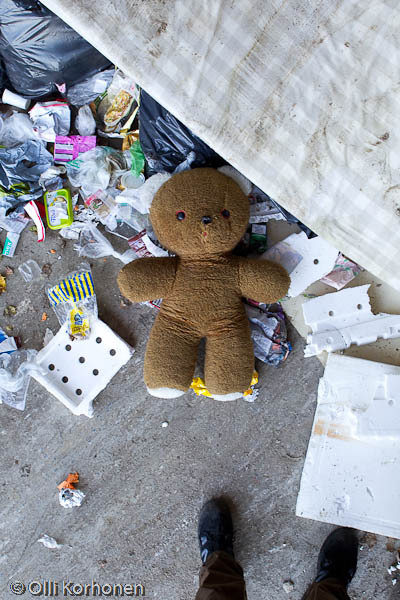 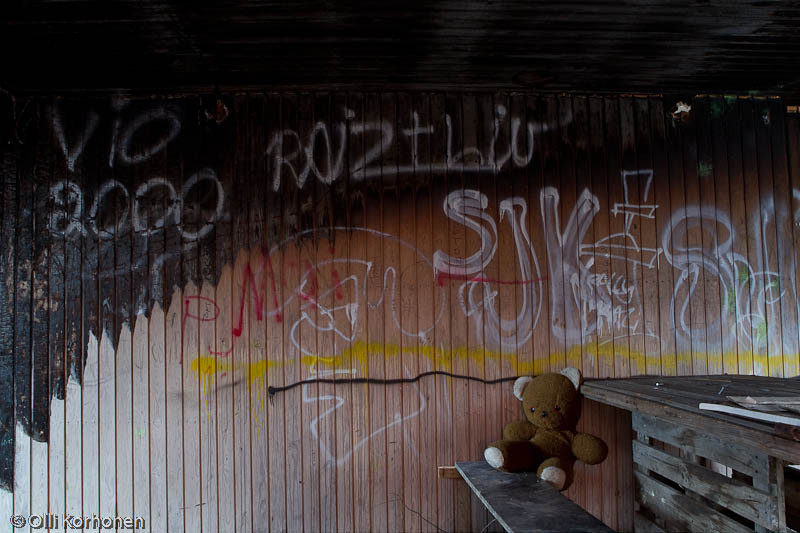 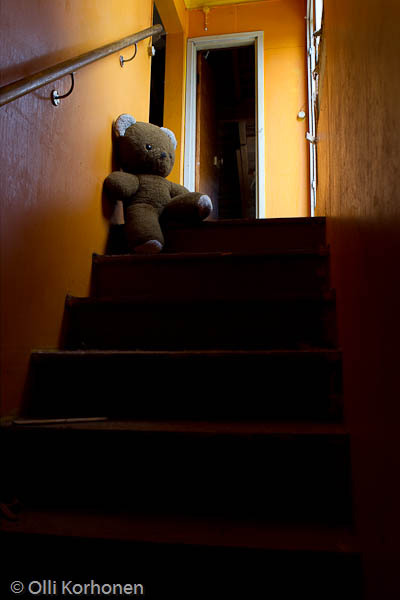 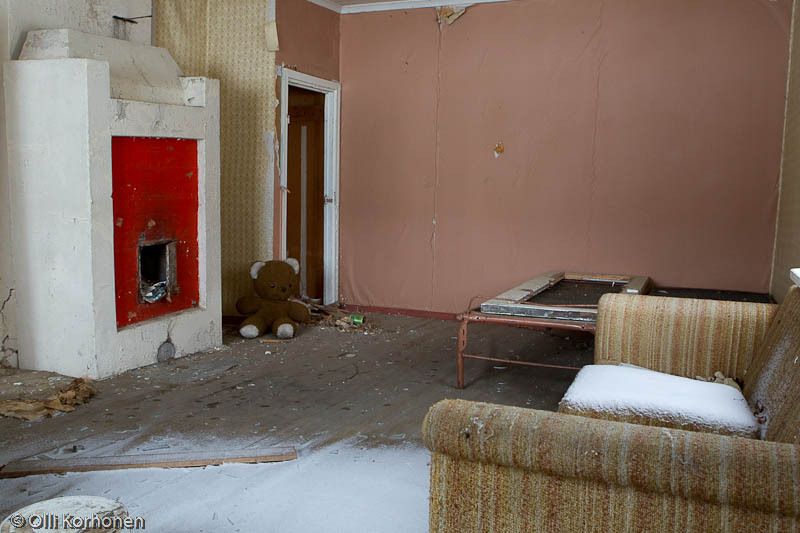 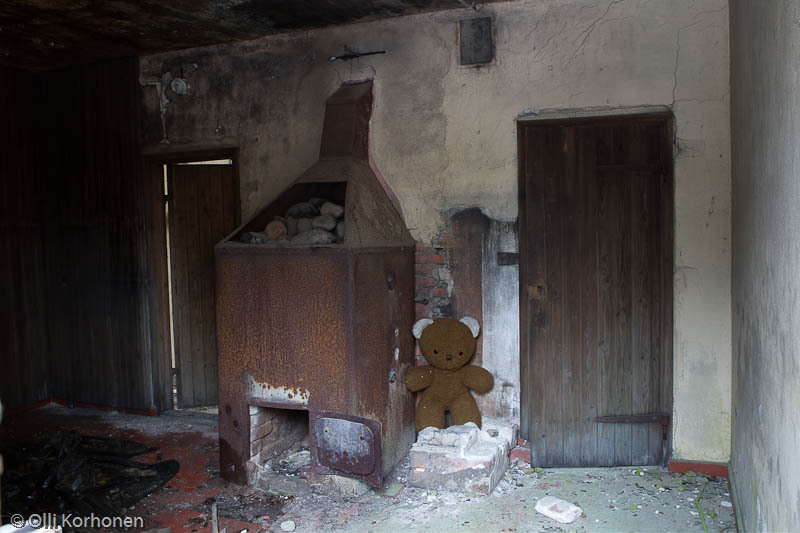 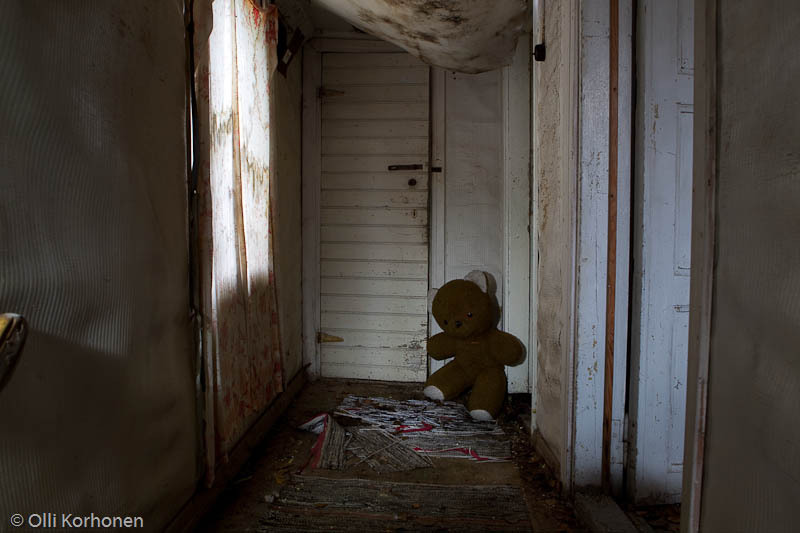 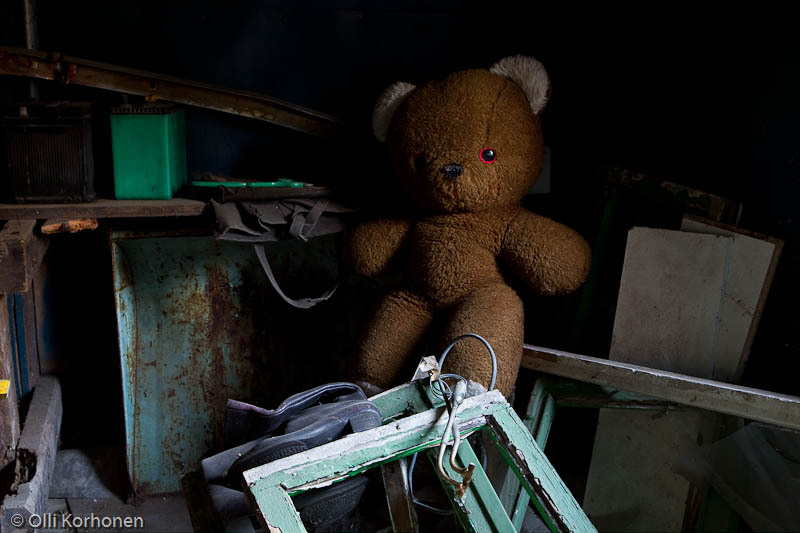 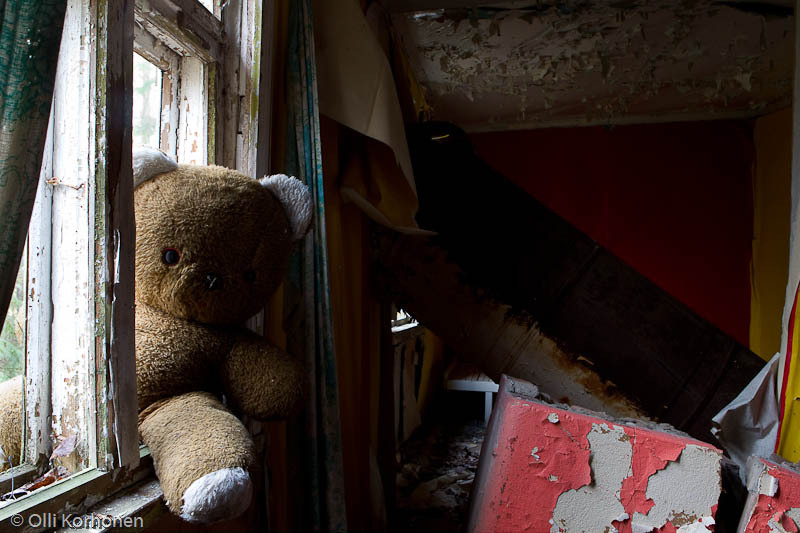 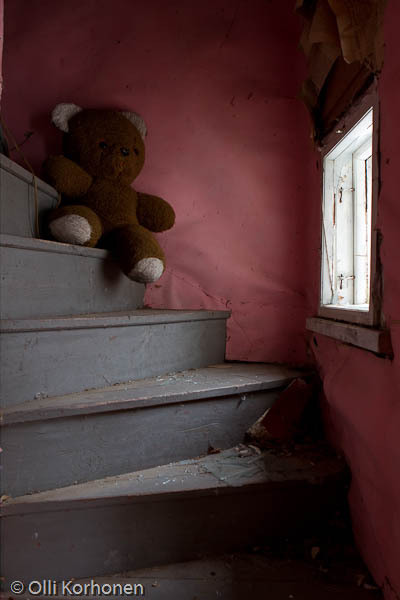 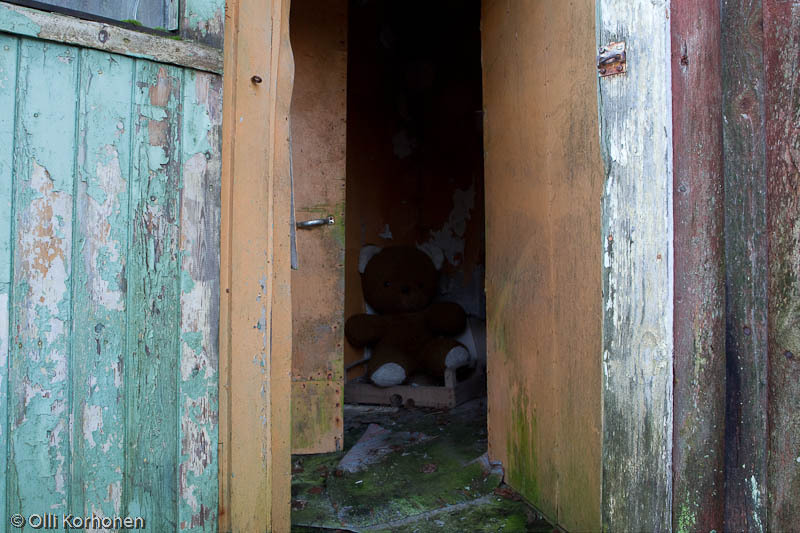 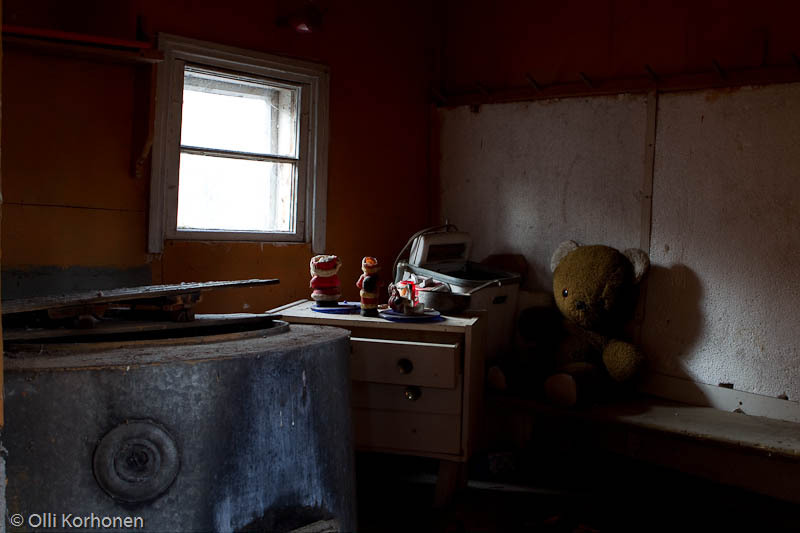 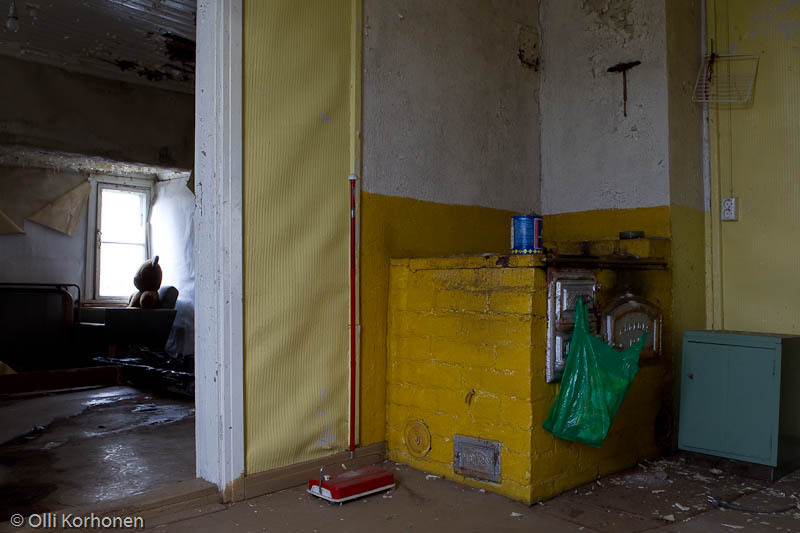 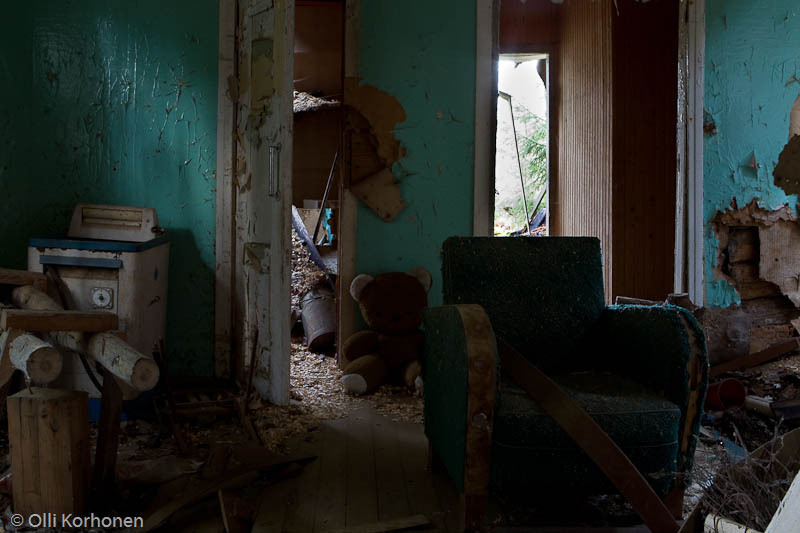 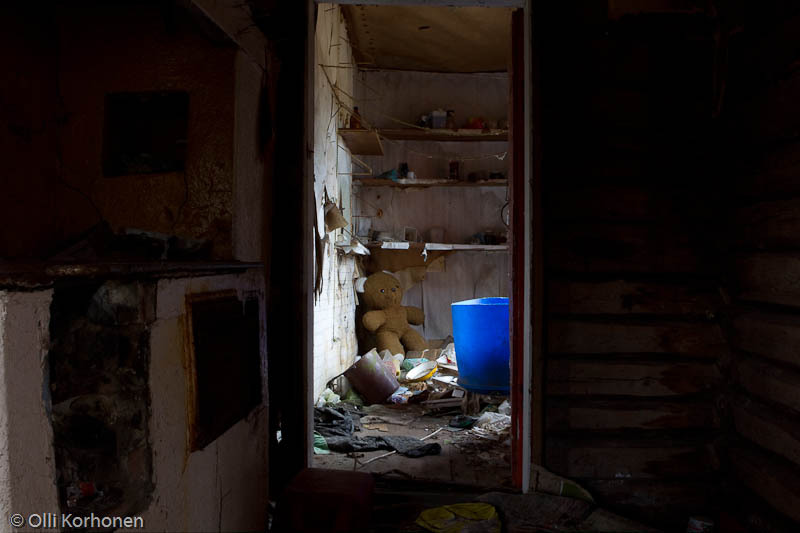 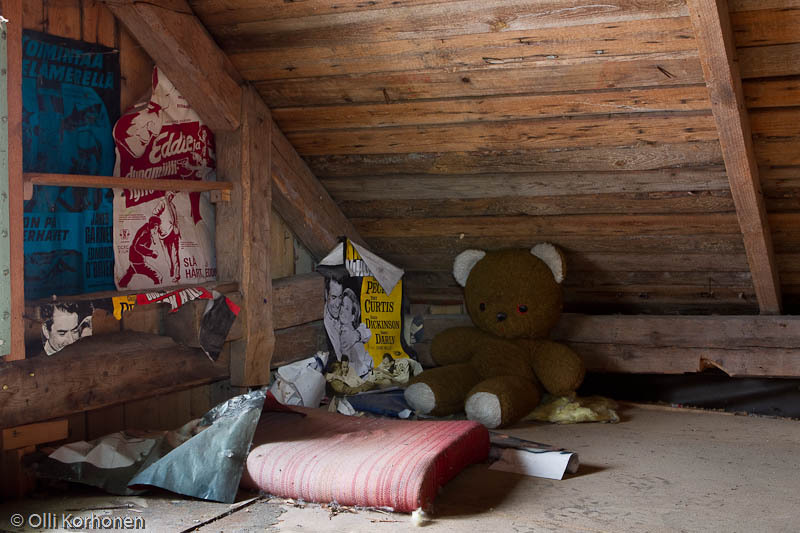 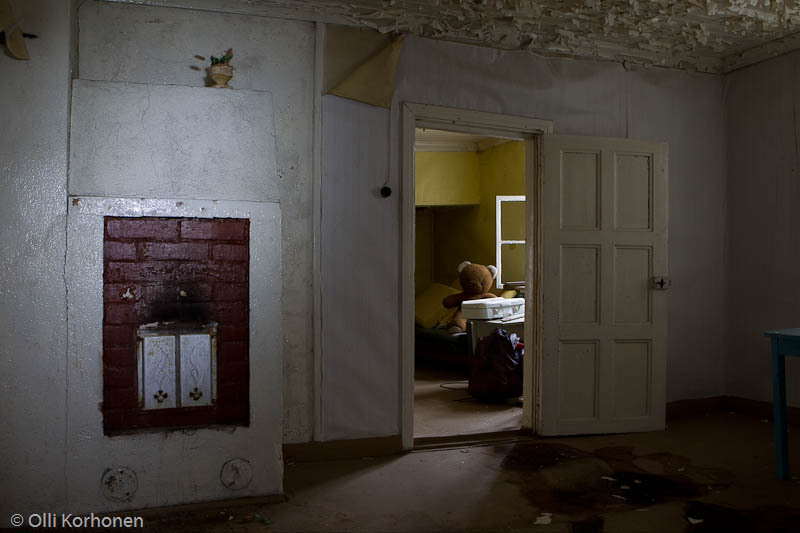 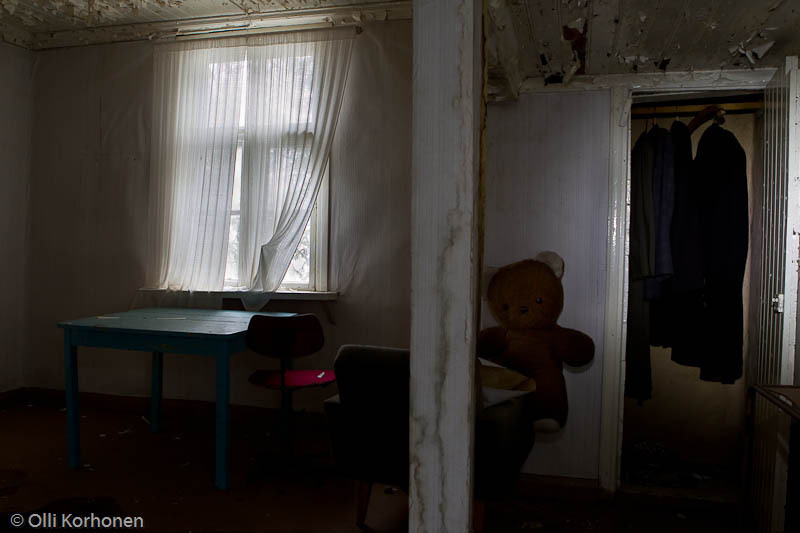 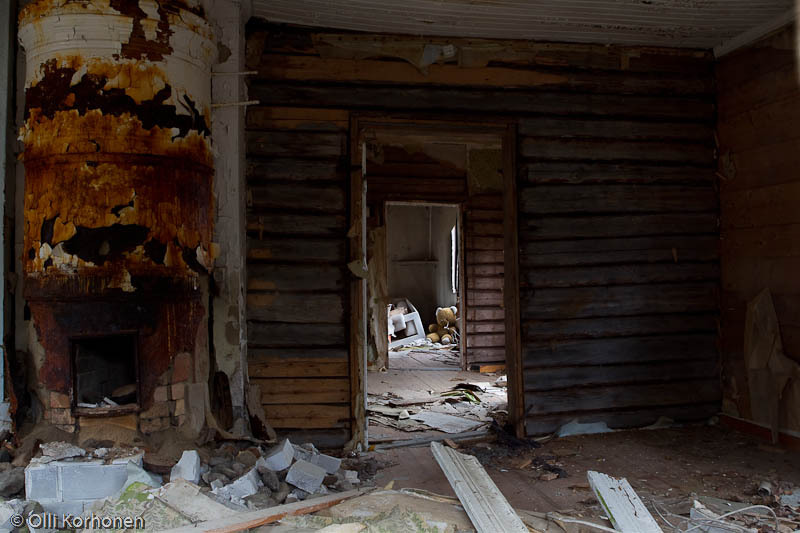 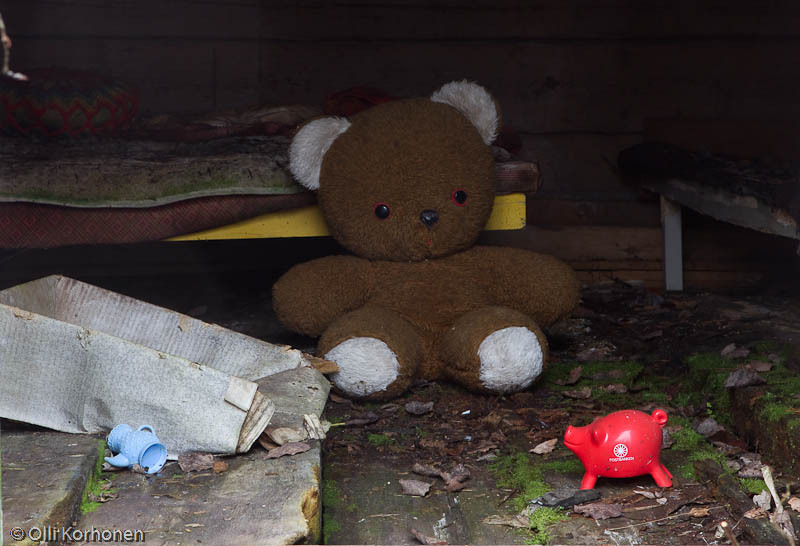 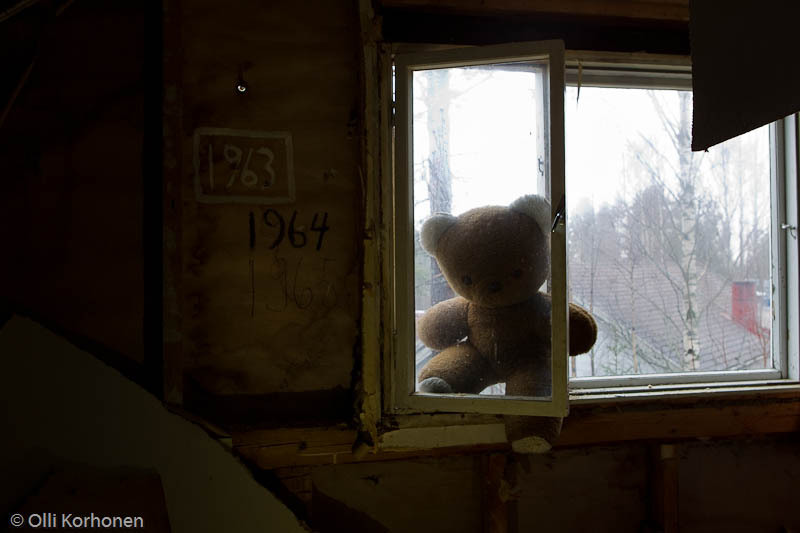 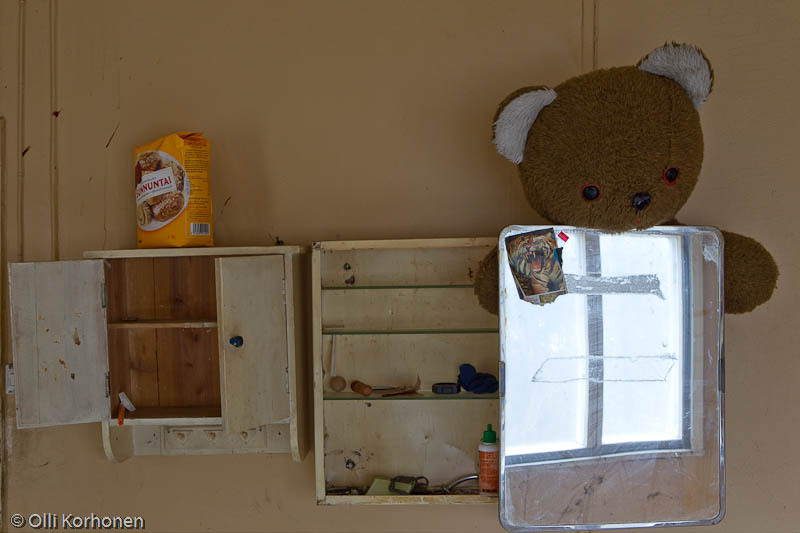 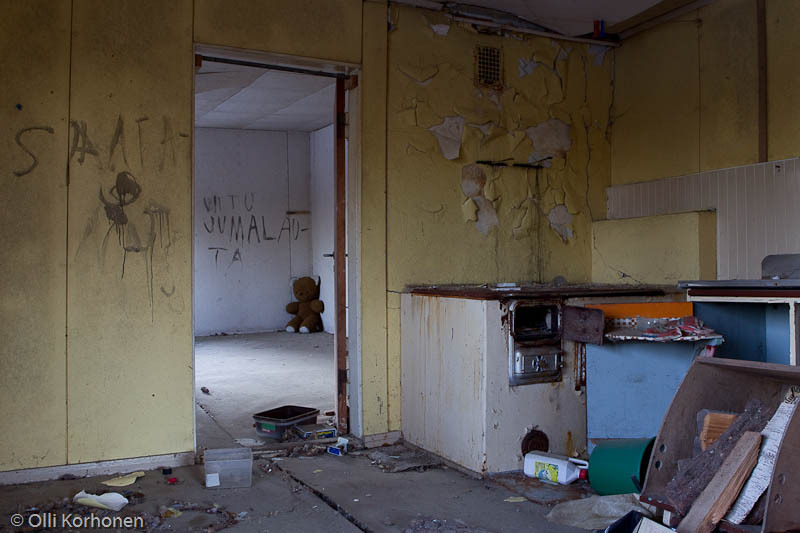 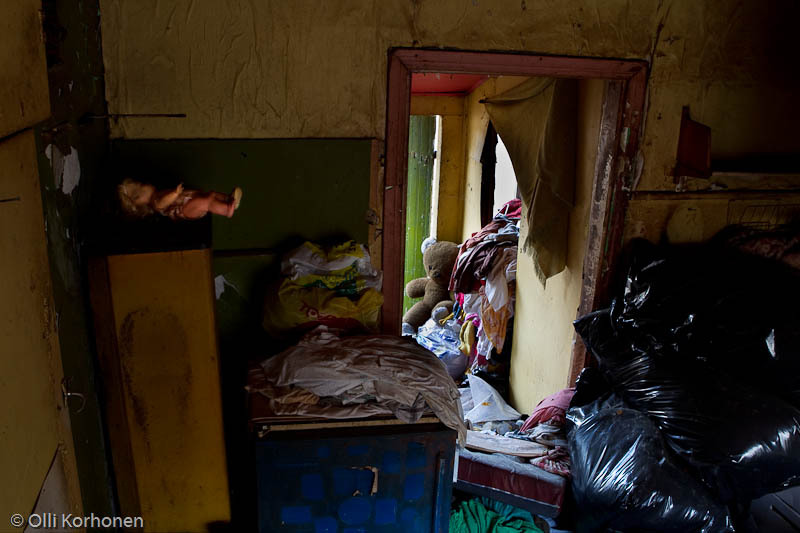 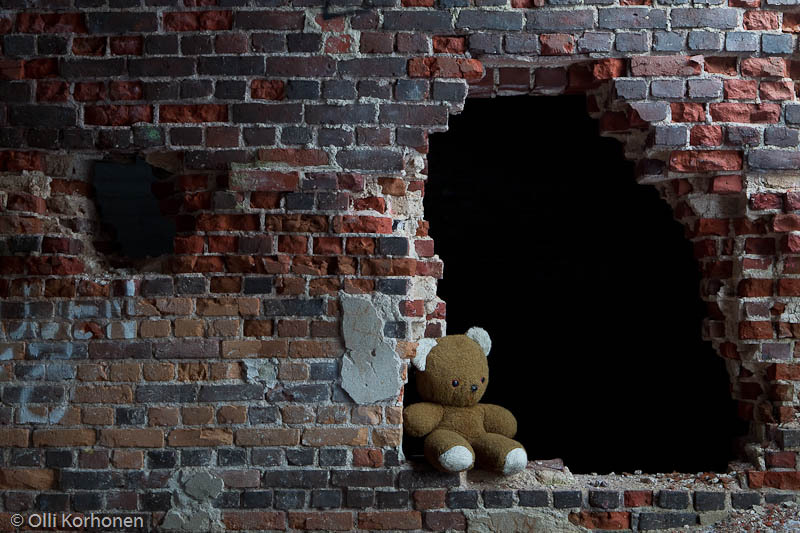 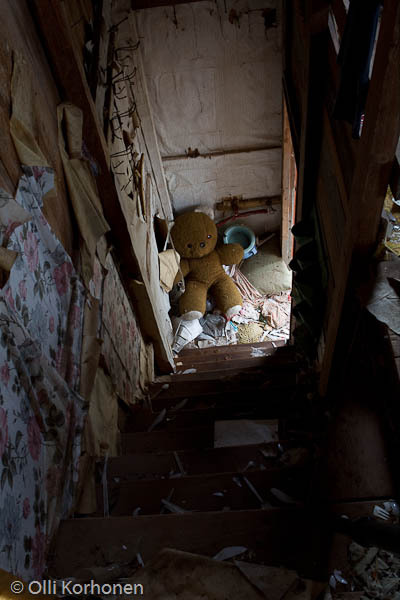 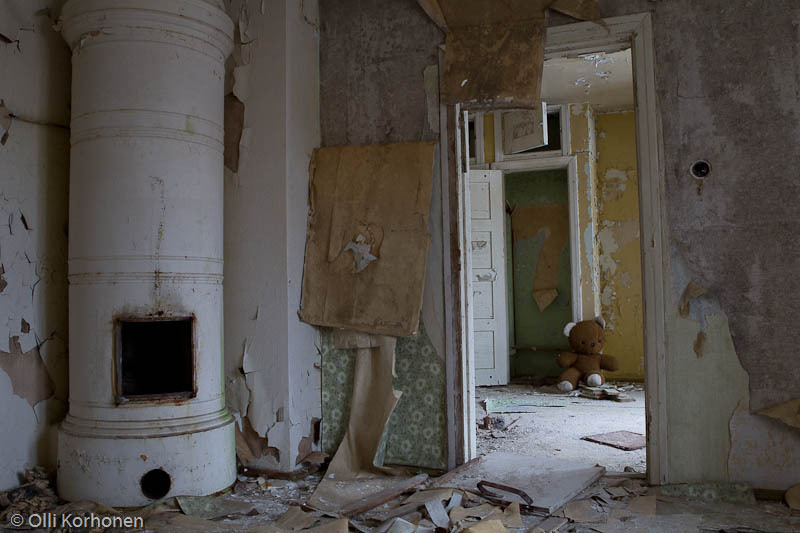 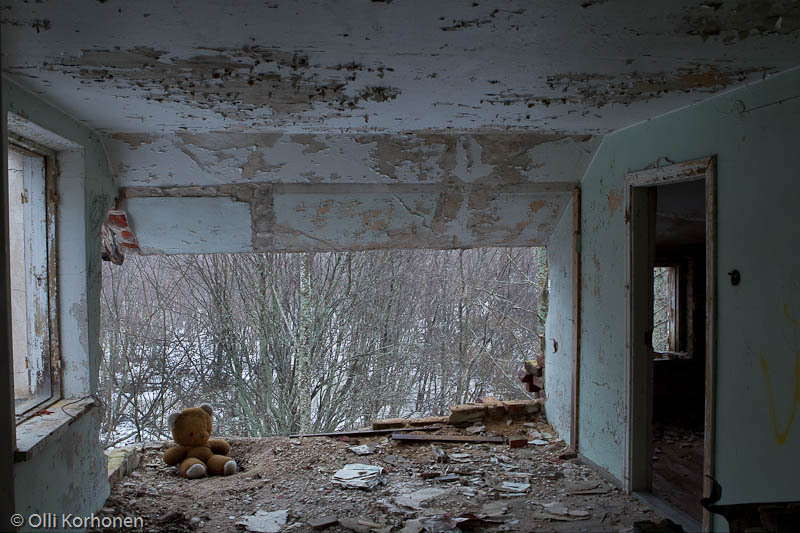 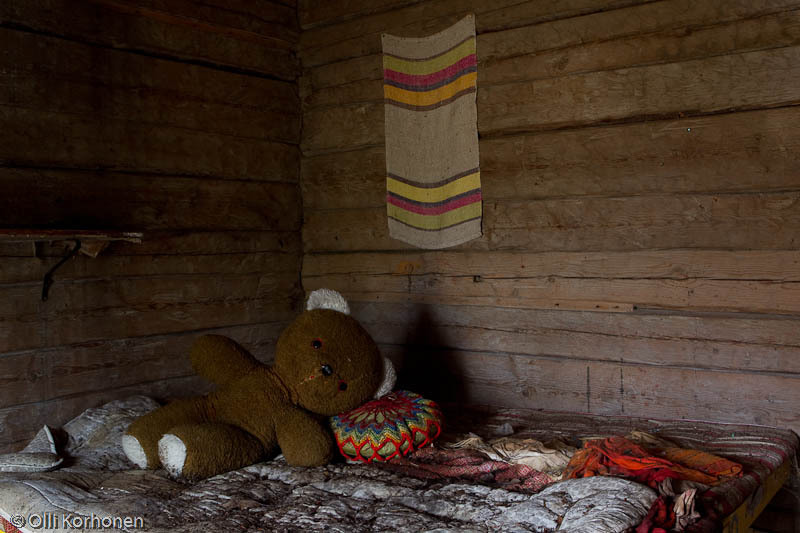 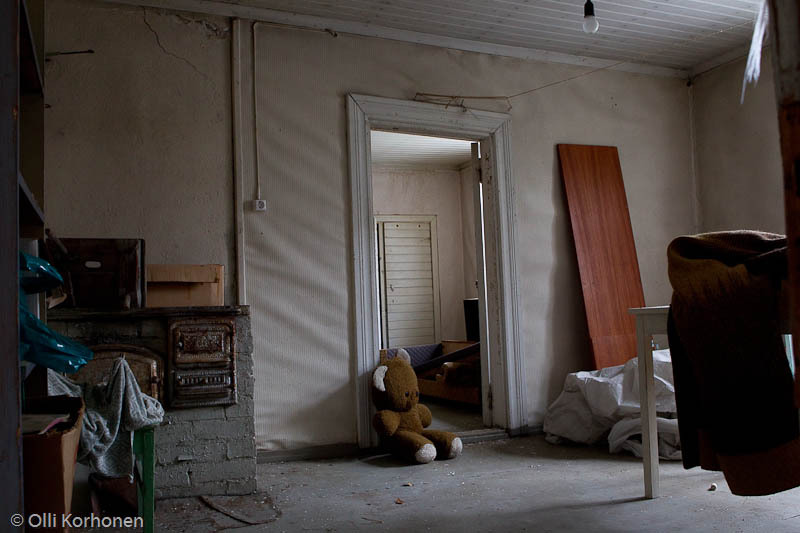 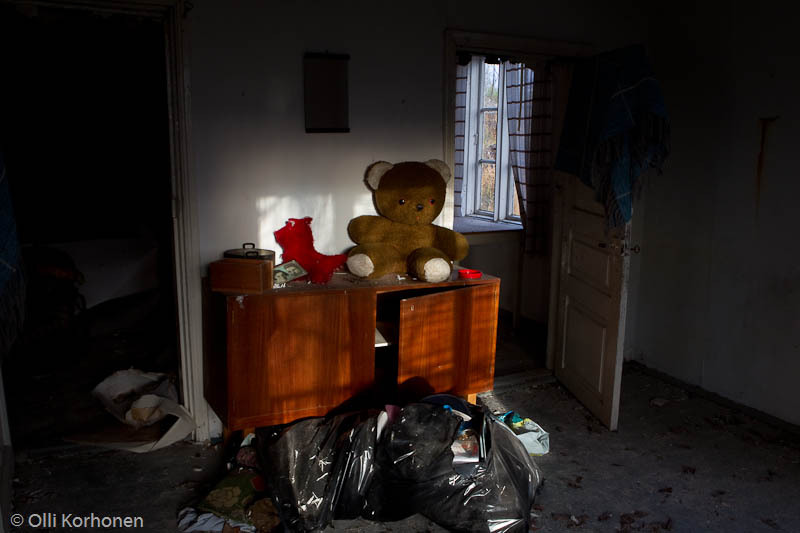 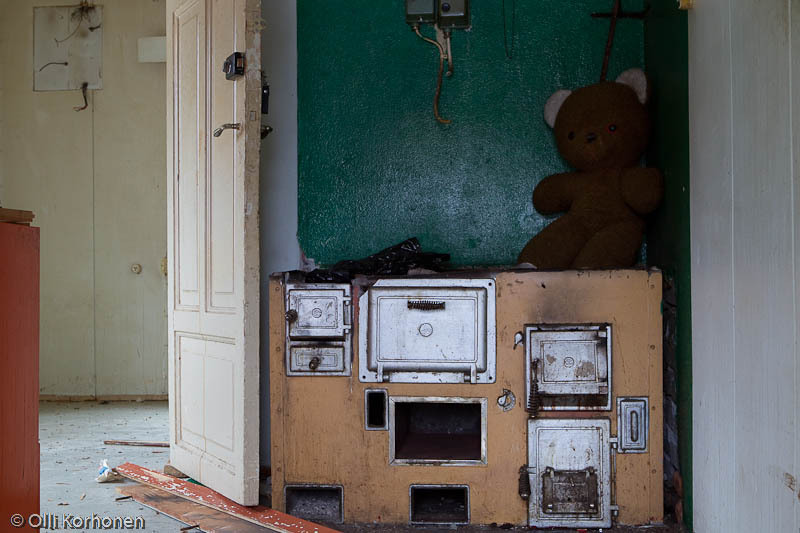 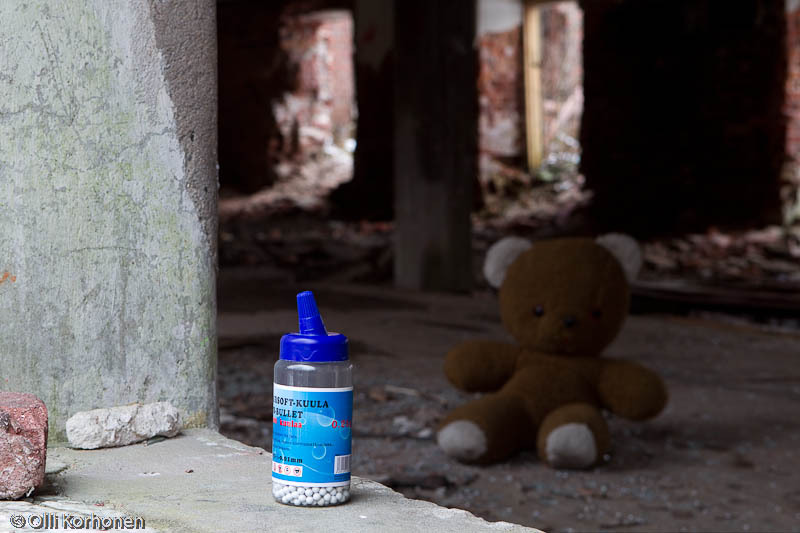 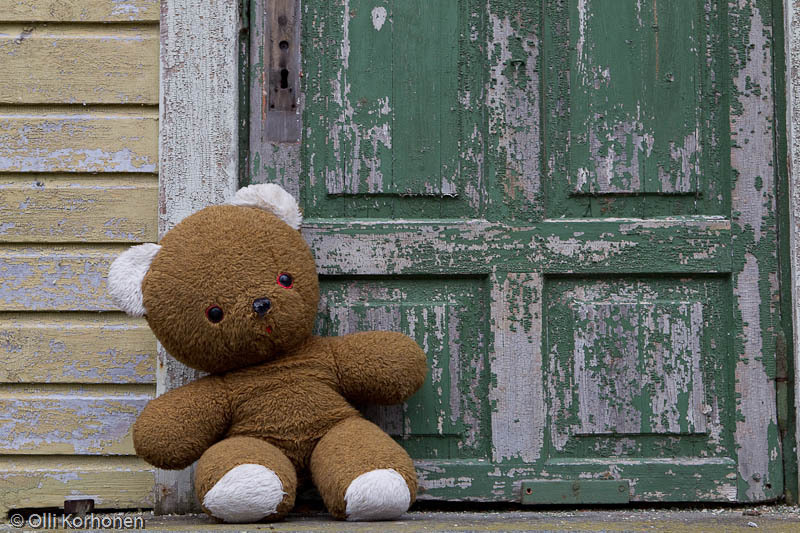 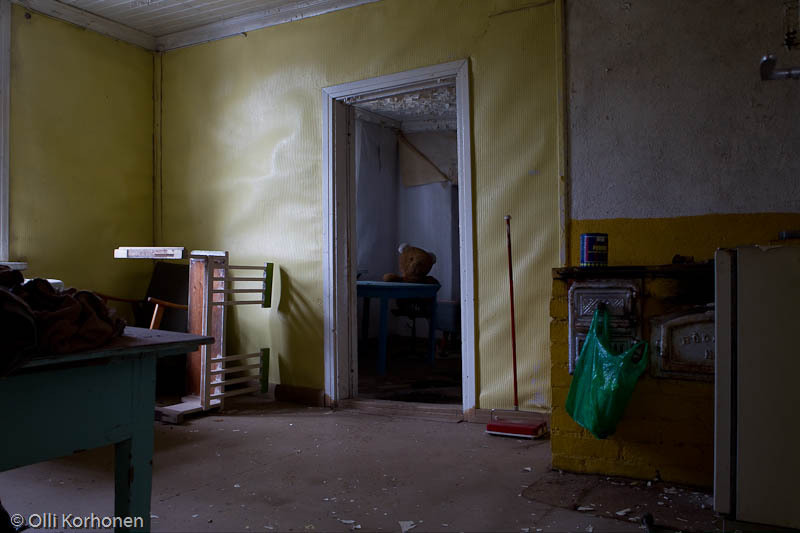 The Abandoned Teddy Bear in a Deserted Two-Storey Brick House. 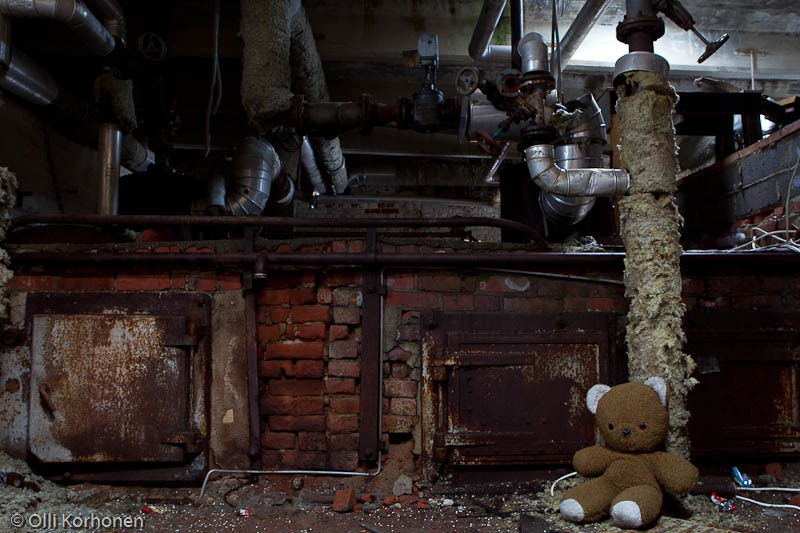 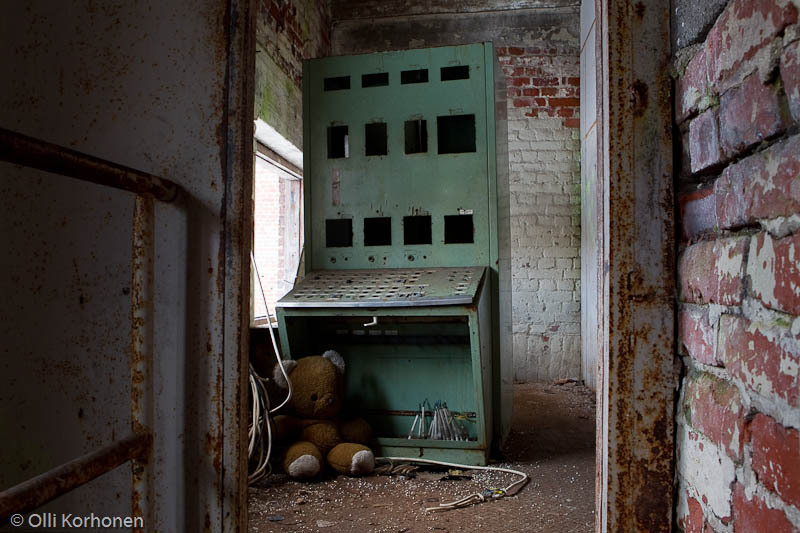 The Abandoned Teddy Bear in a Deserted Factory. 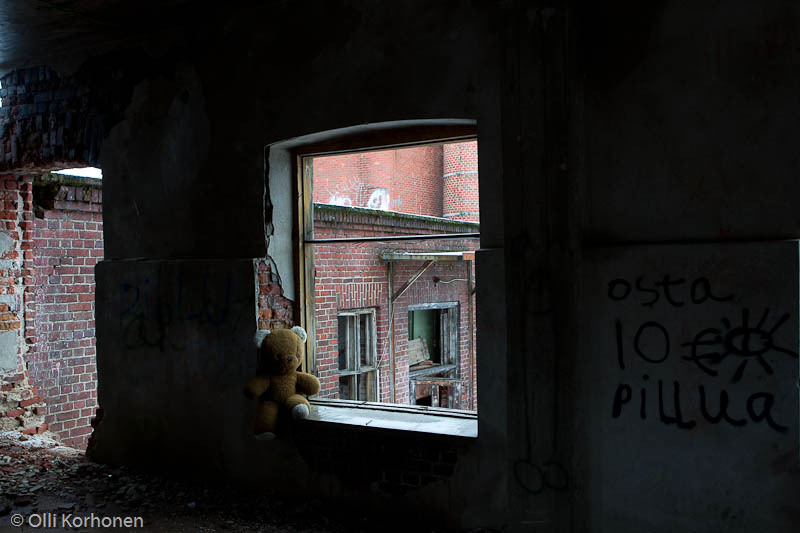 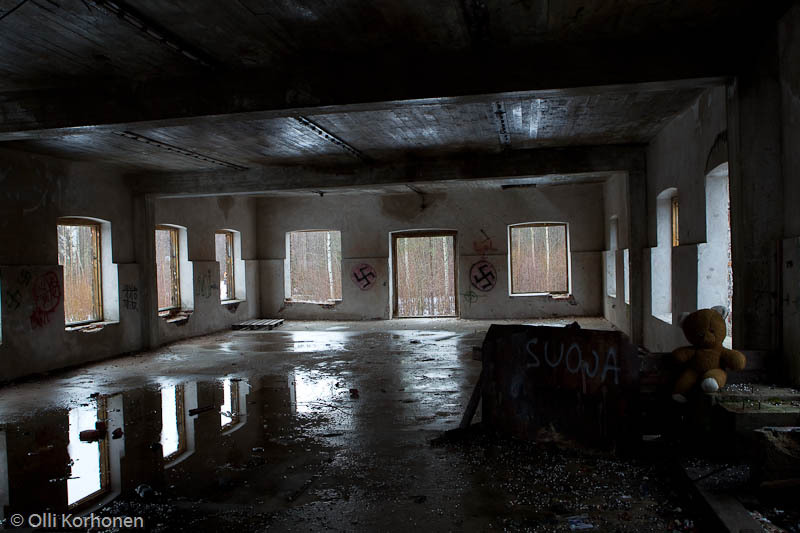 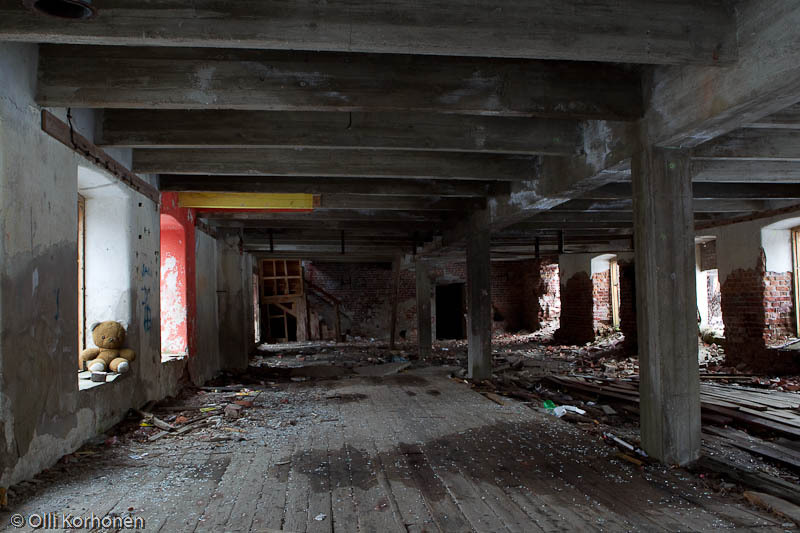 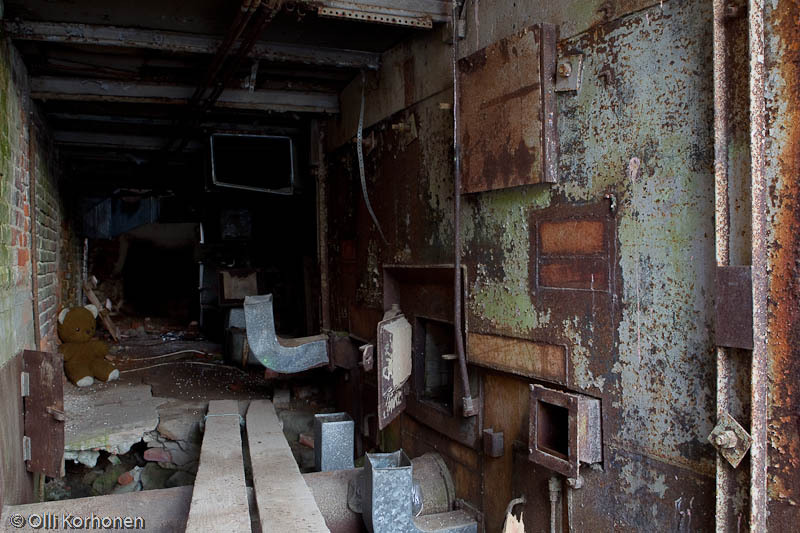 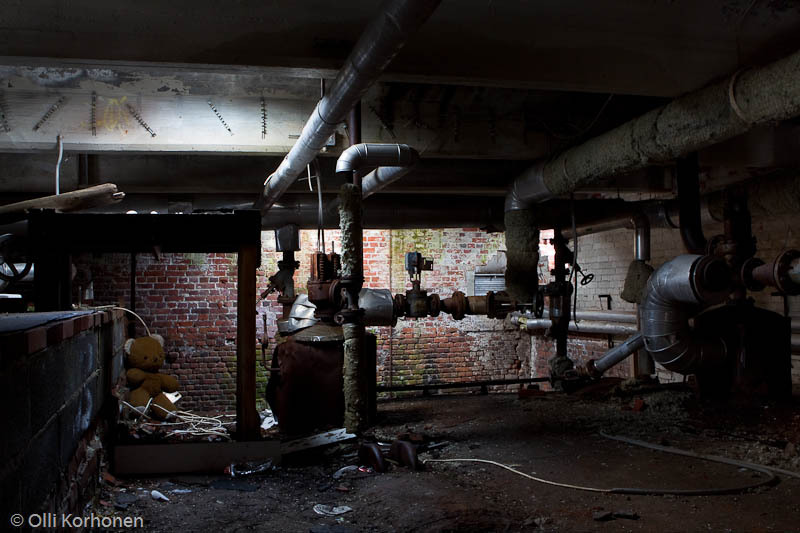 The Abandoned Teddy Bear Revisits the Deserted Factory. 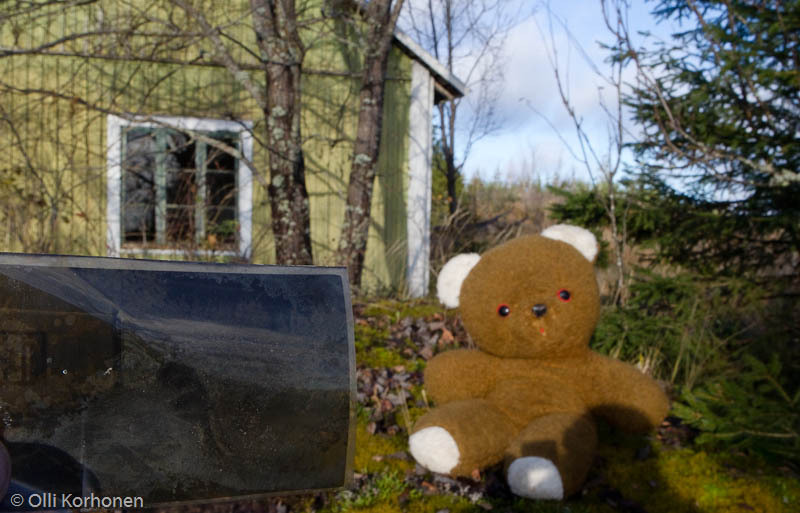 To be continued as soon as the snow melts away.